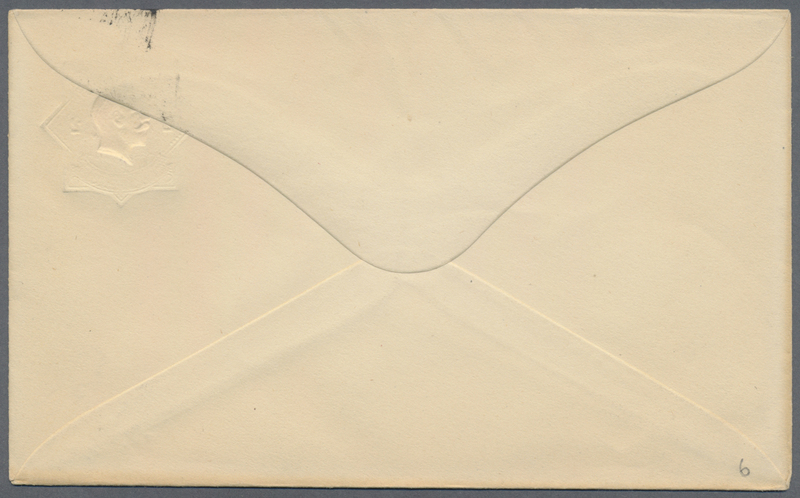 11467 Ganzsache (Complete) PS 6 1916 (17.5. 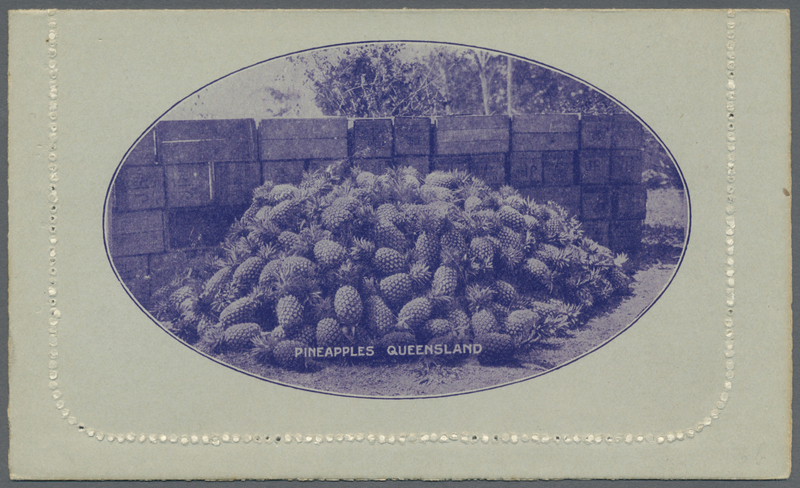 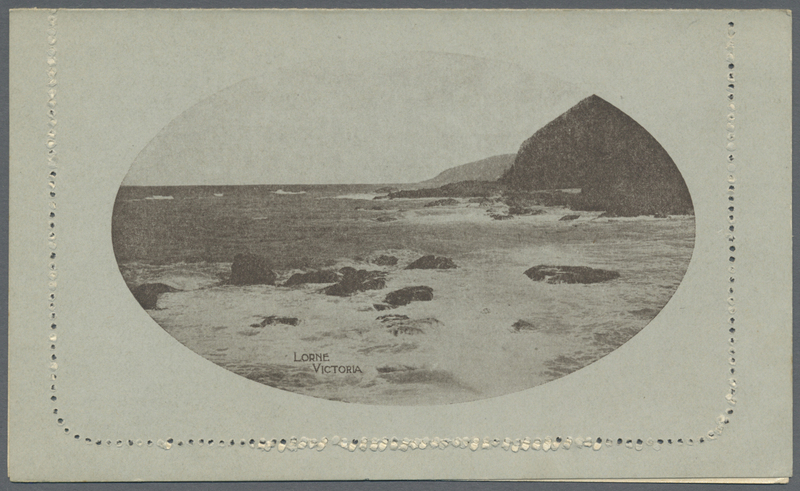 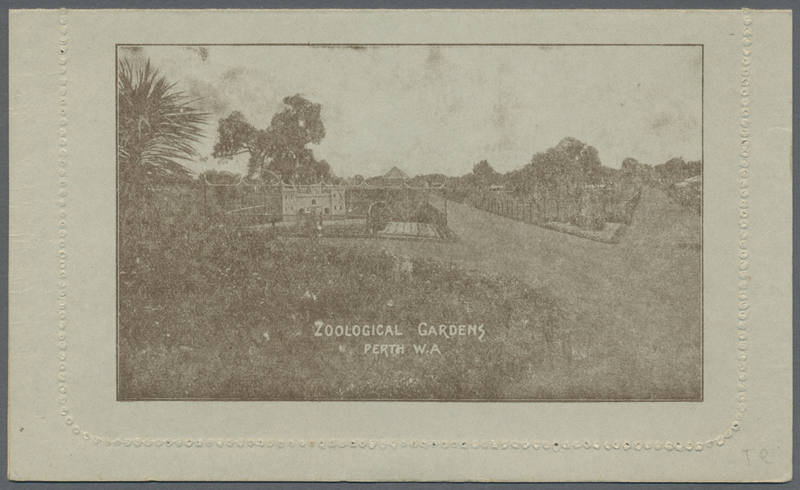 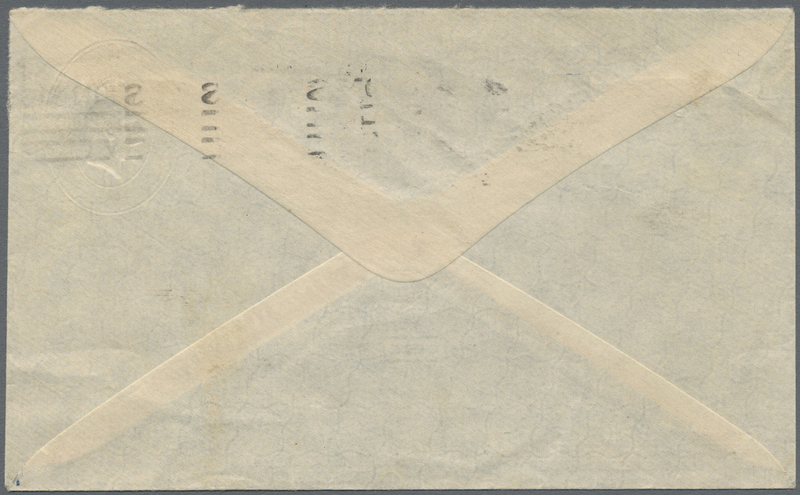 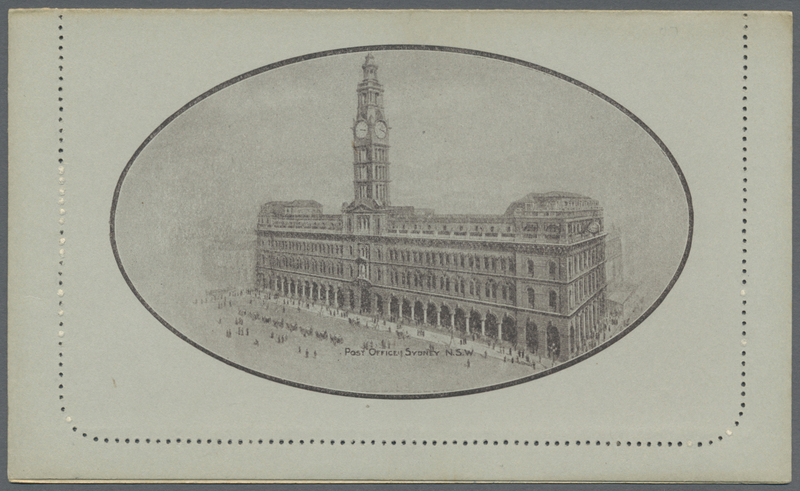 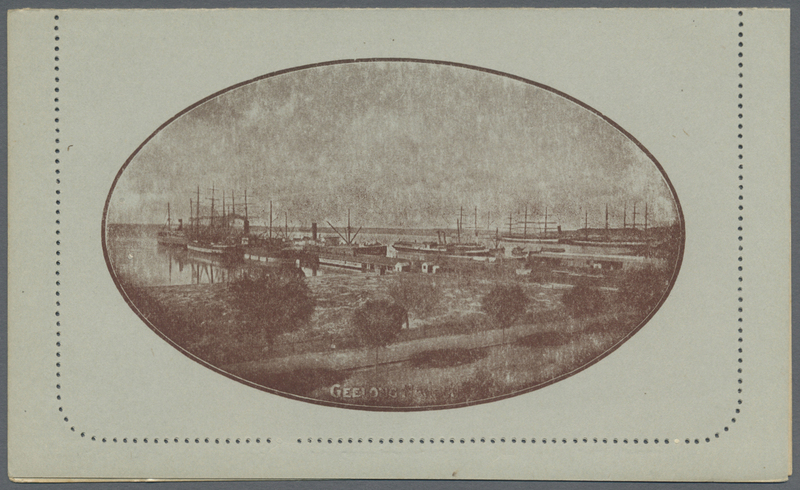 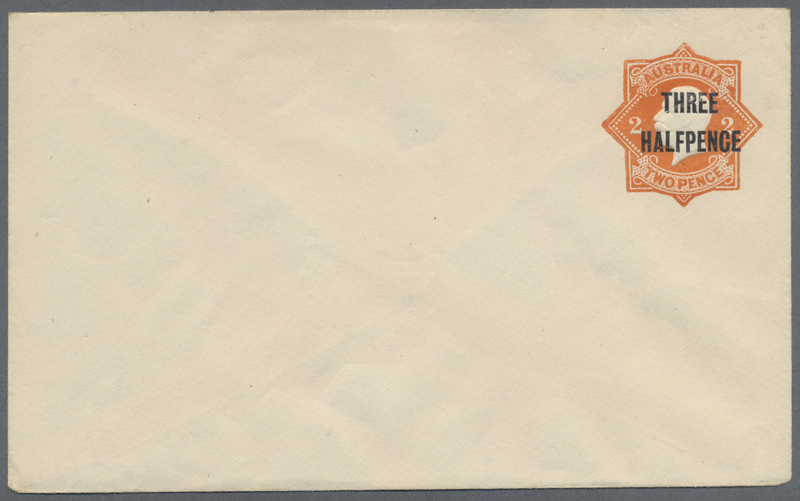 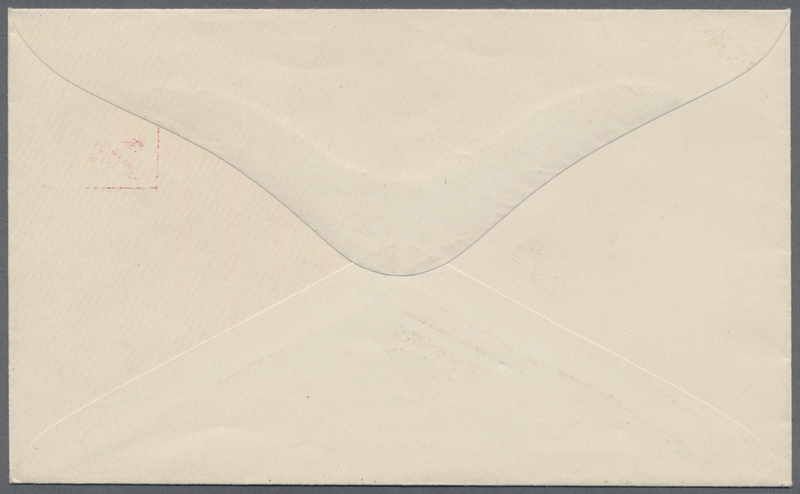 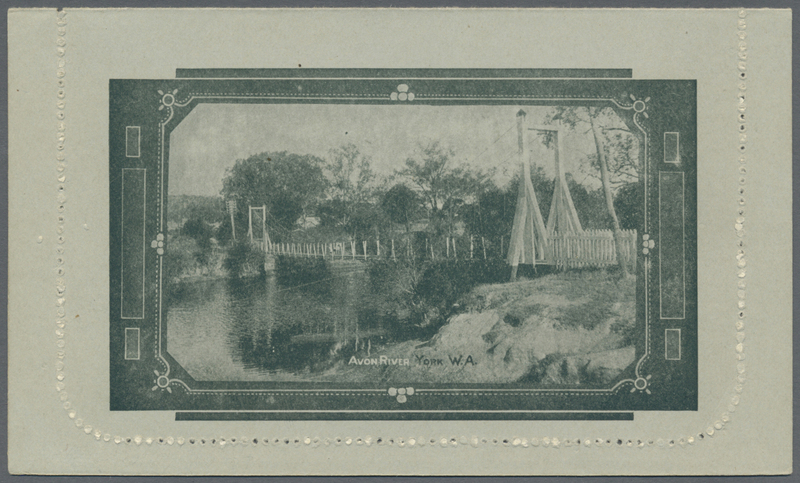 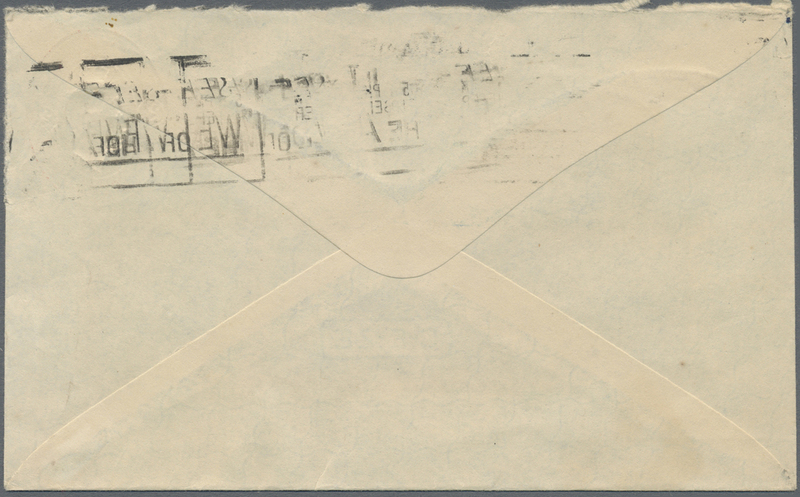 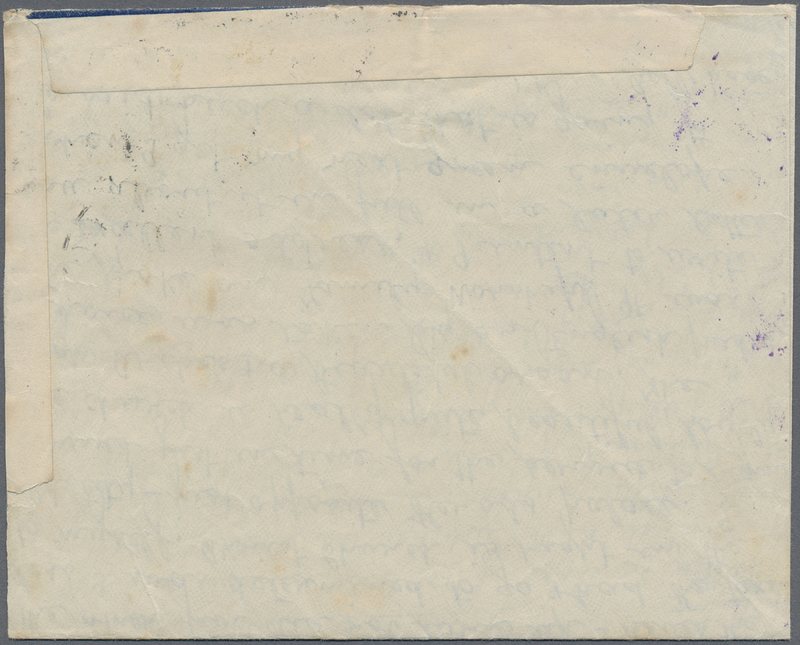 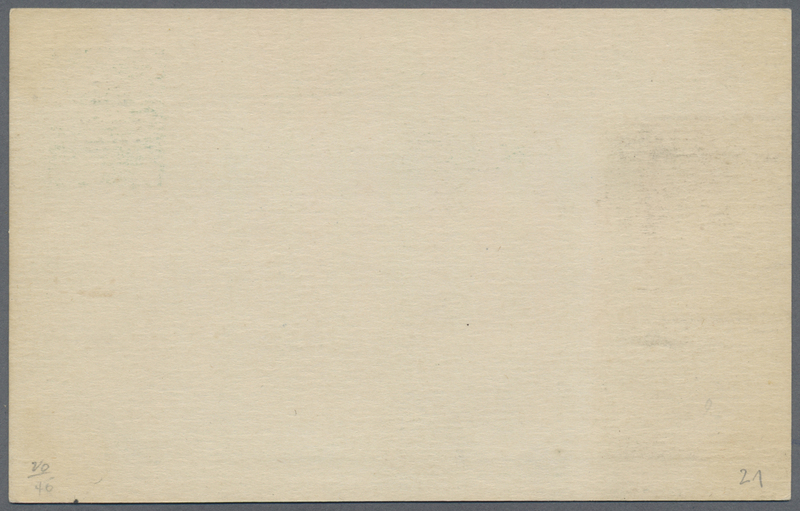 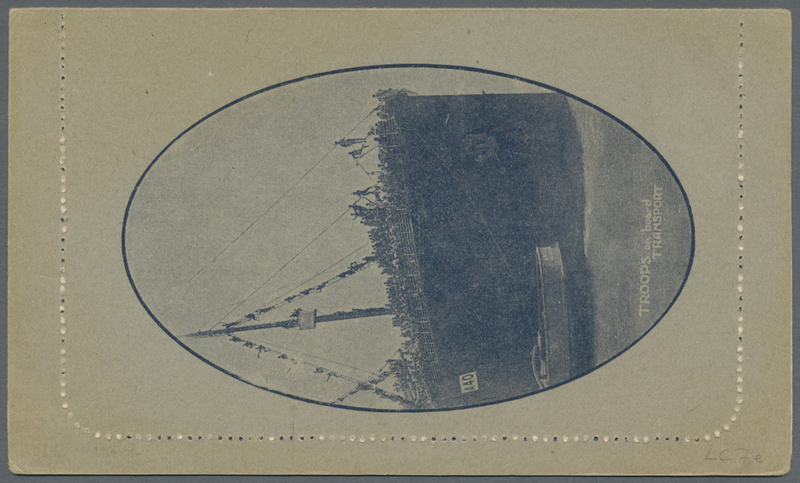 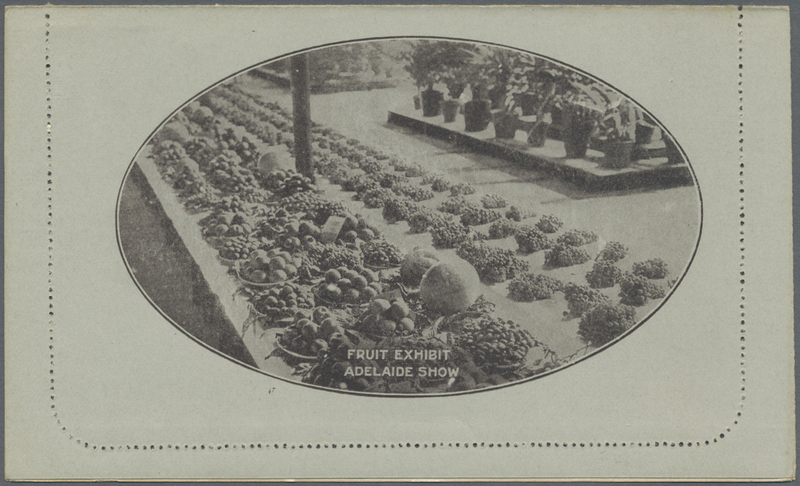 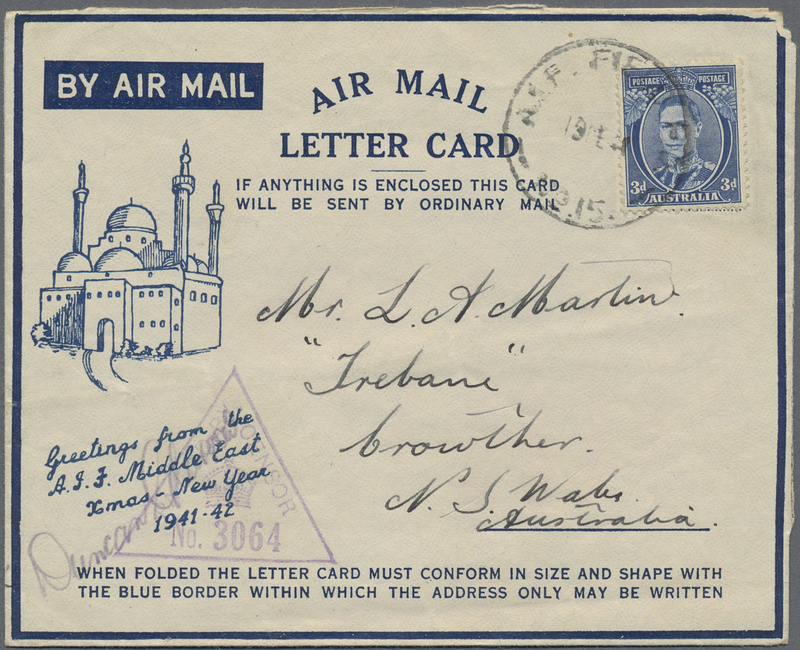 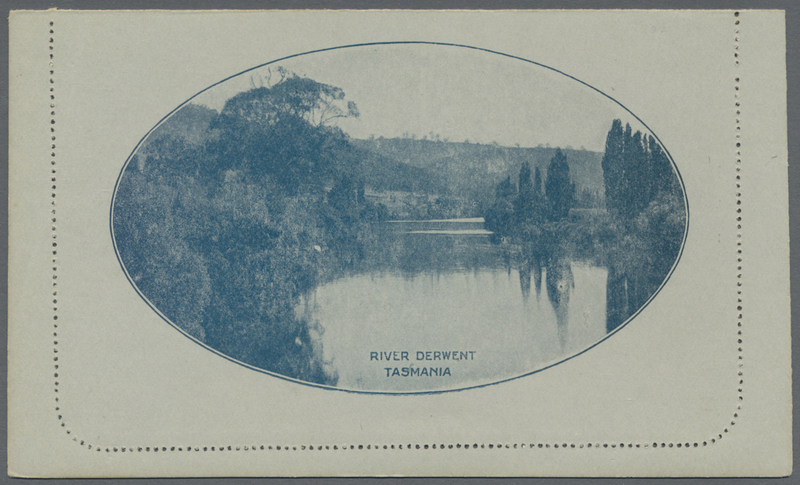 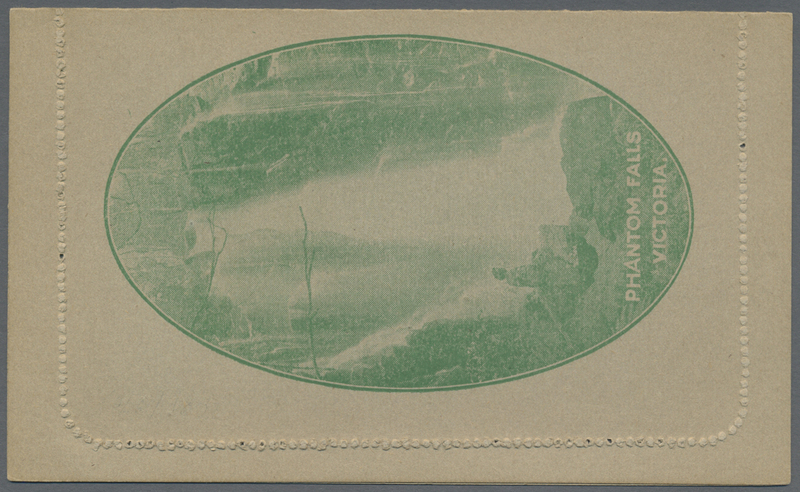 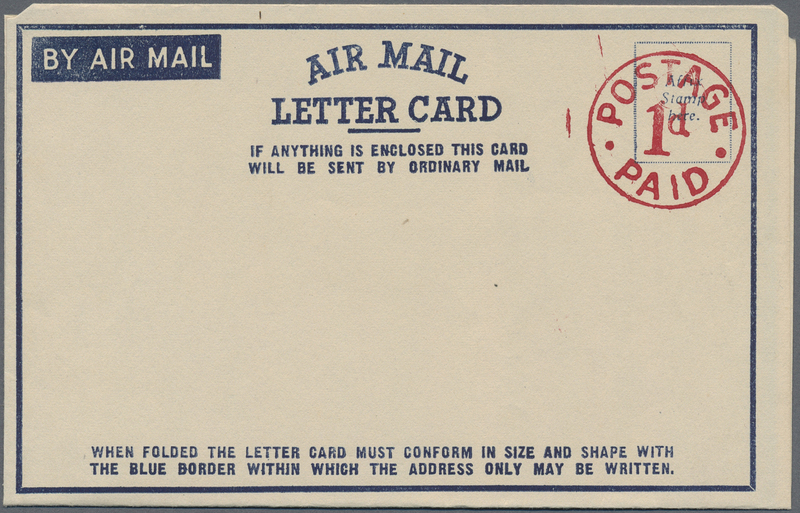 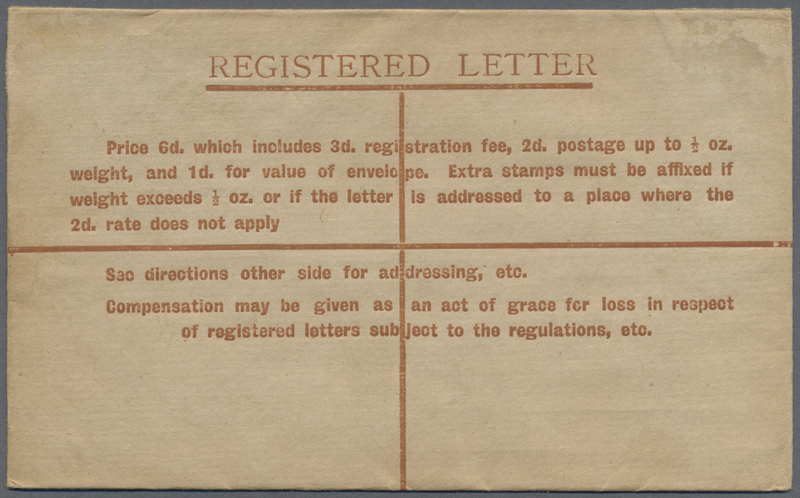 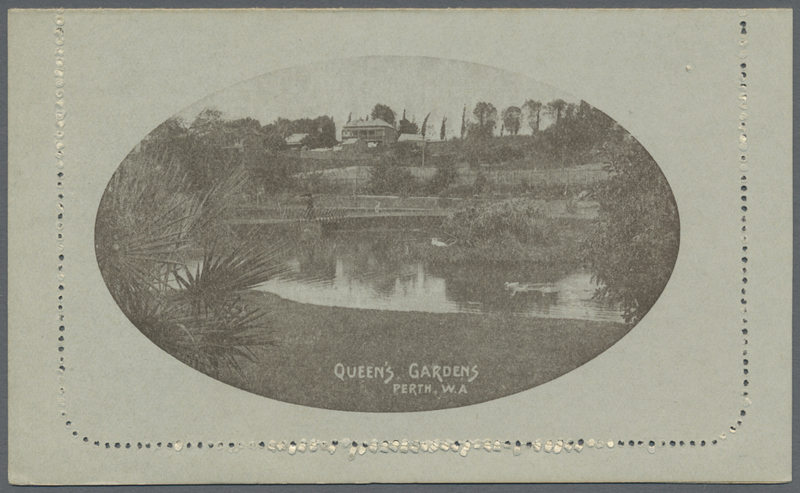 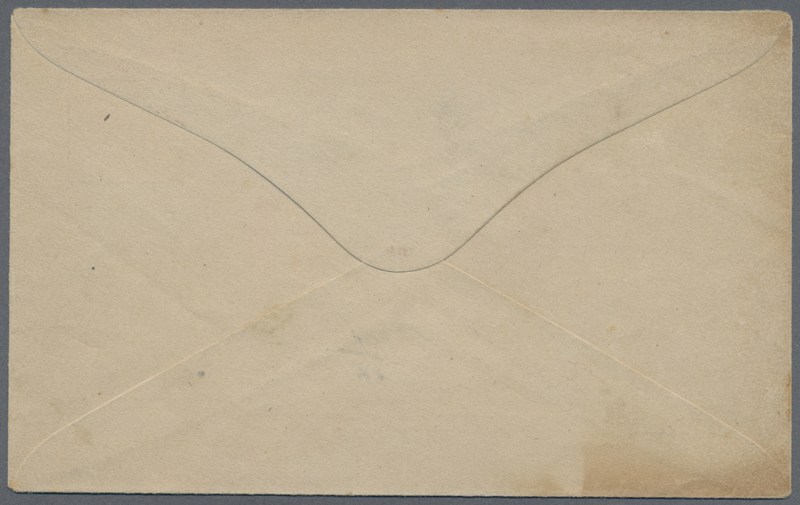 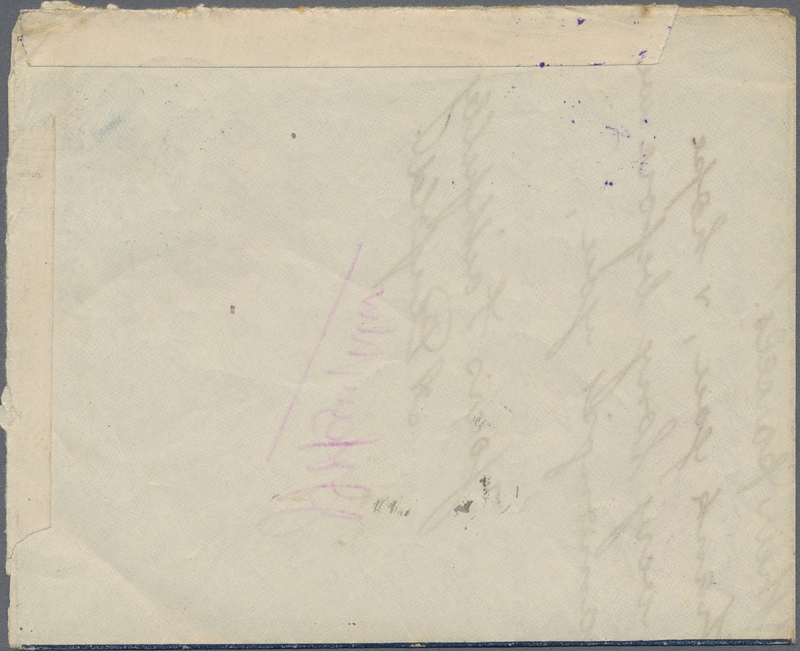 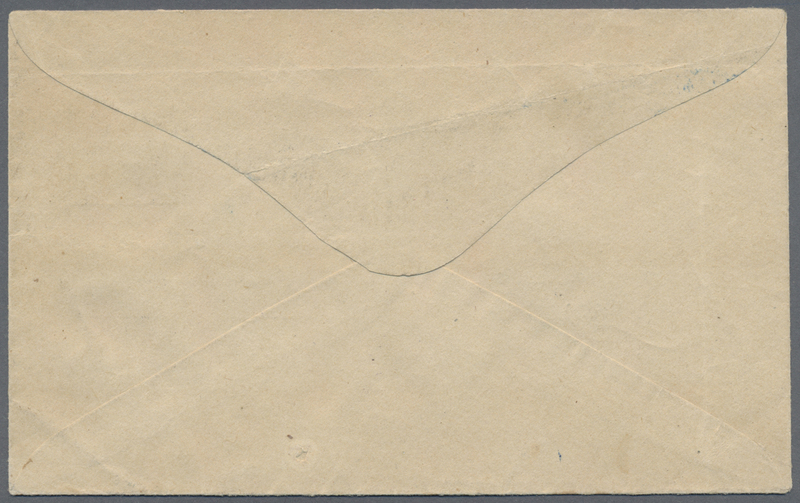 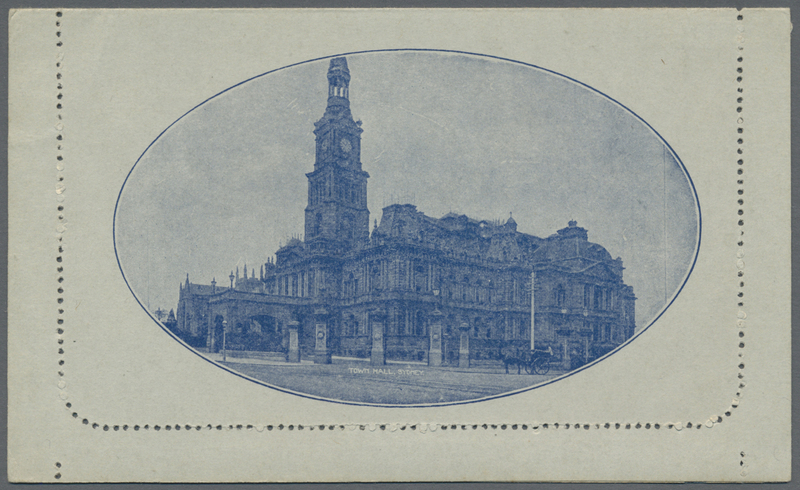 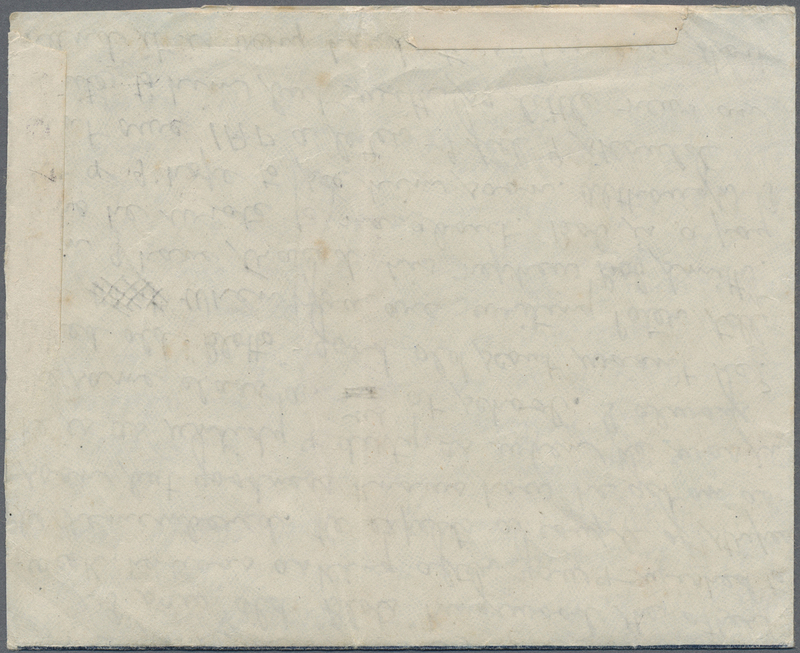 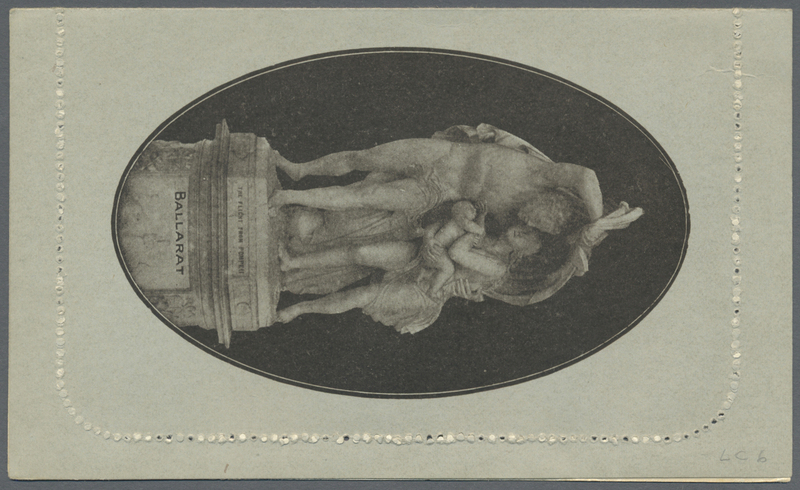 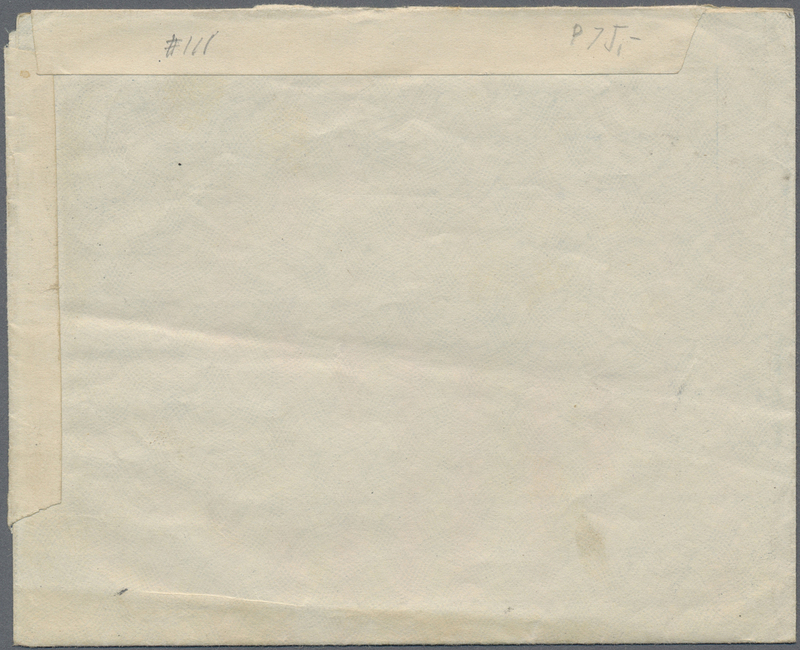 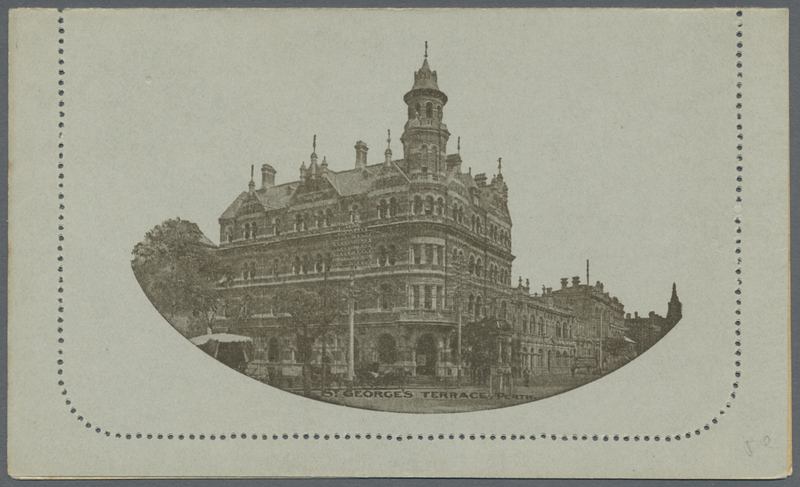 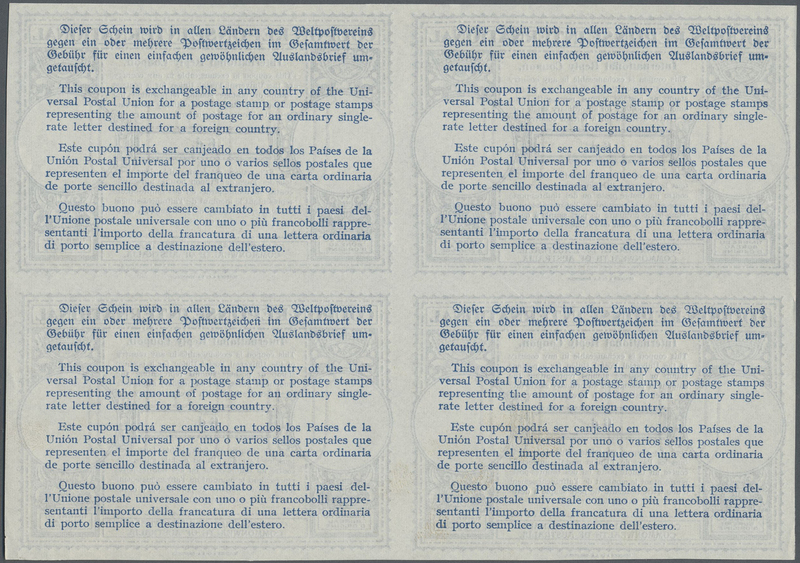 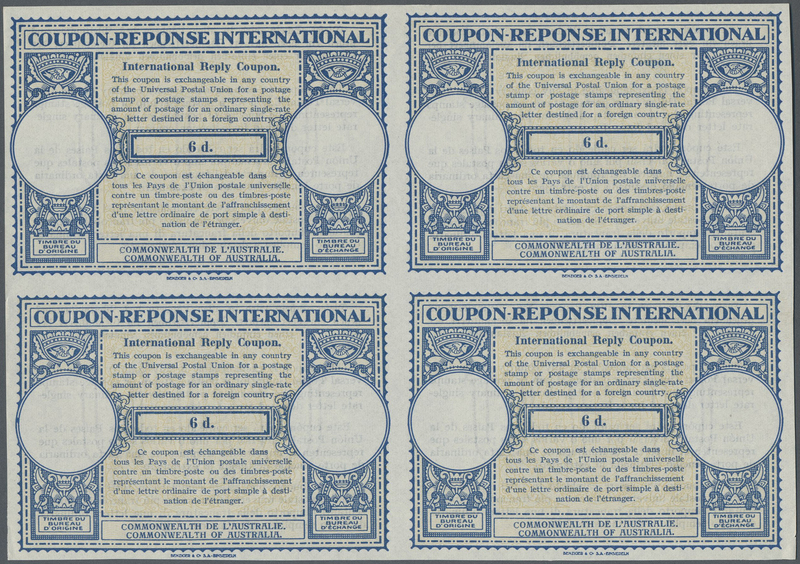 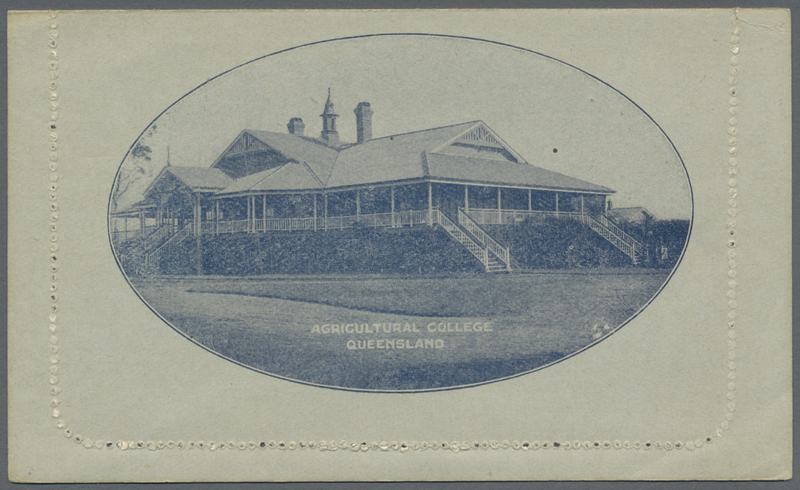 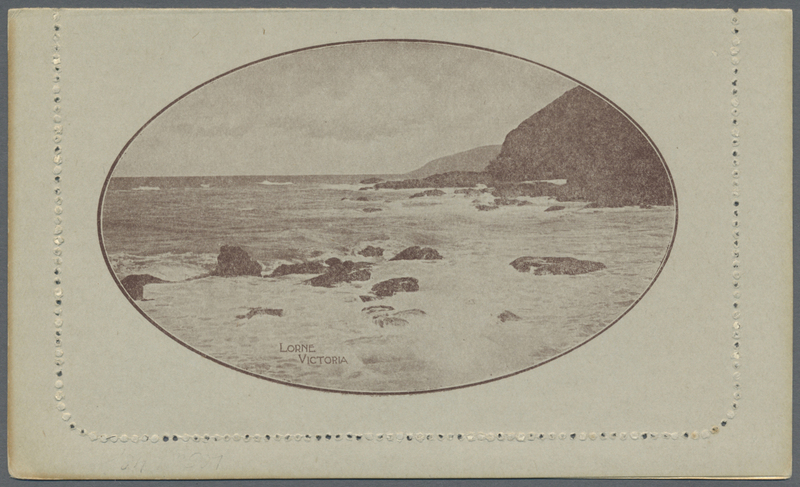 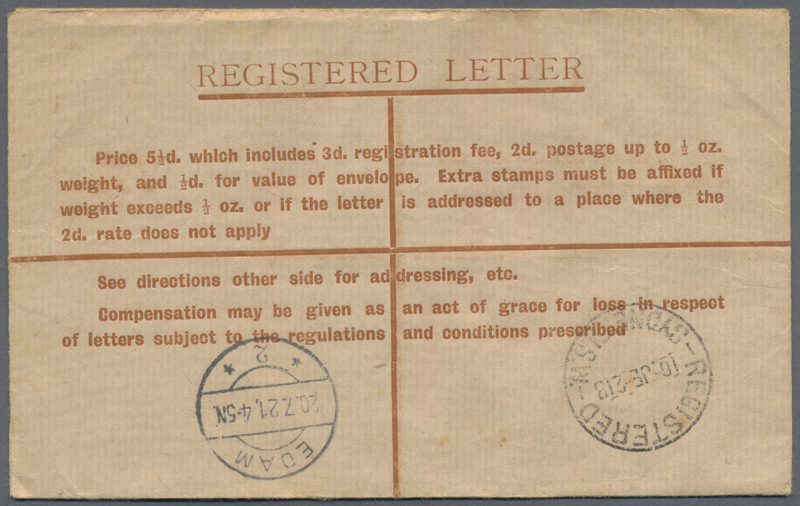 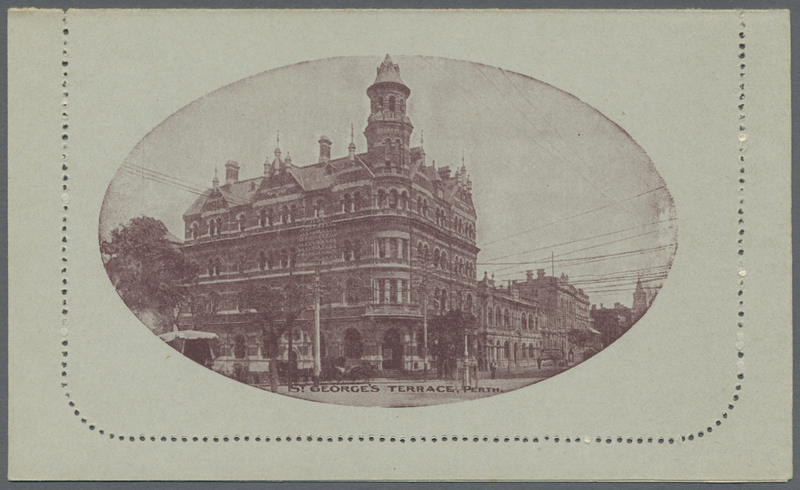 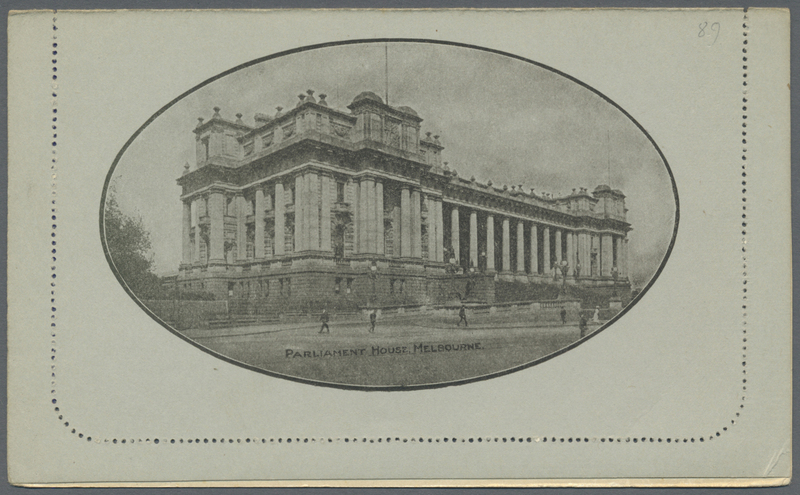 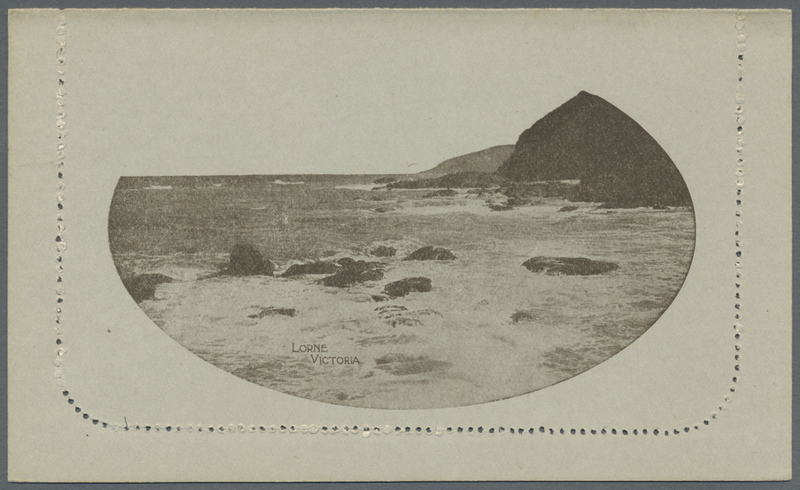 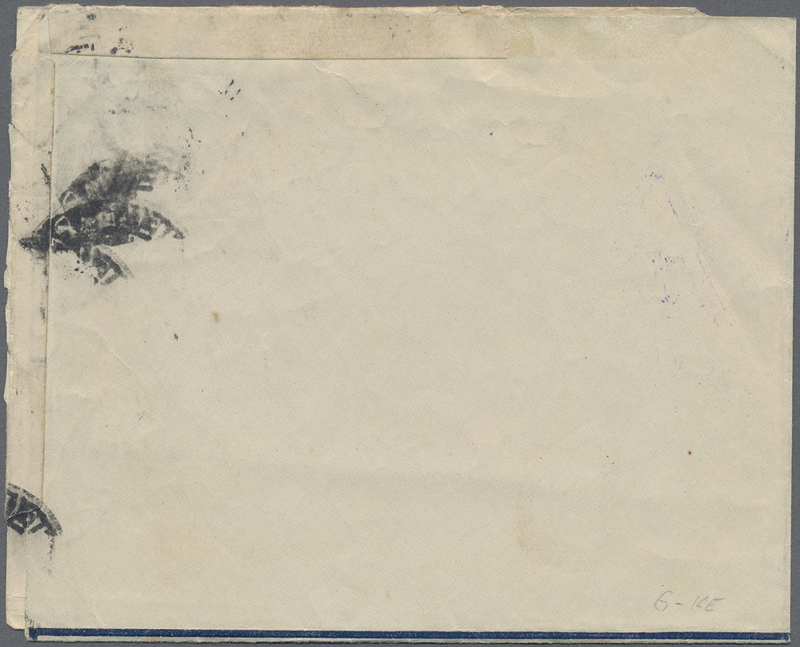 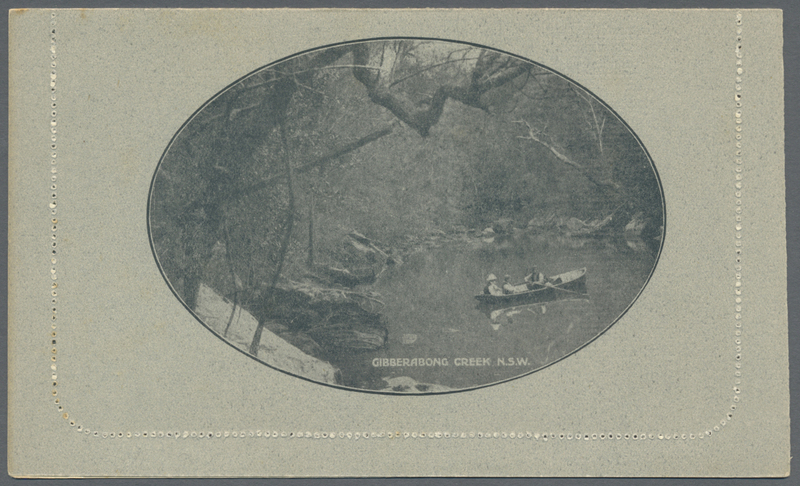 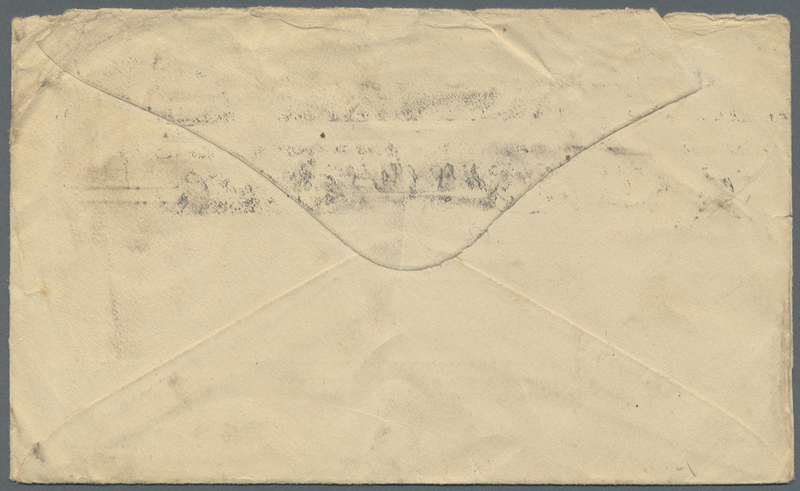 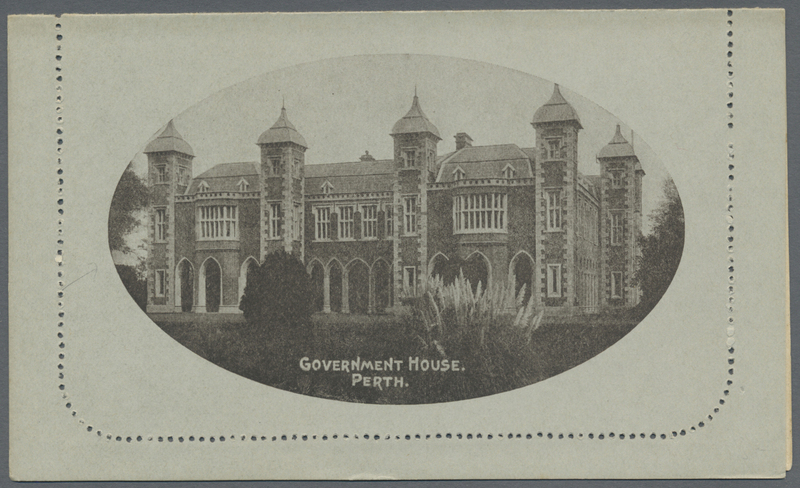 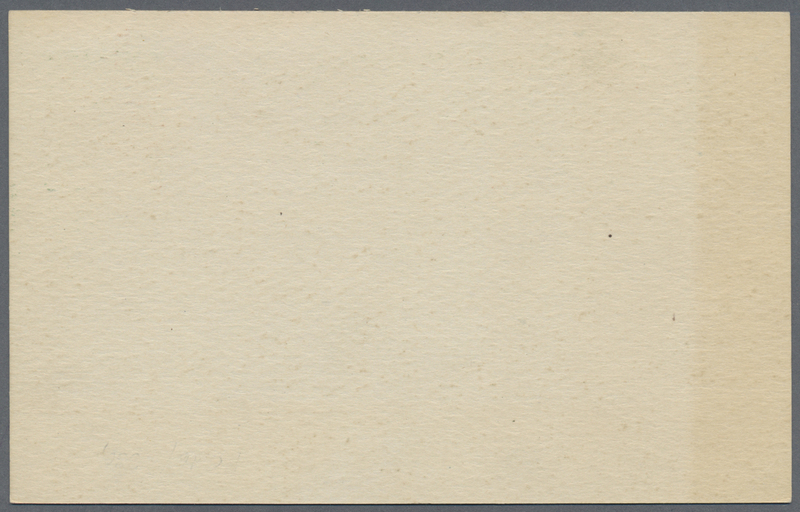 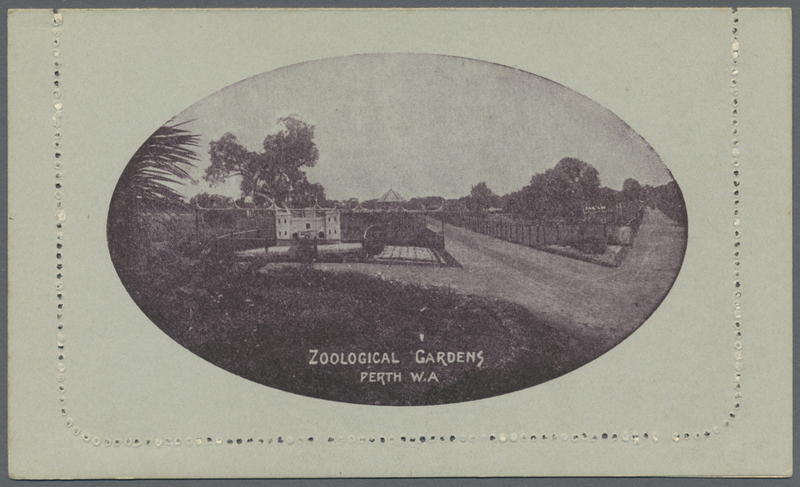 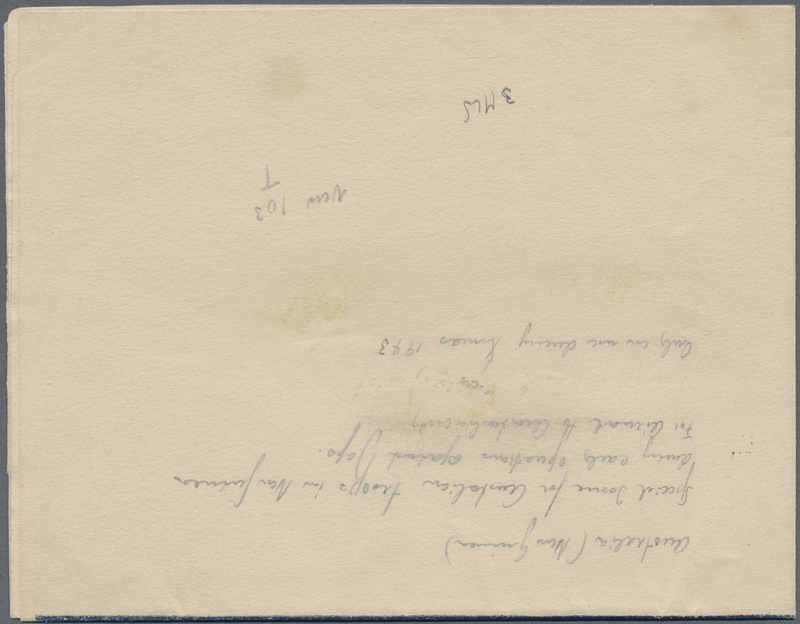 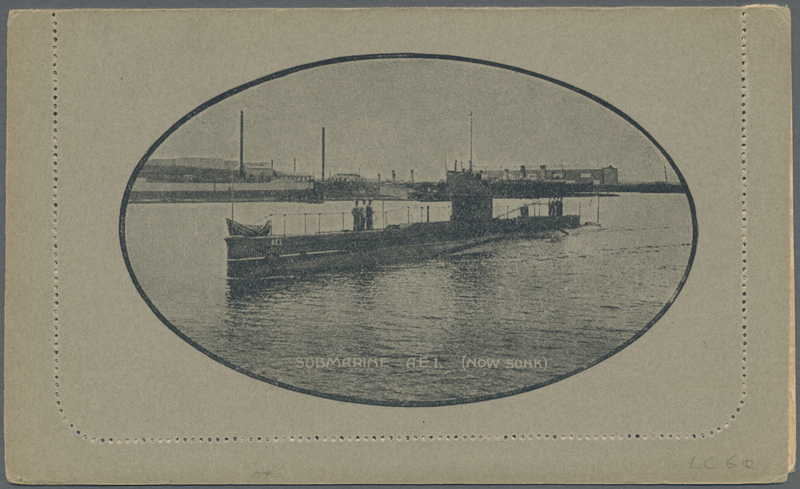 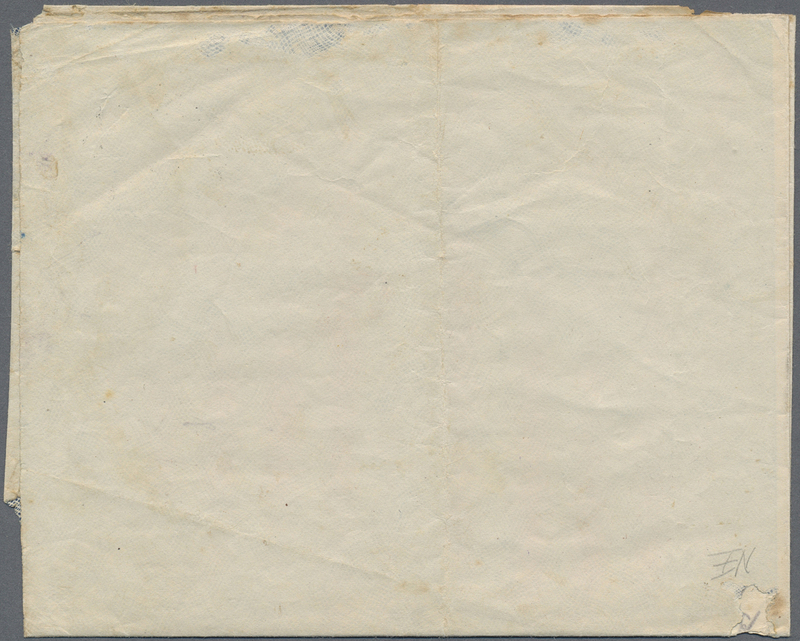 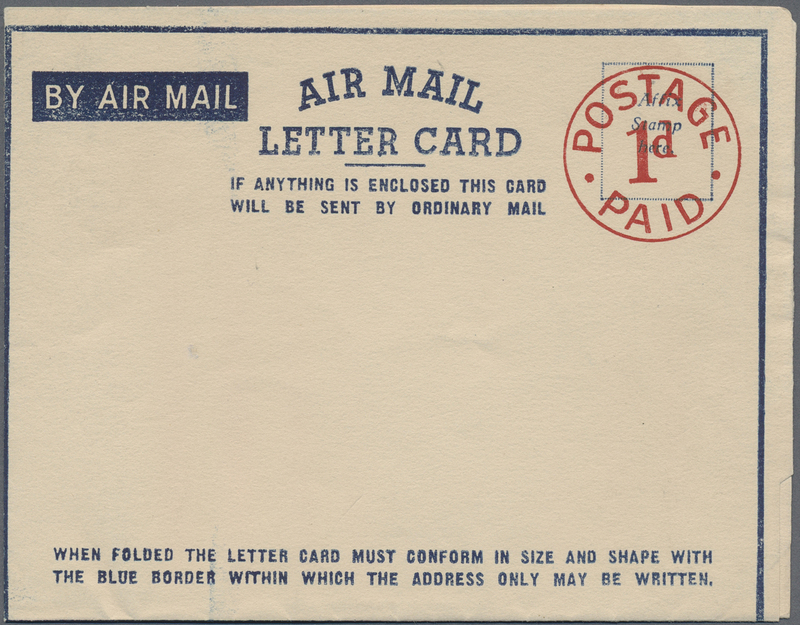 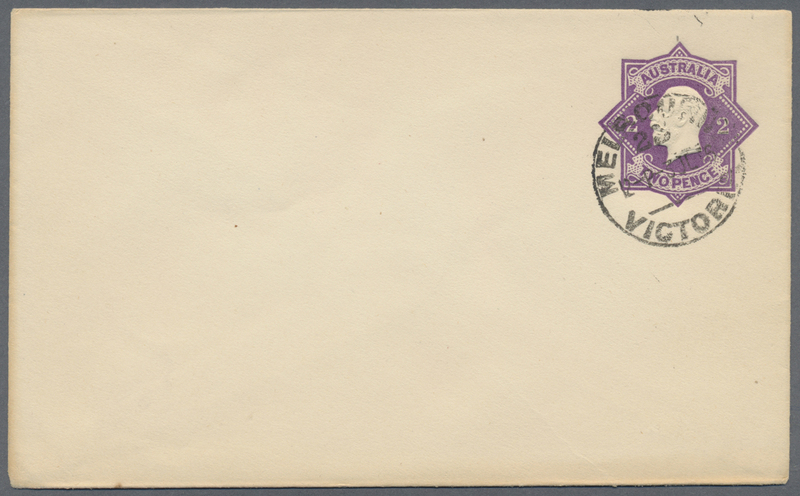 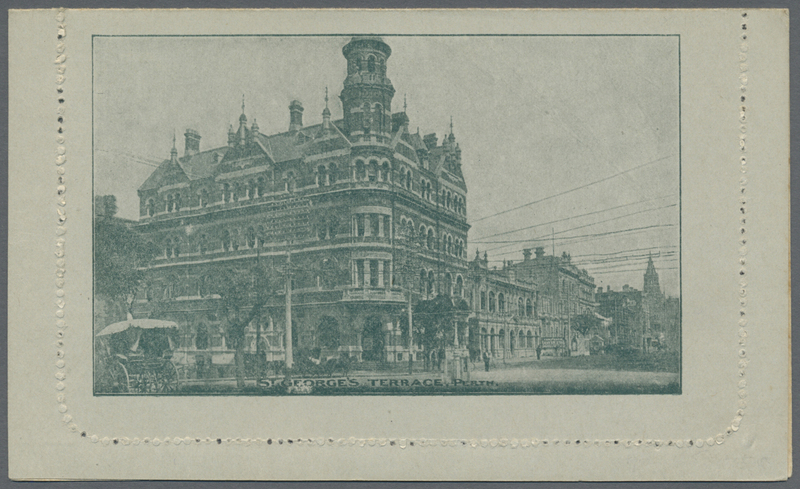 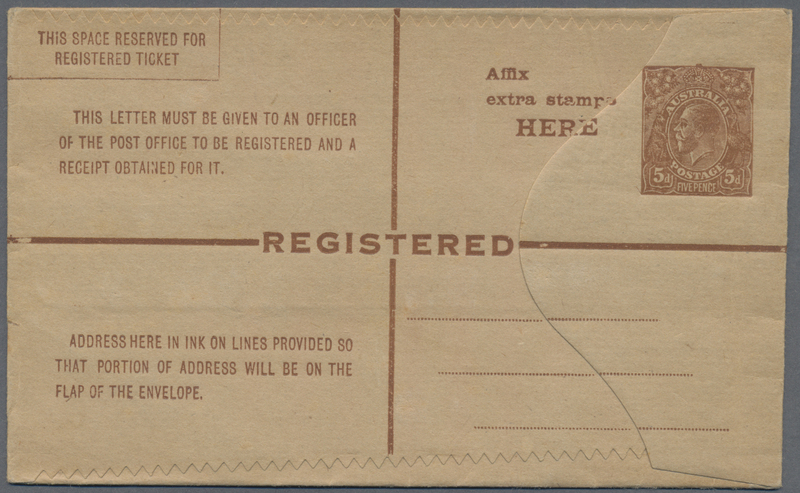 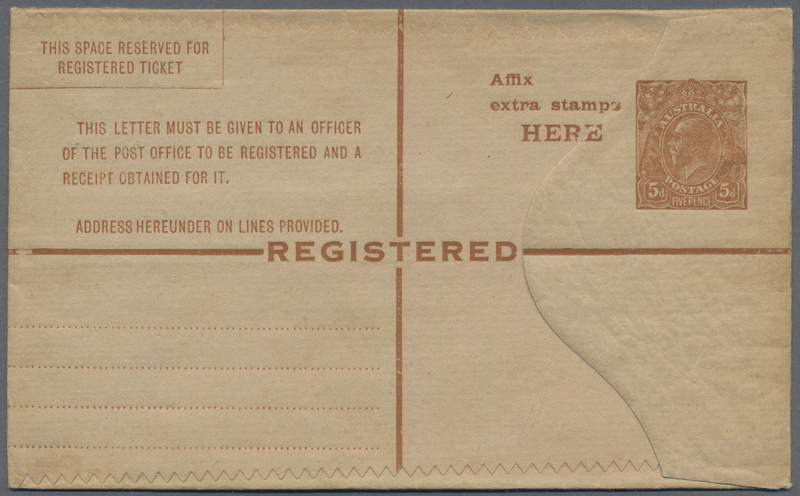 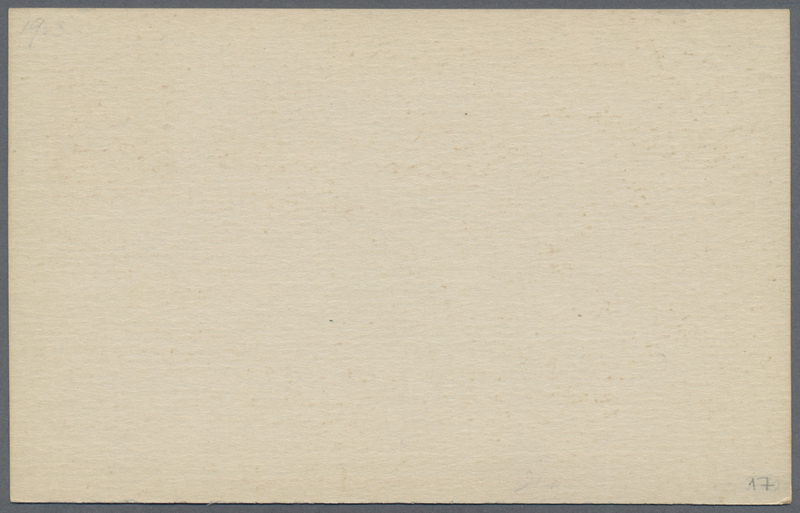 ), PTPO postcard KGV sideface 1d. 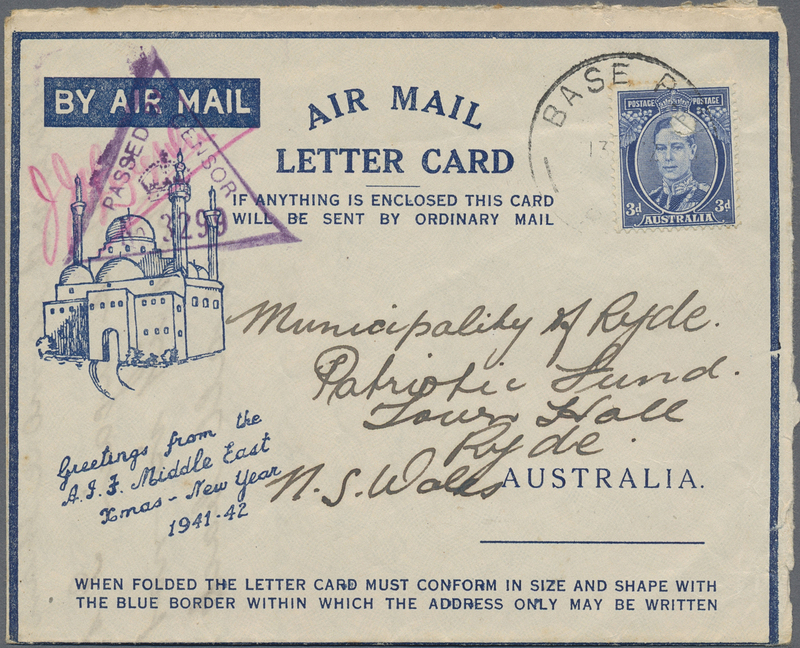 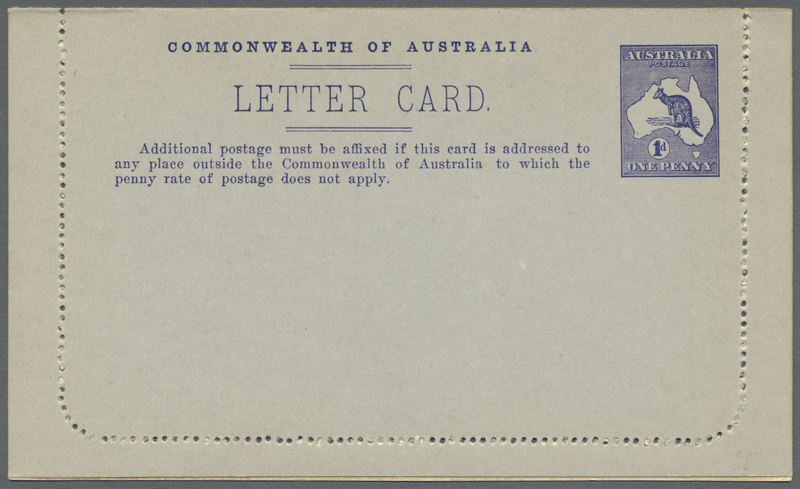 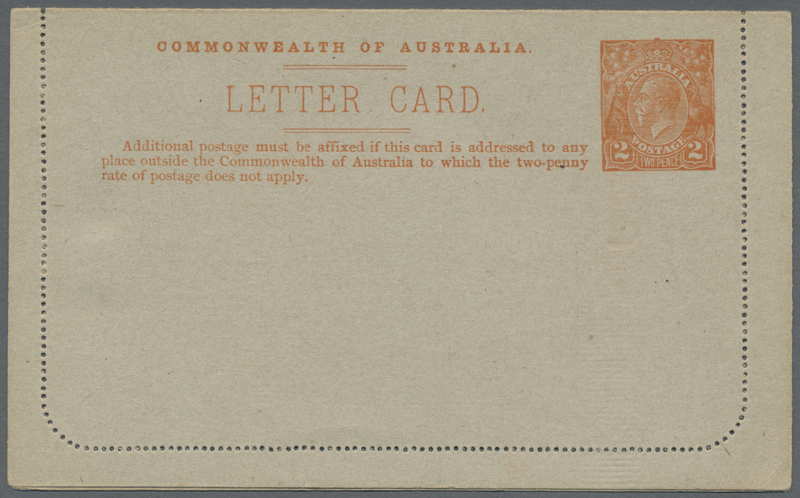 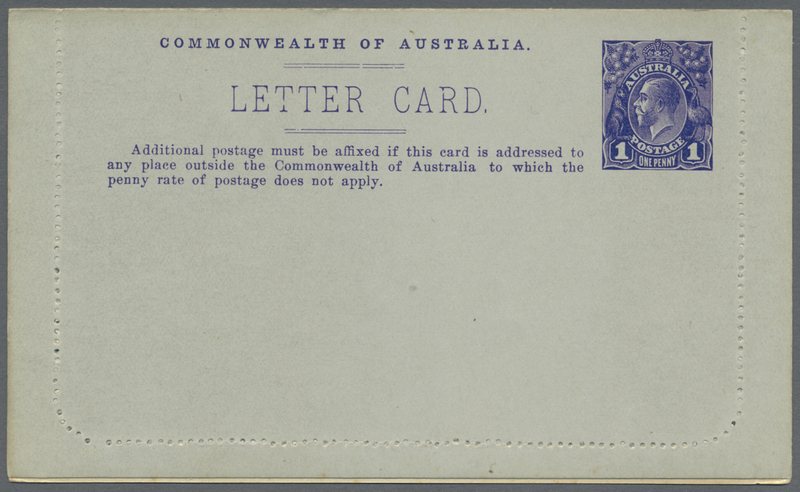 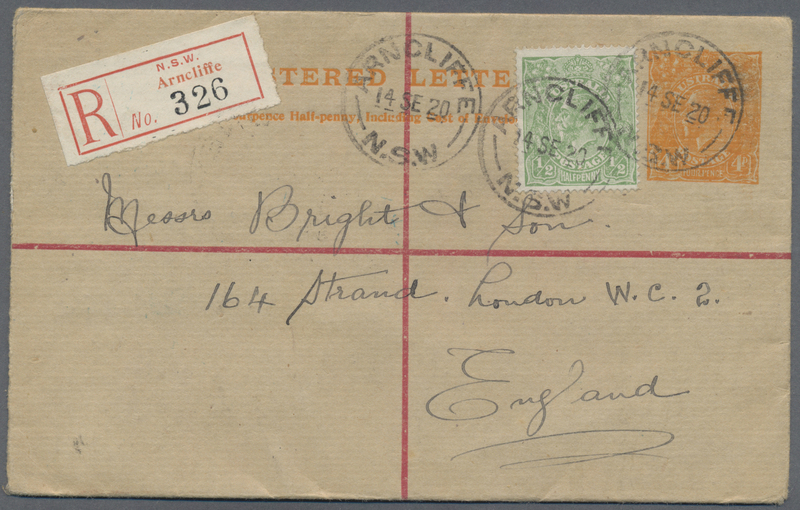 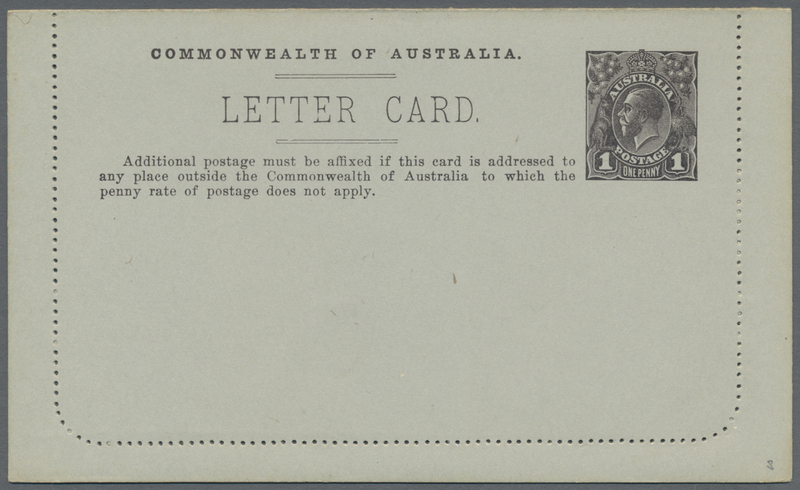 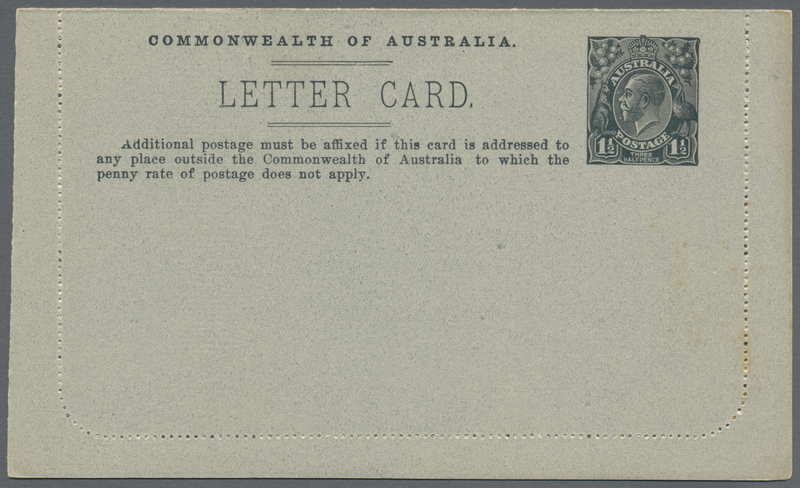 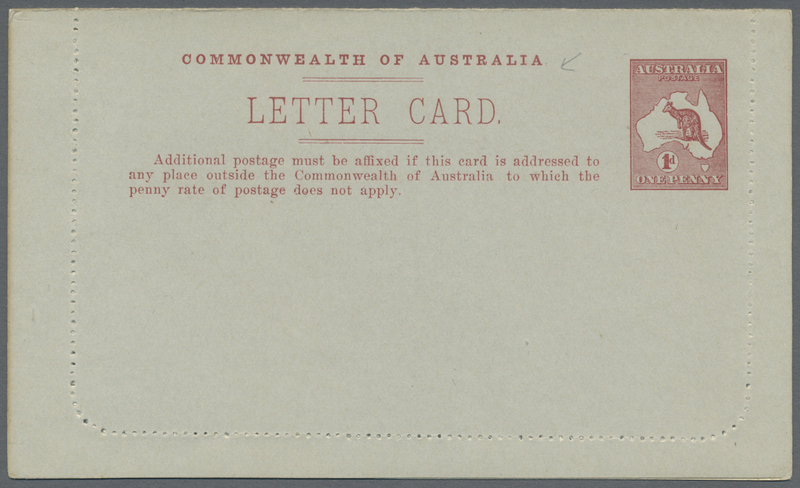 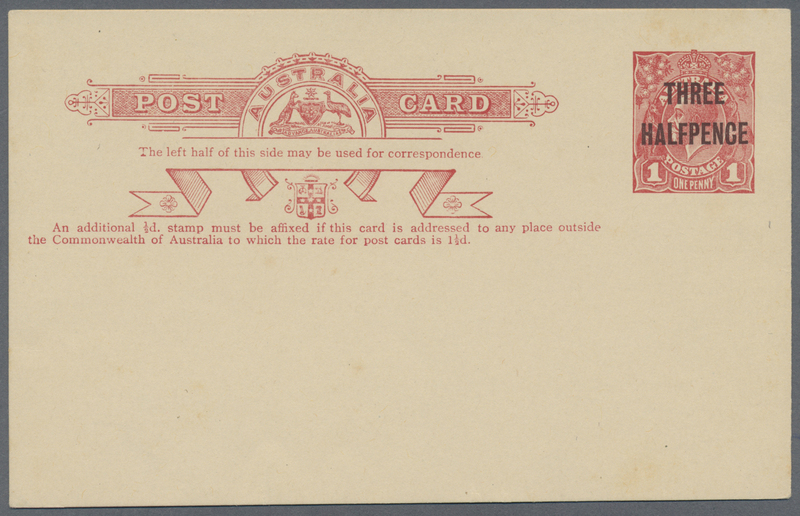 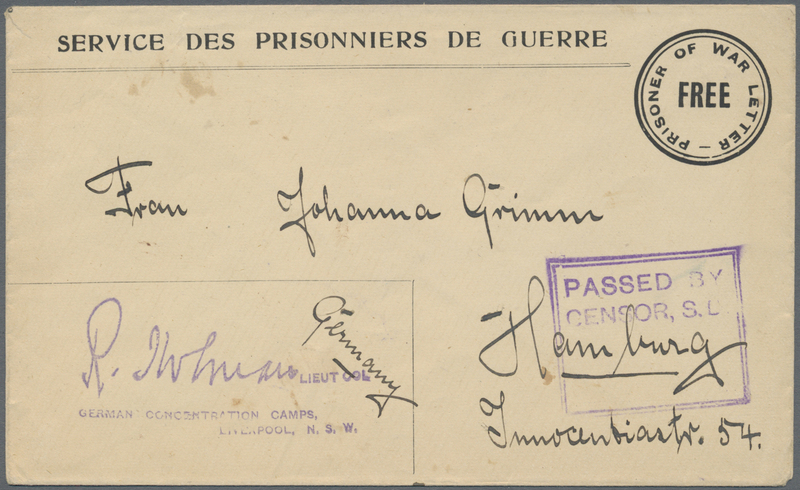 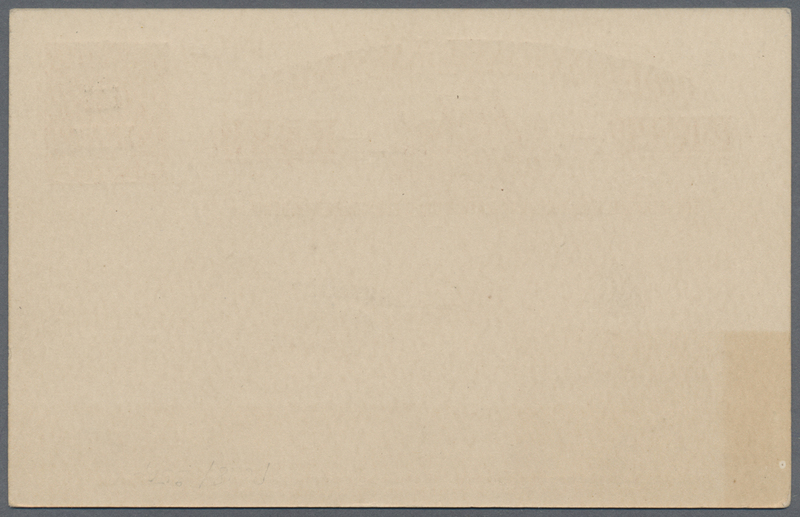 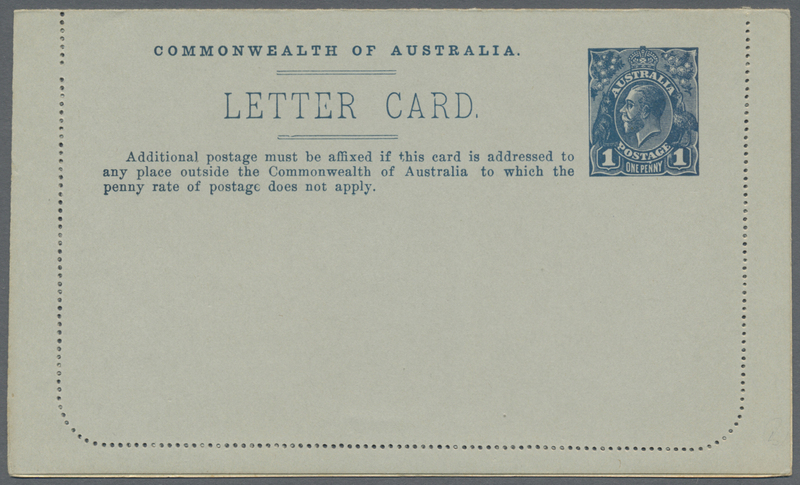 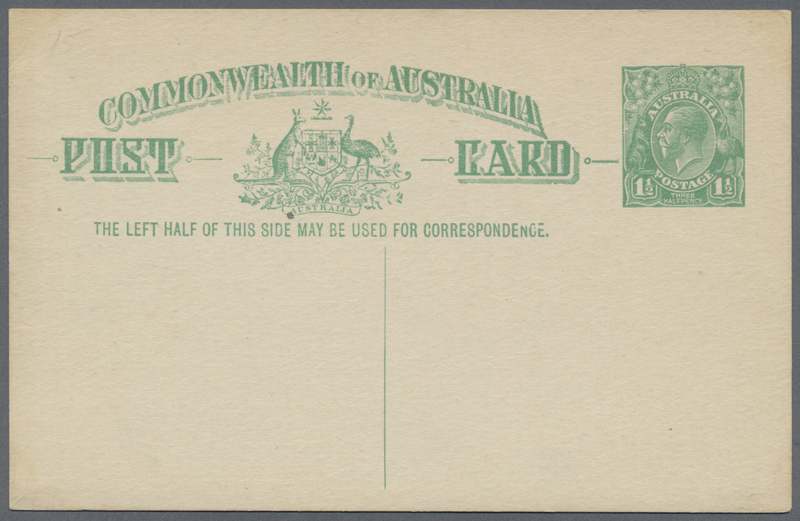 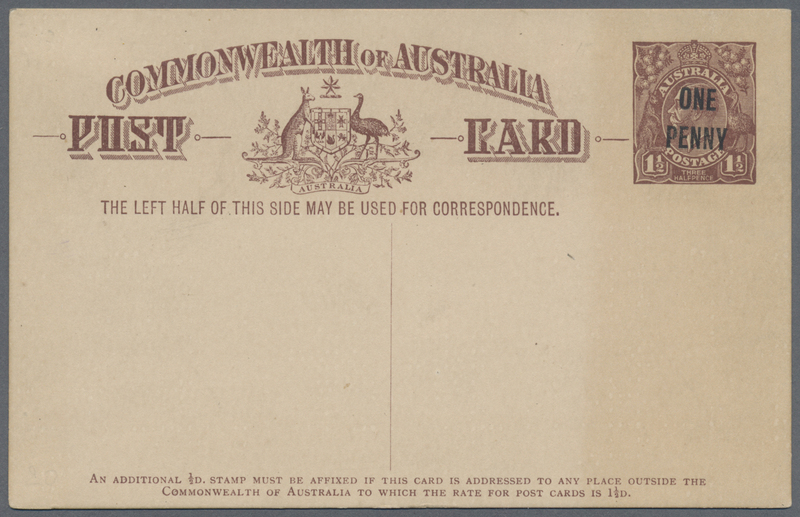 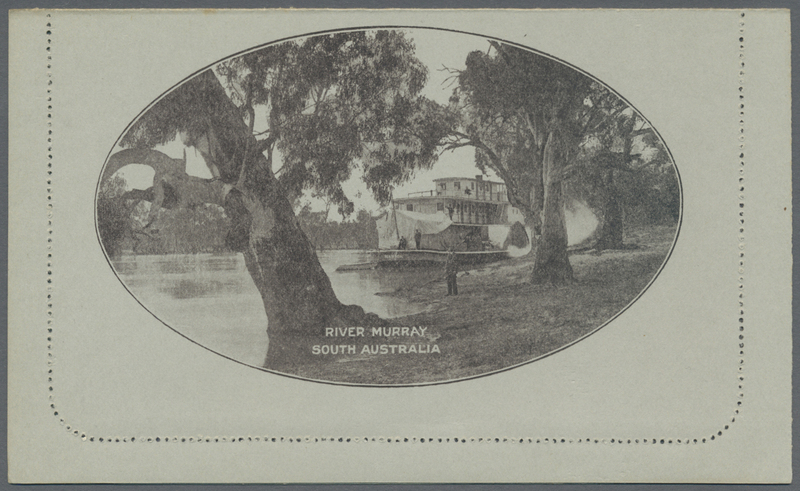 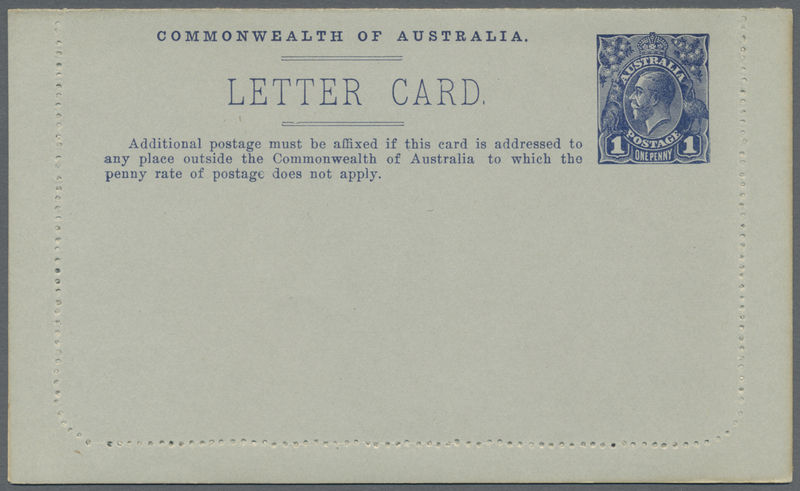 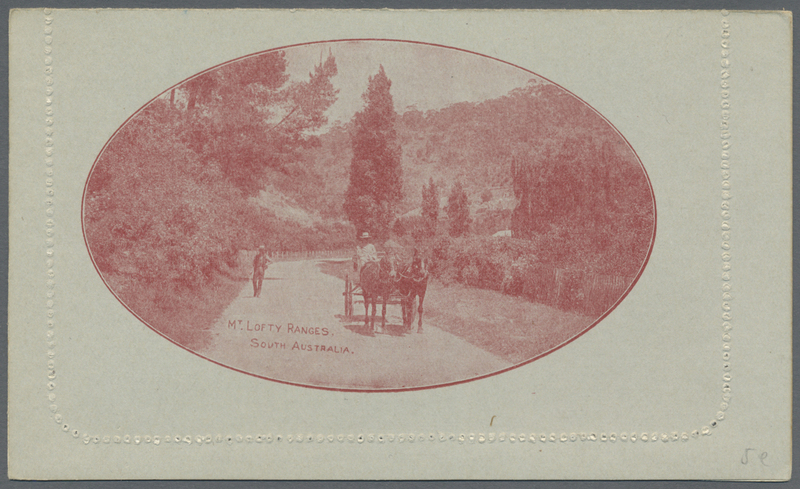 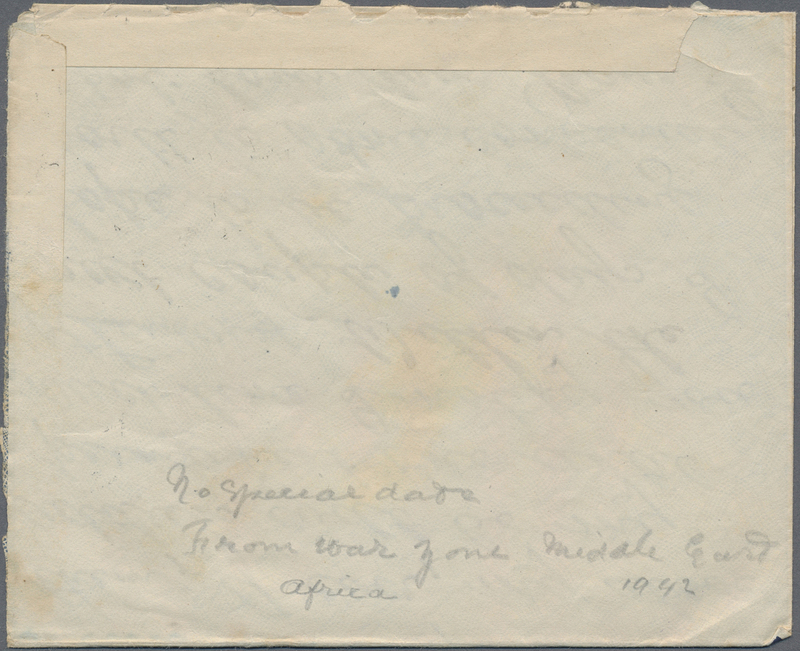 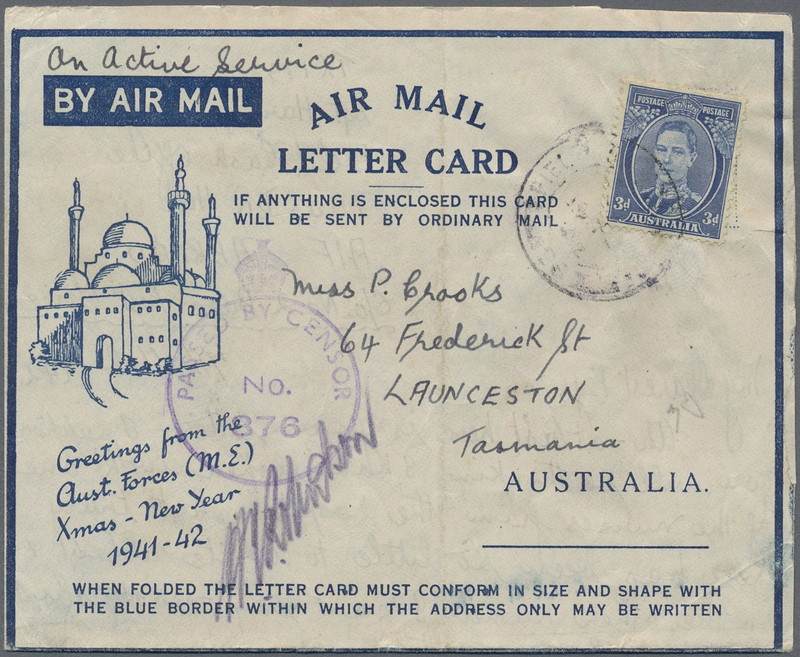 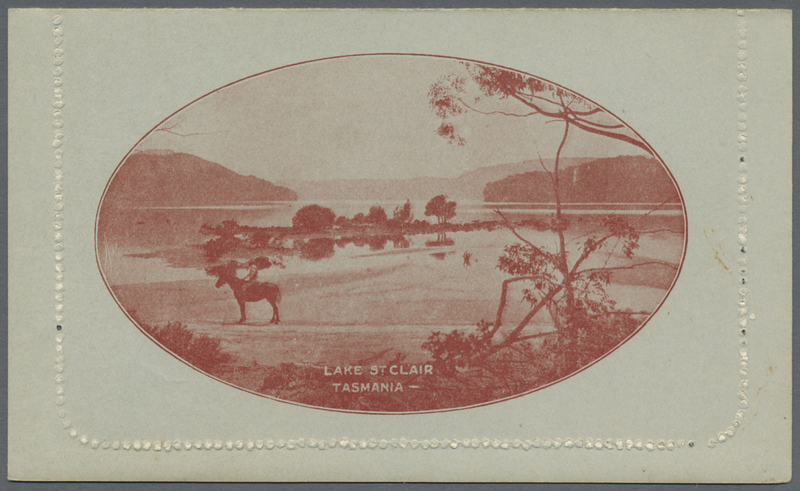 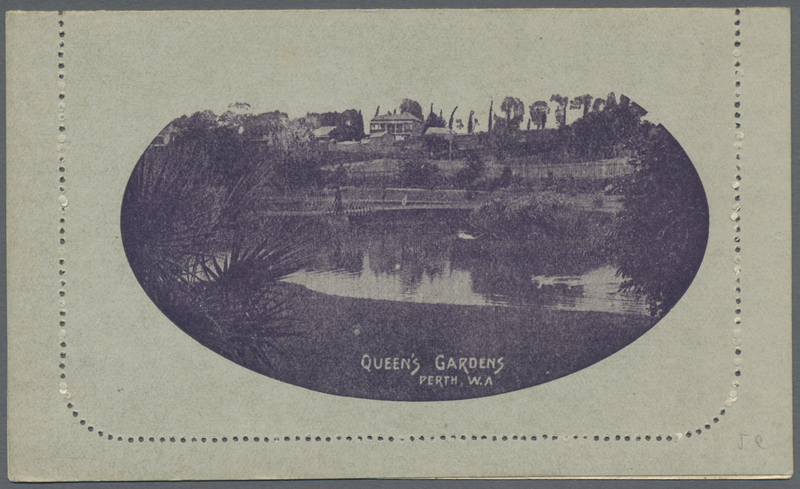 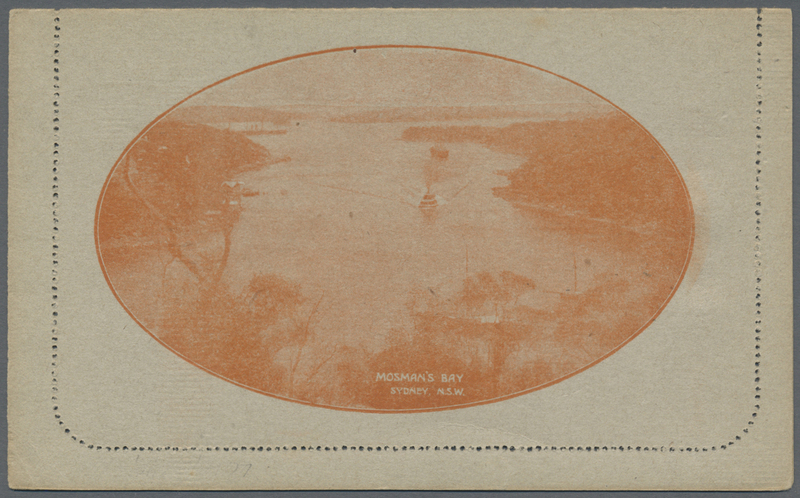 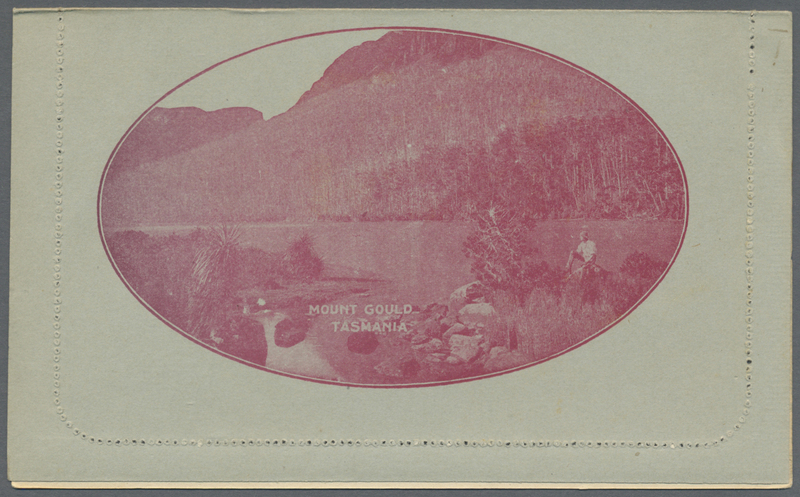 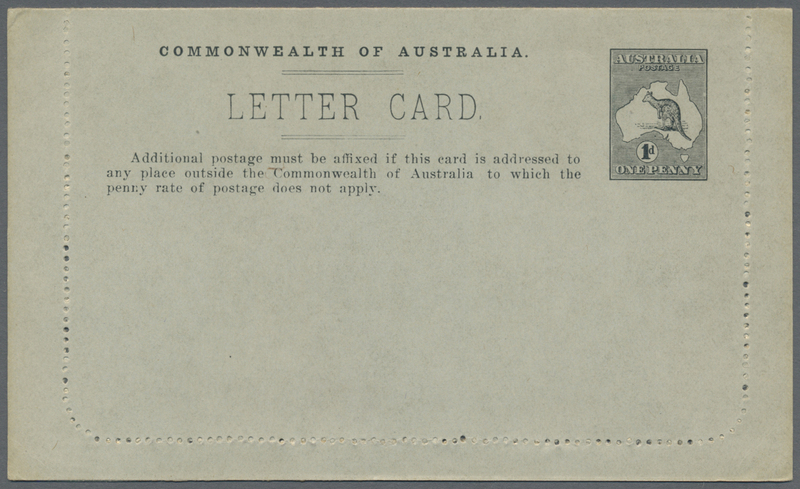 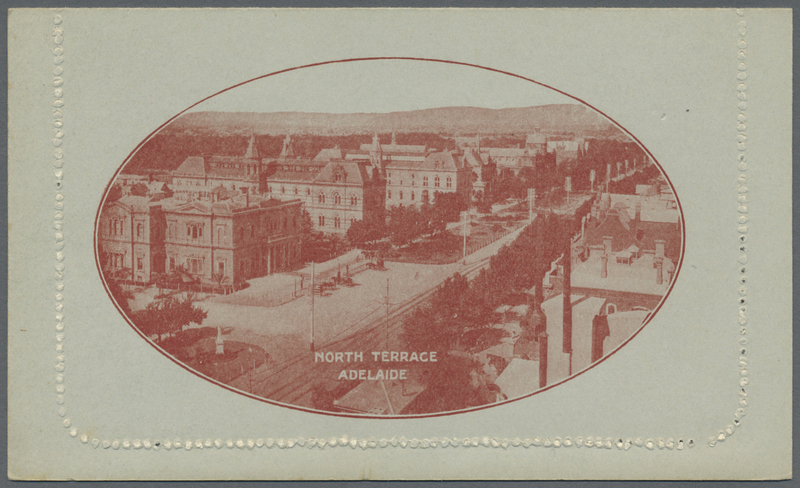 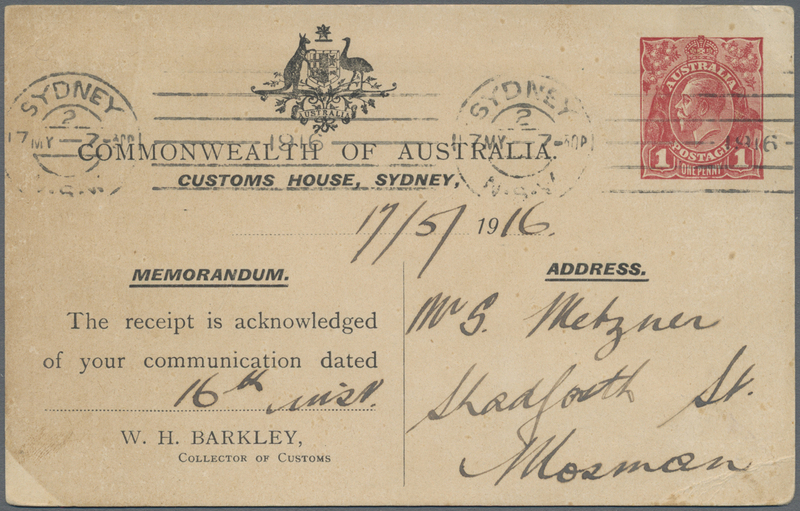 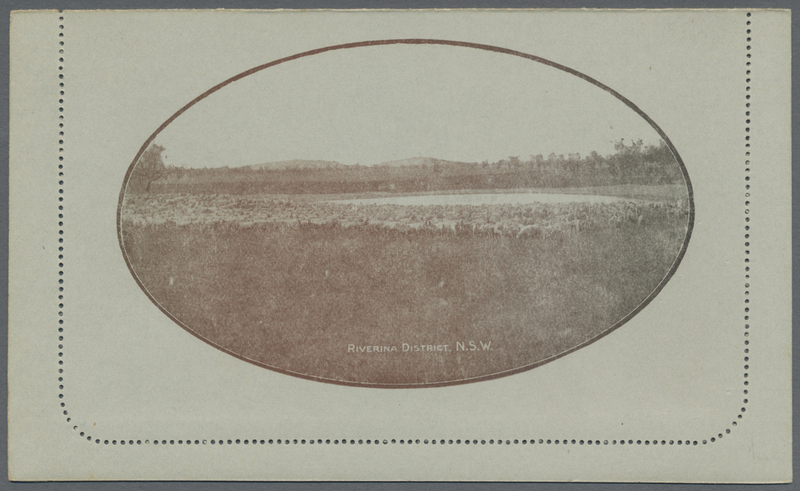 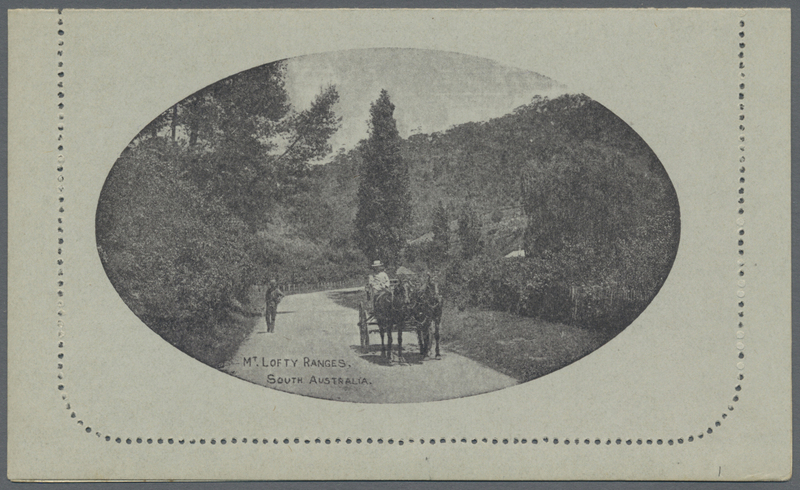 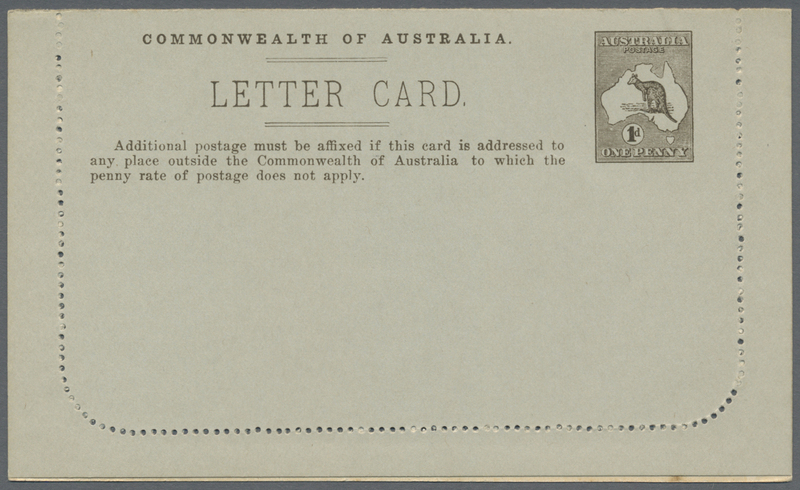 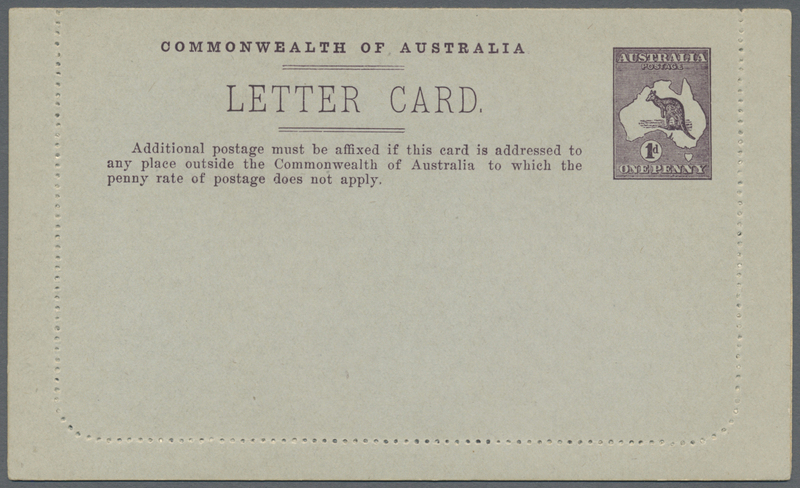 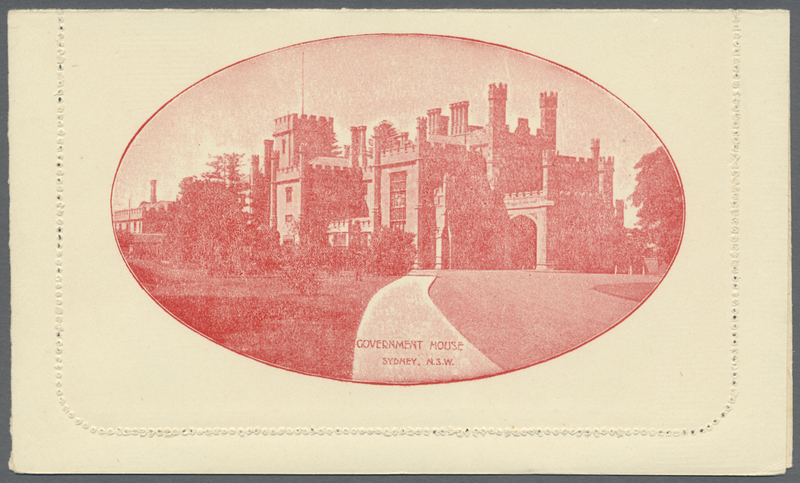 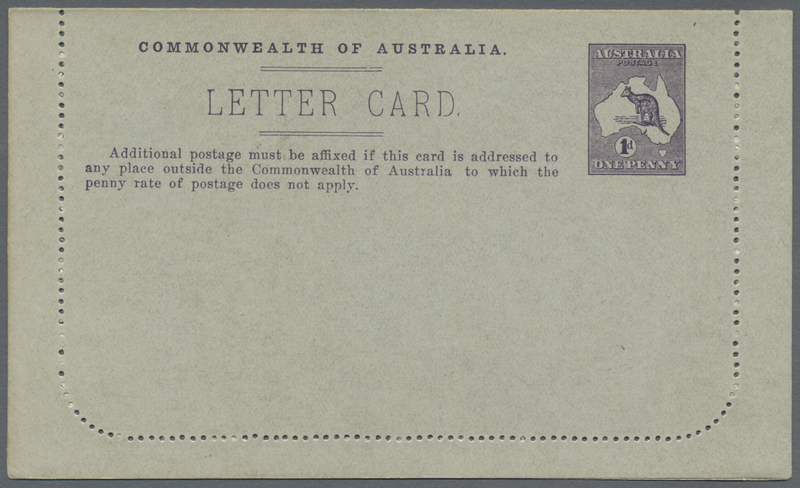 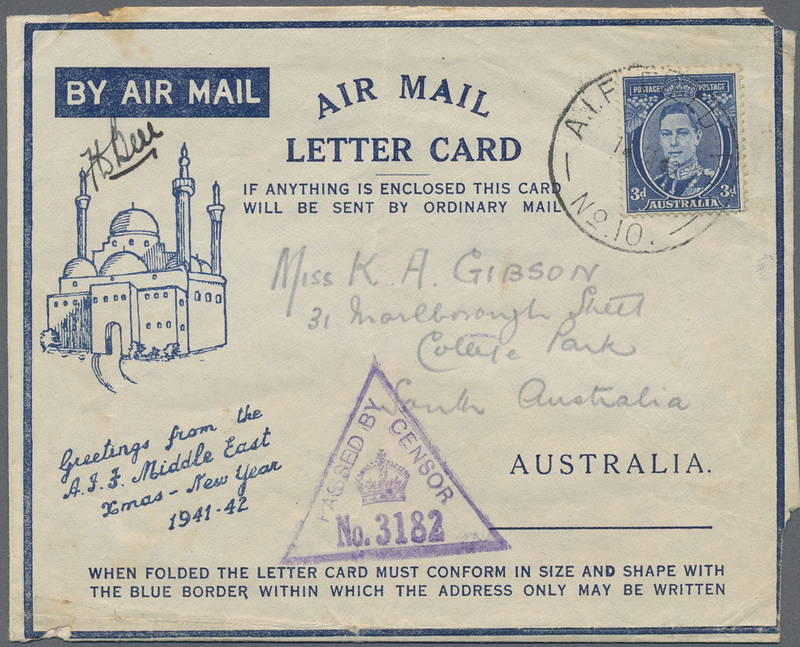 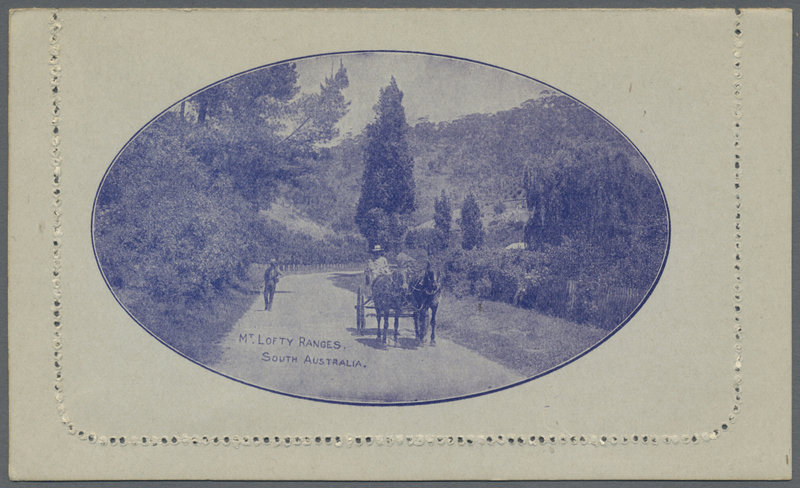 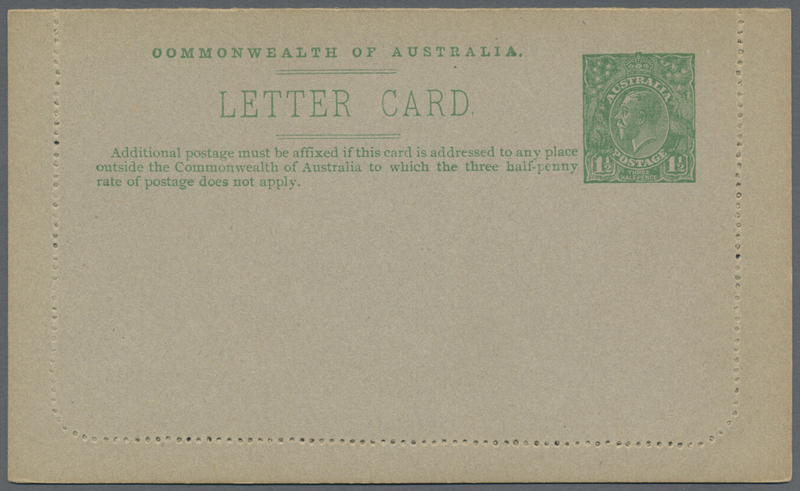 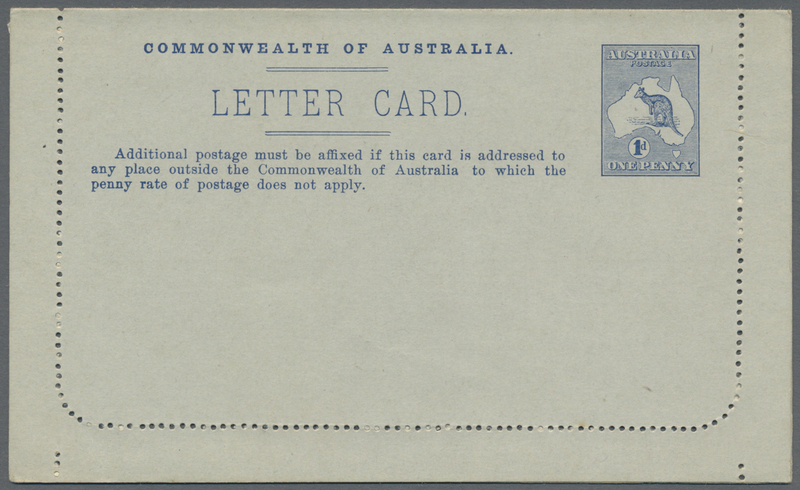 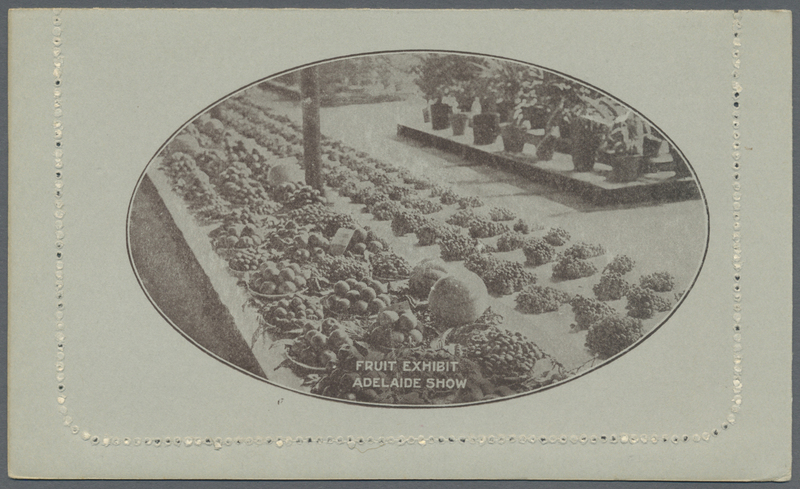 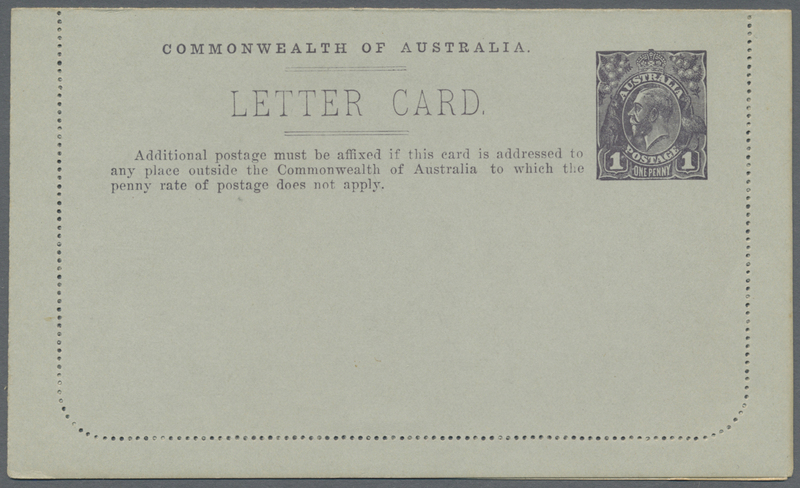 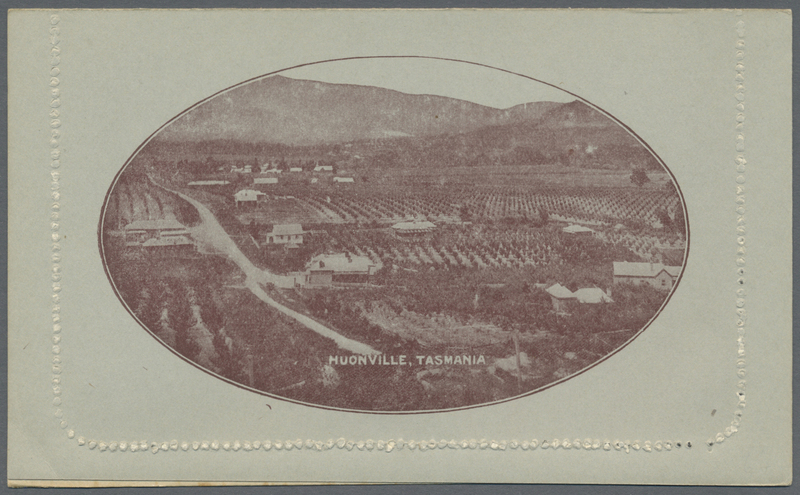 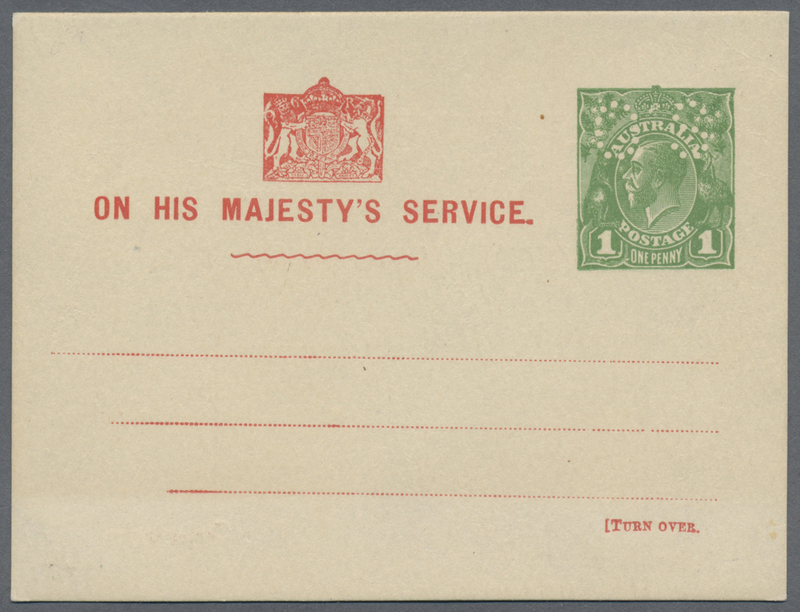 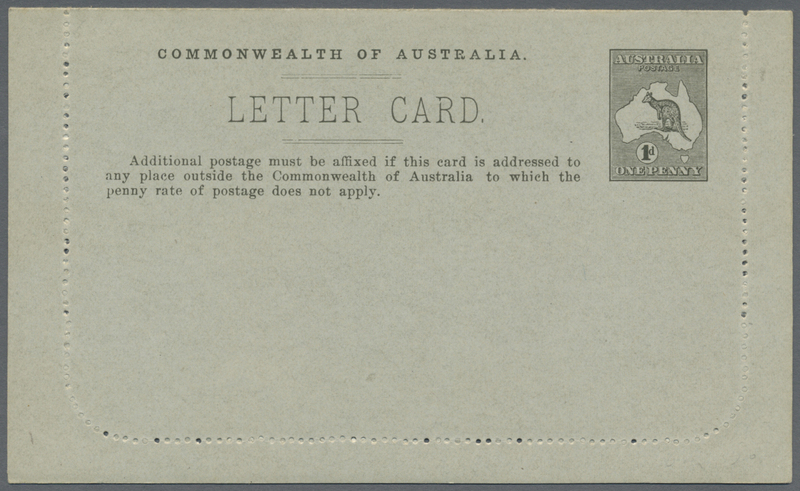 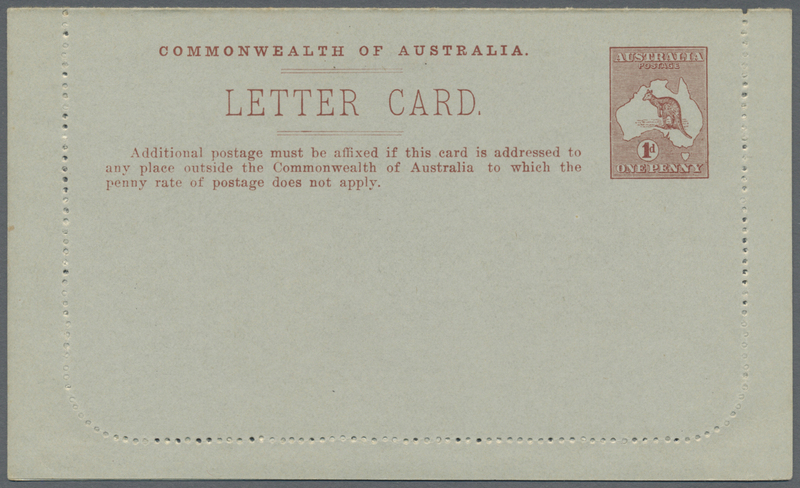 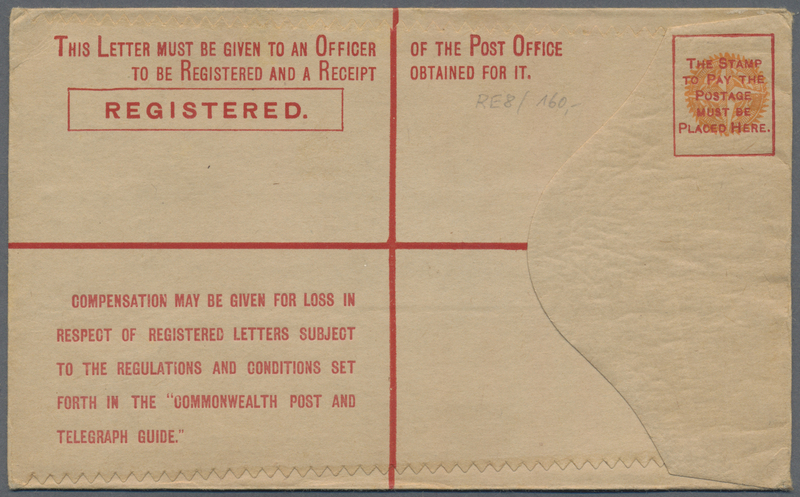 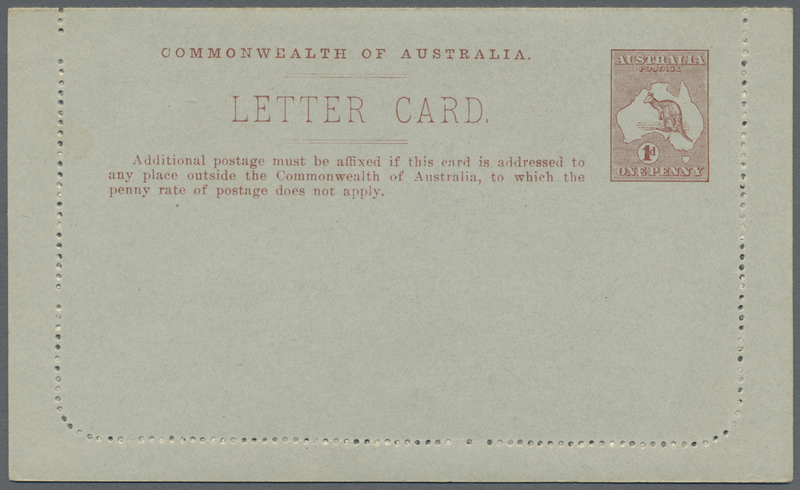 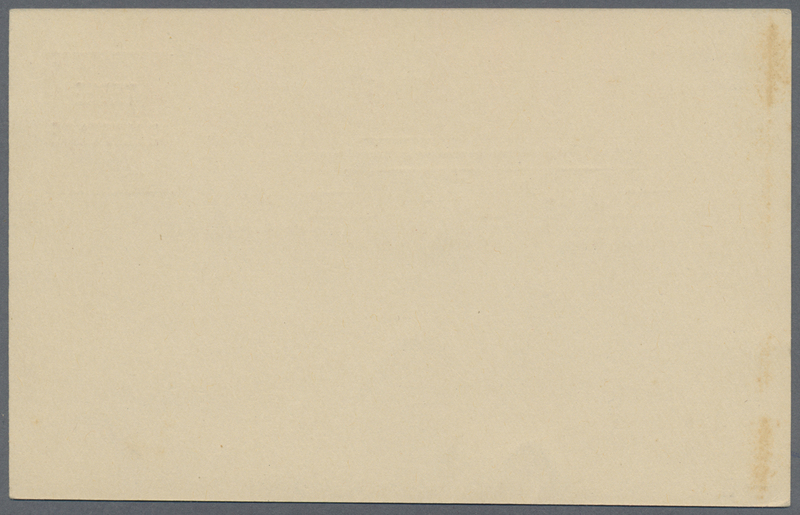 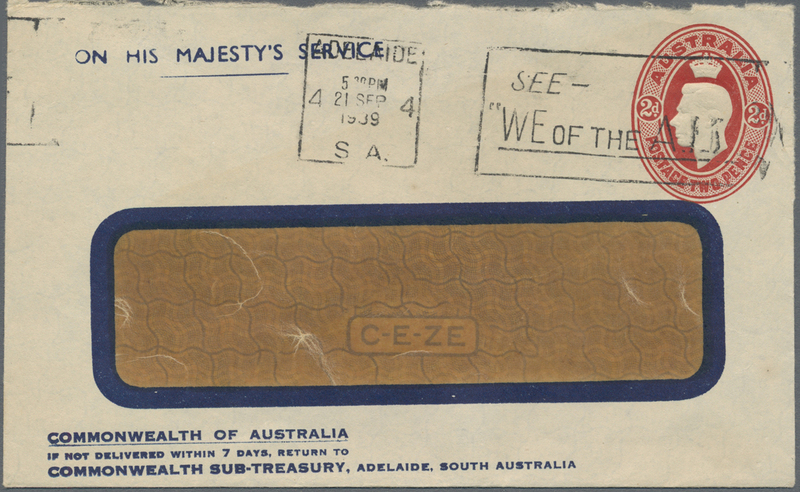 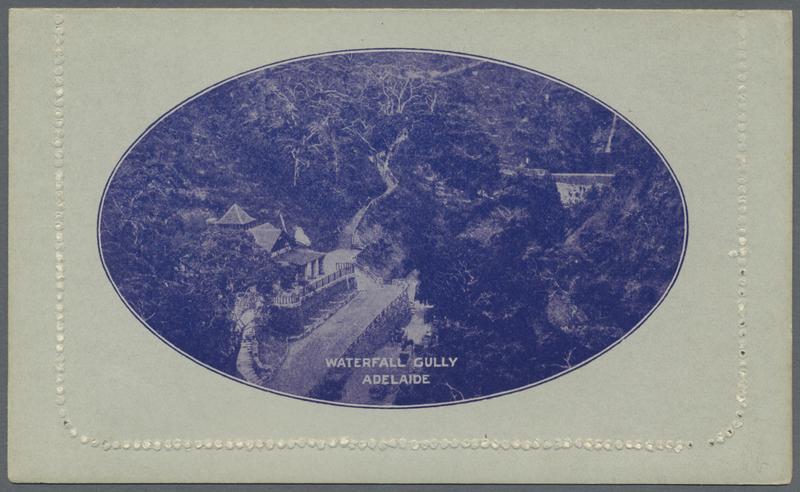 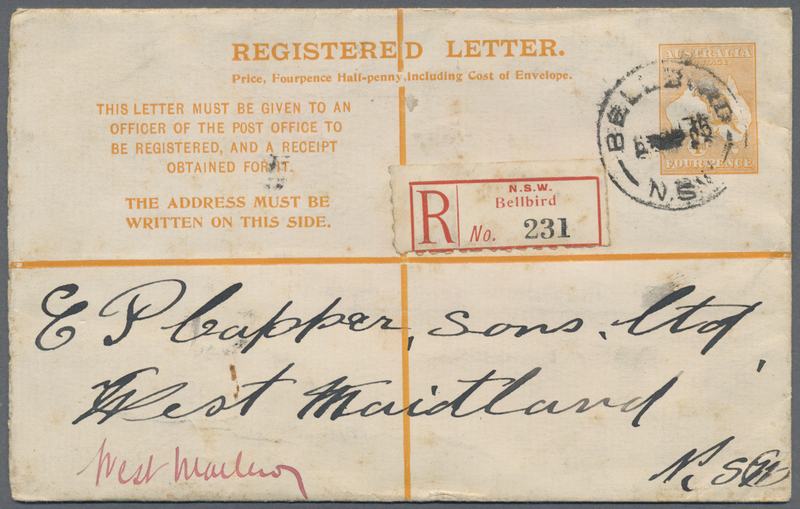 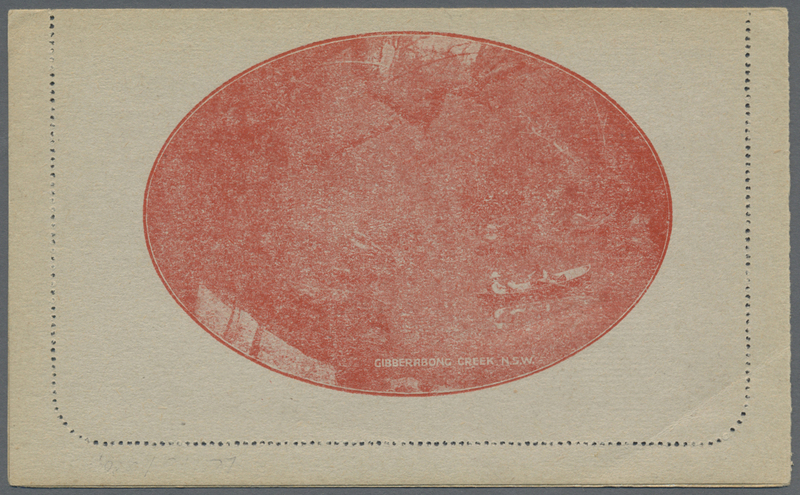 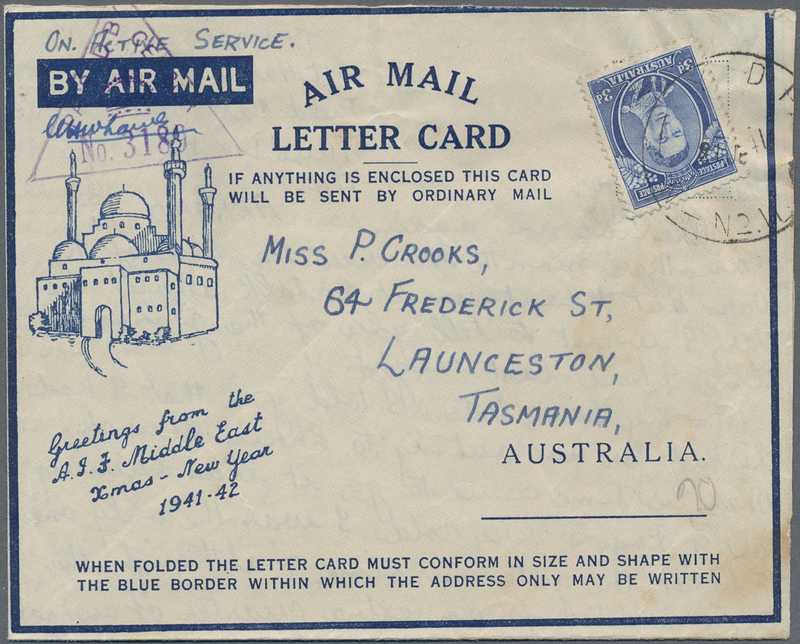 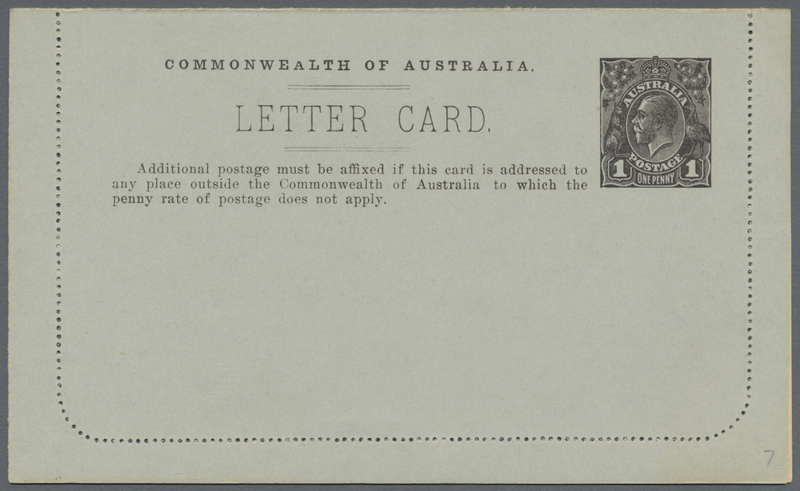 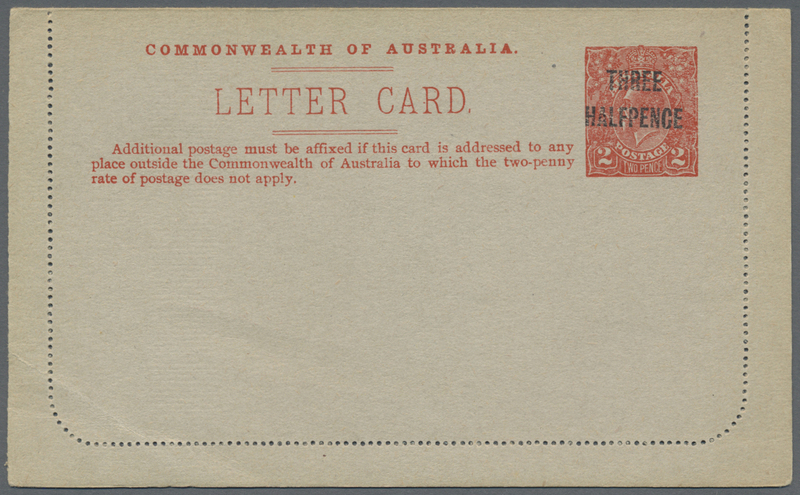 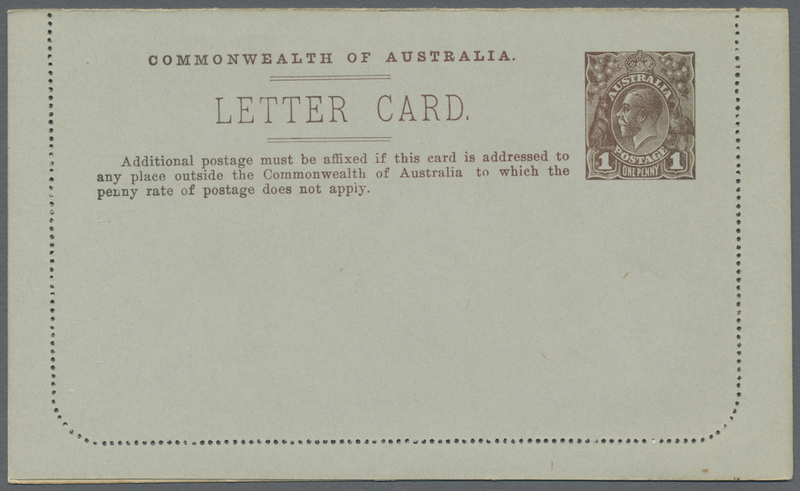 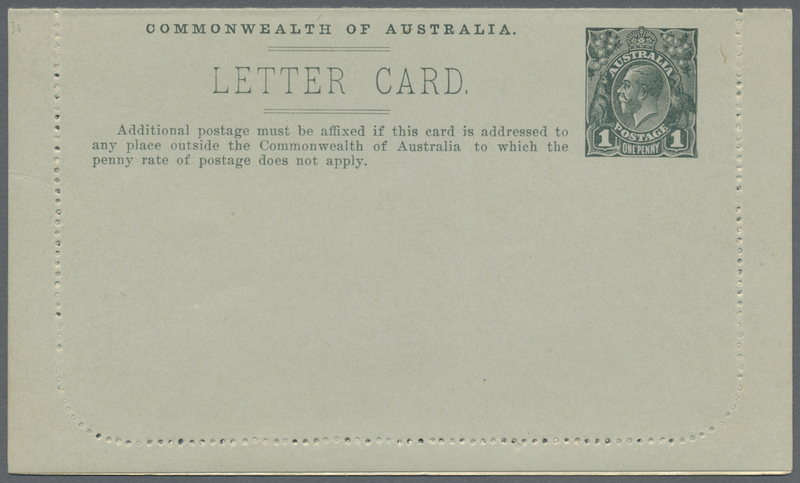 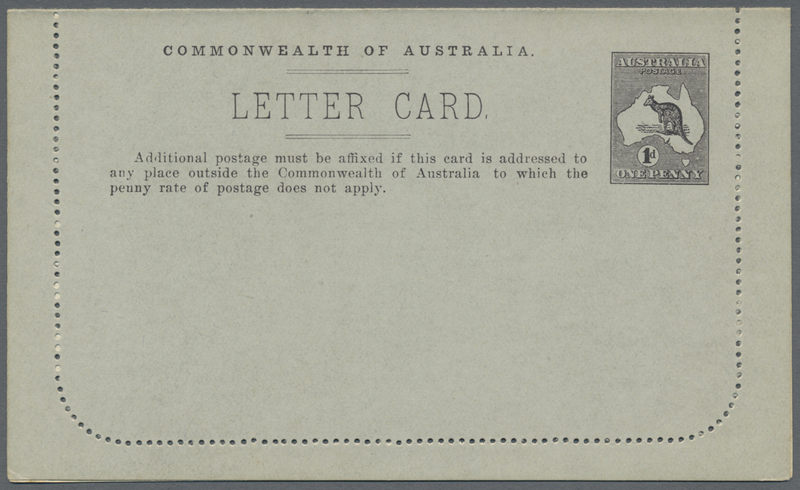 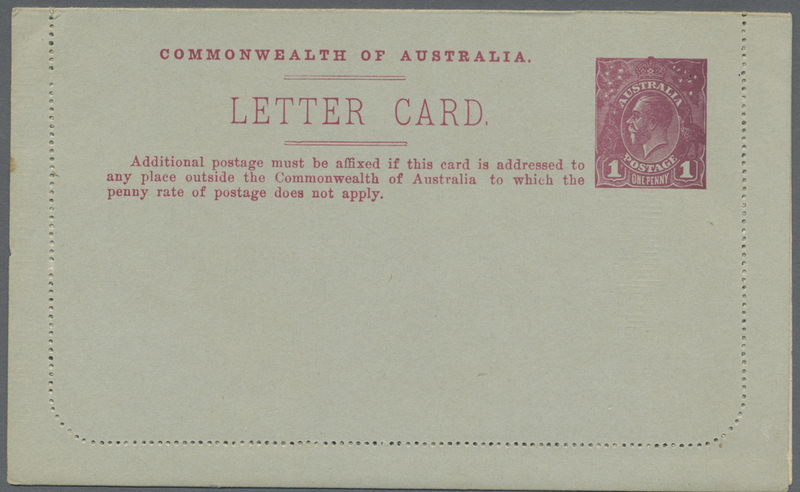 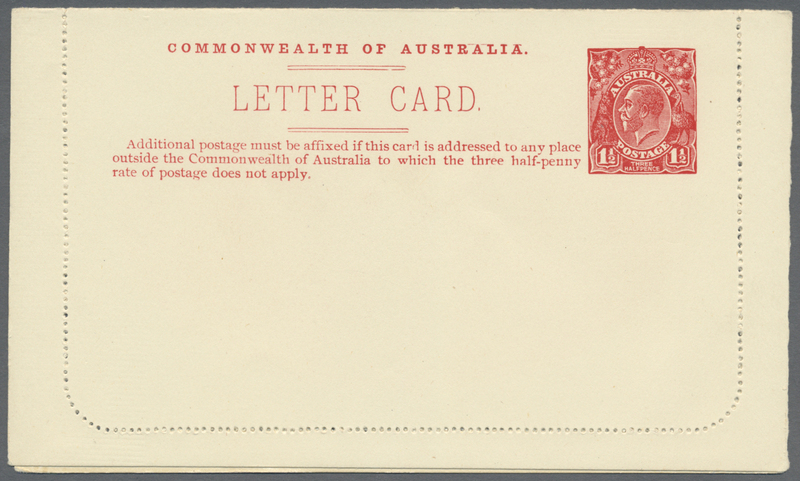 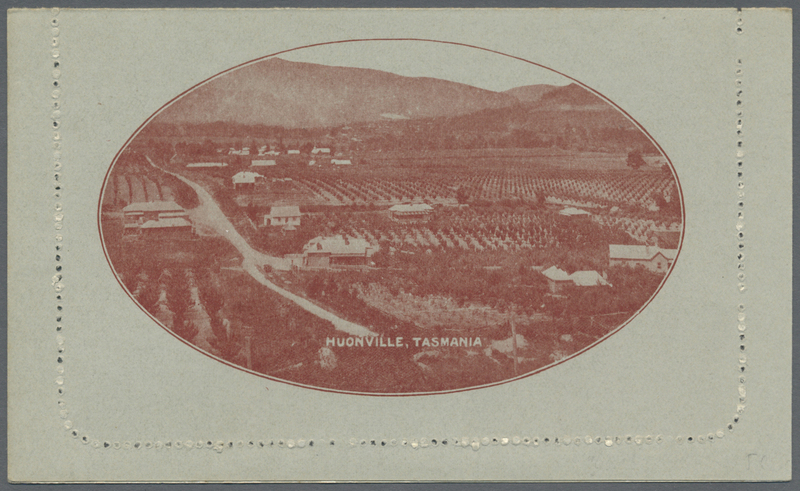 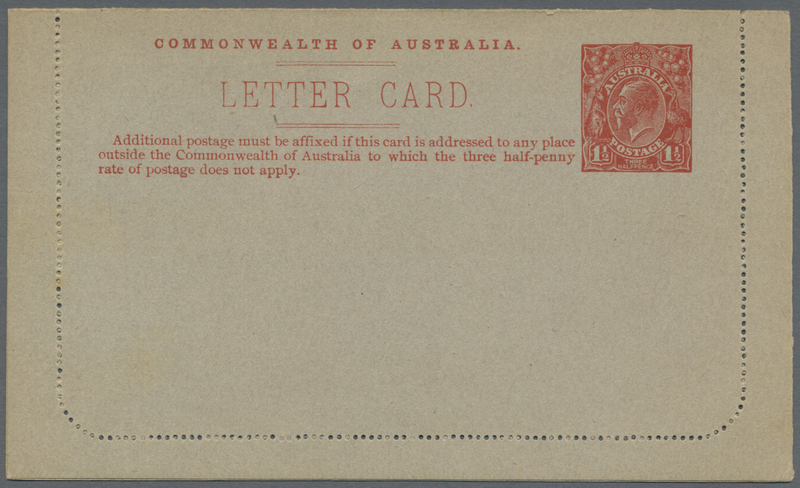 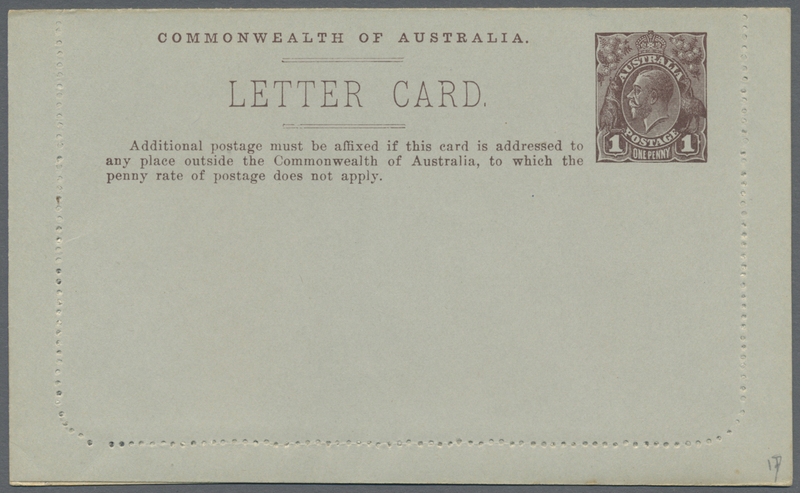 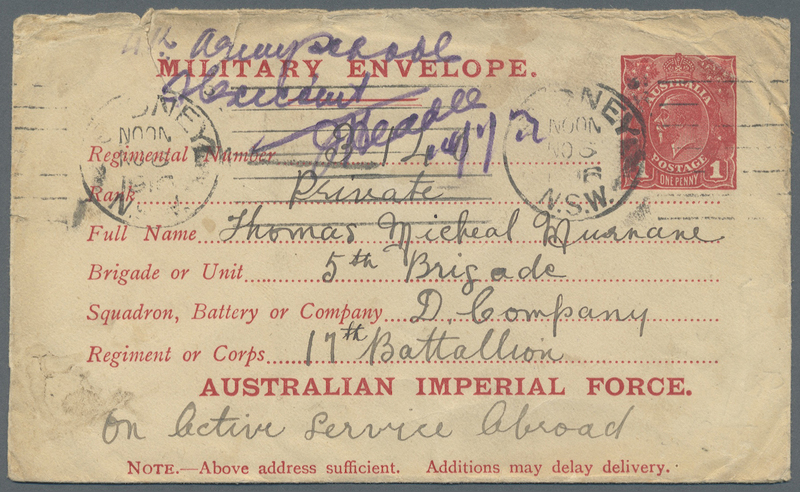 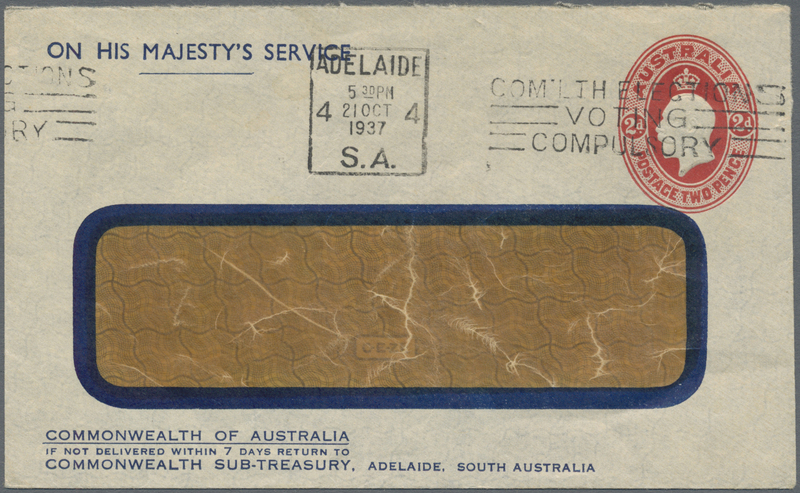 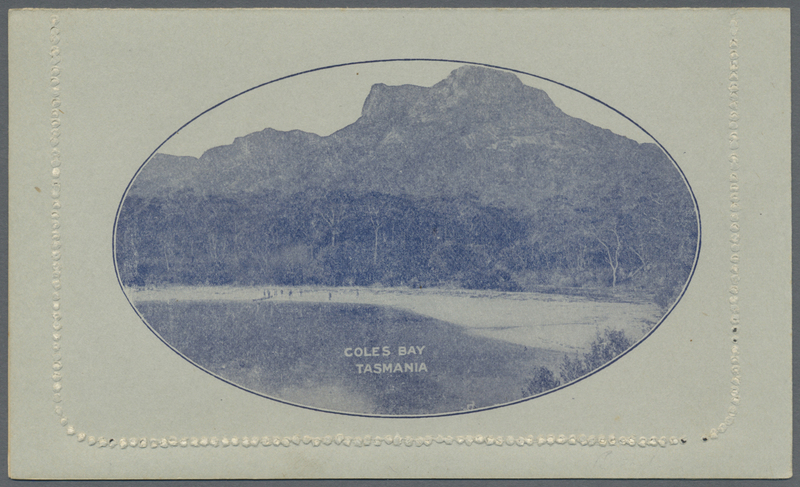 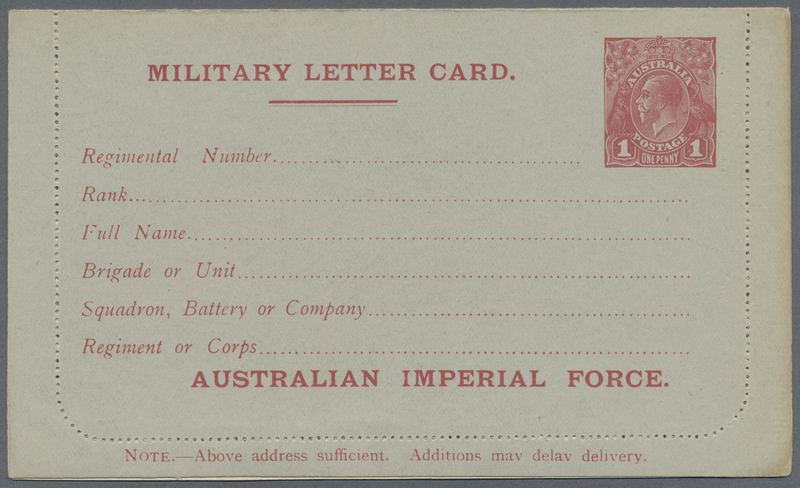 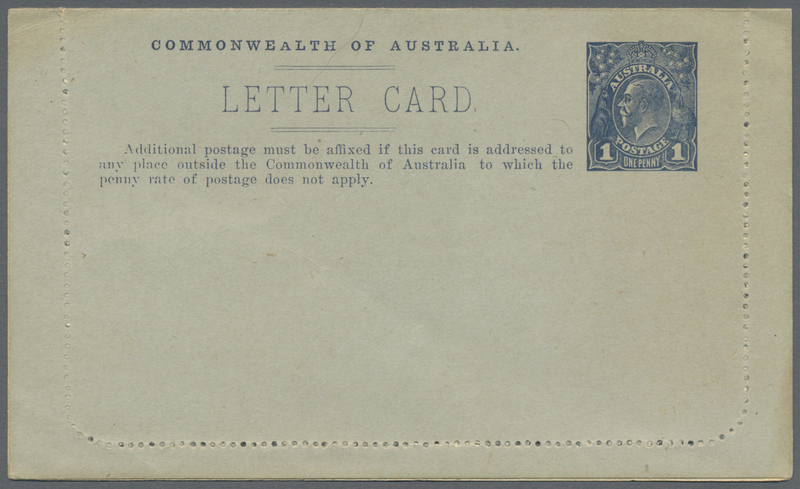 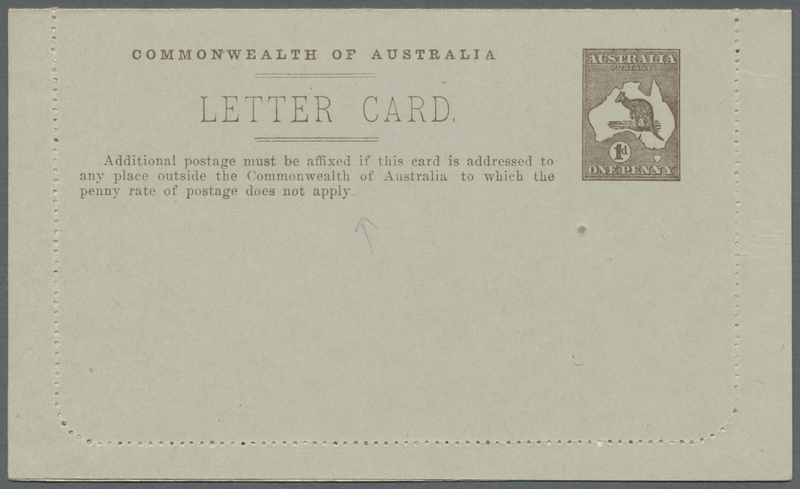 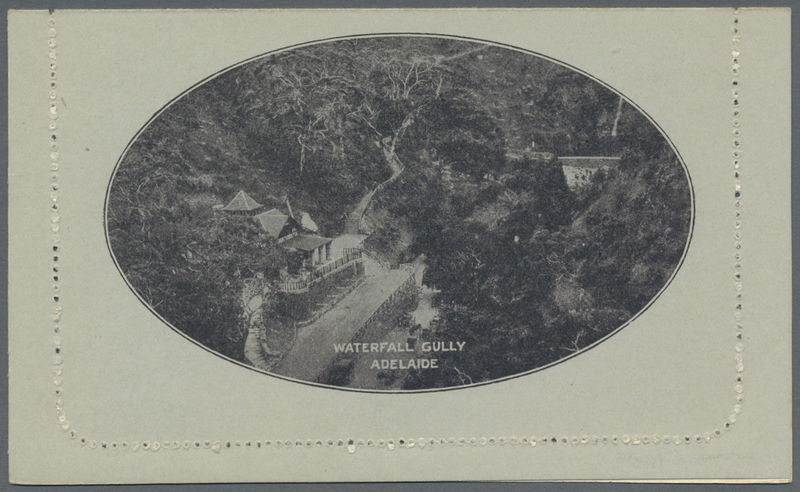 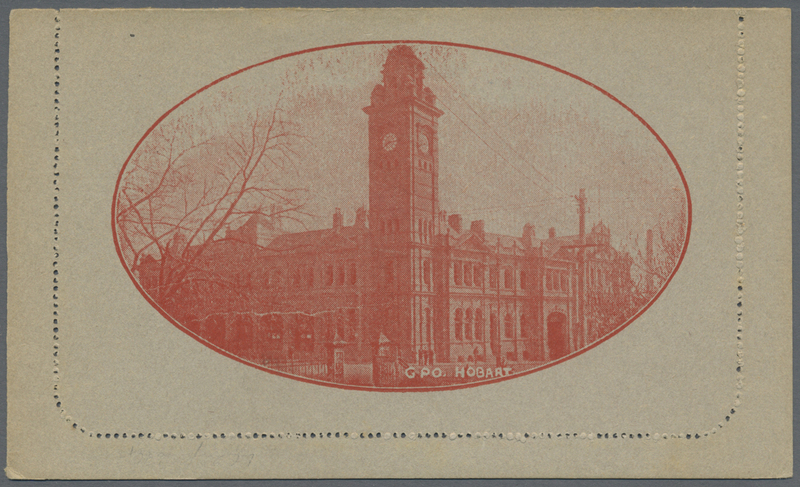 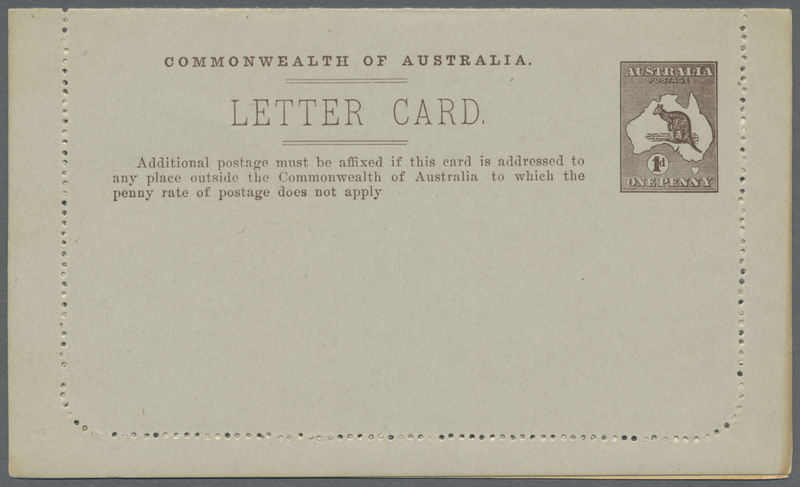 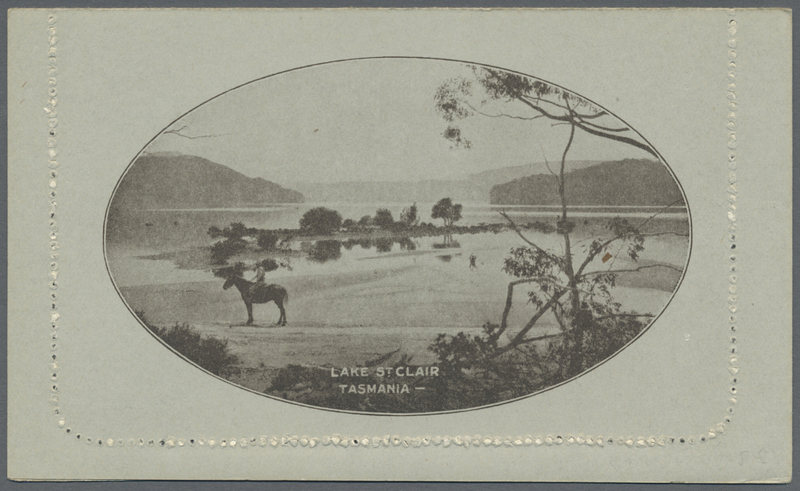 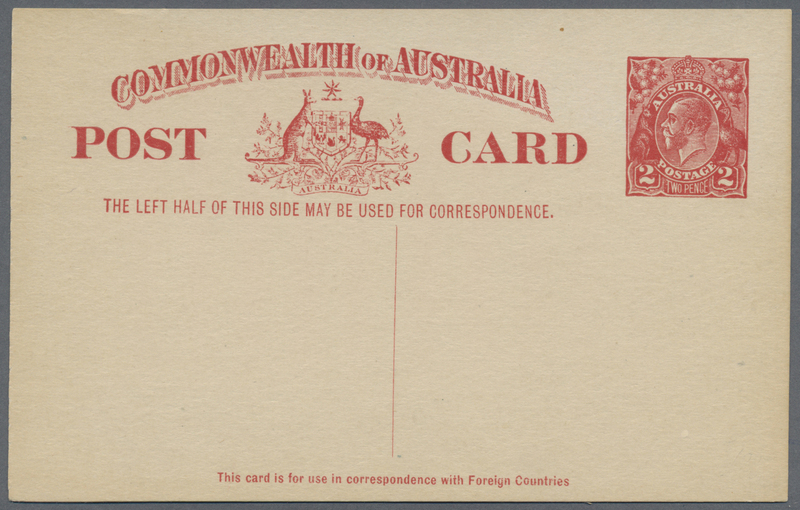 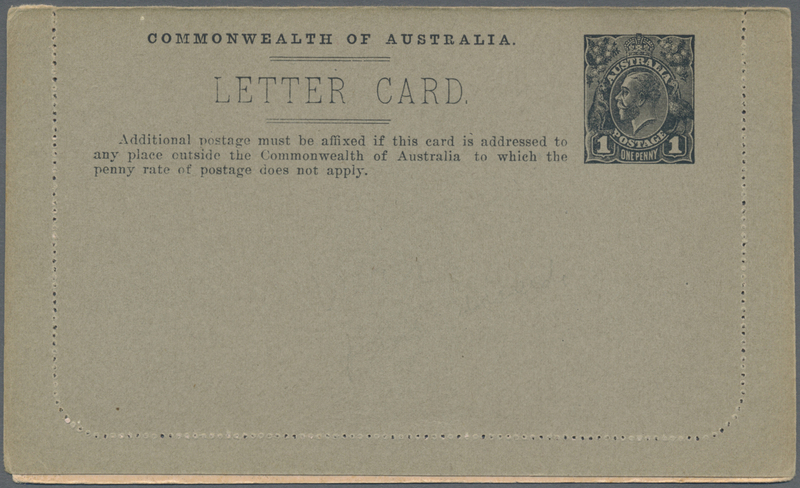 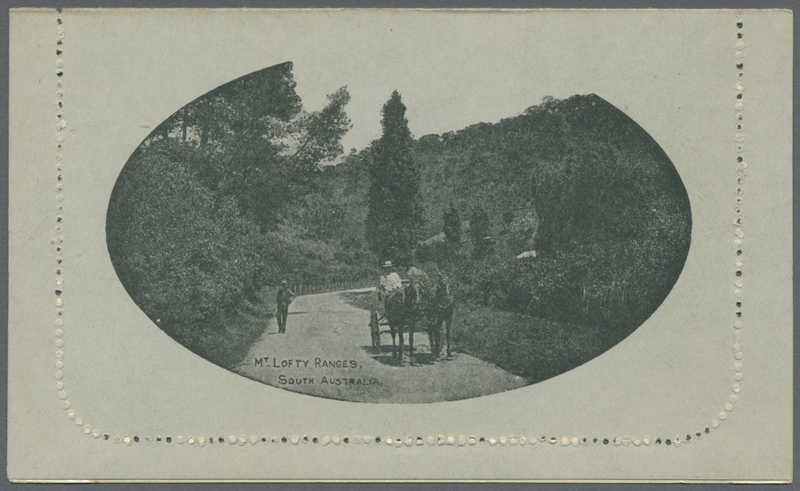 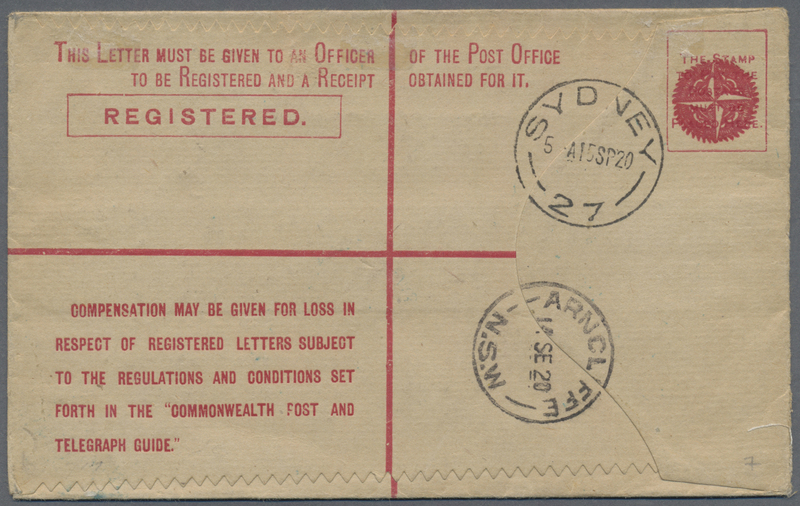 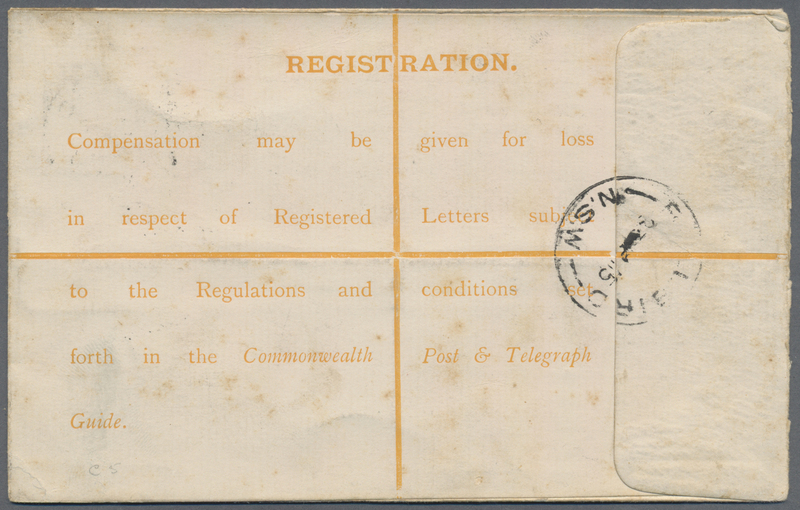 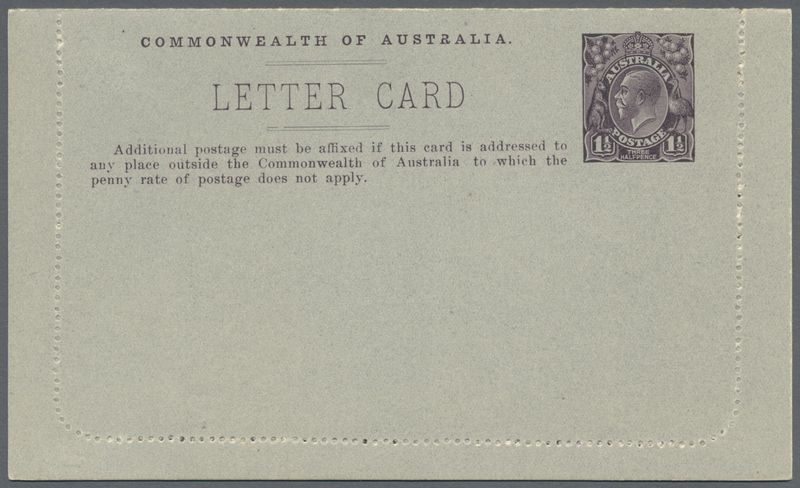 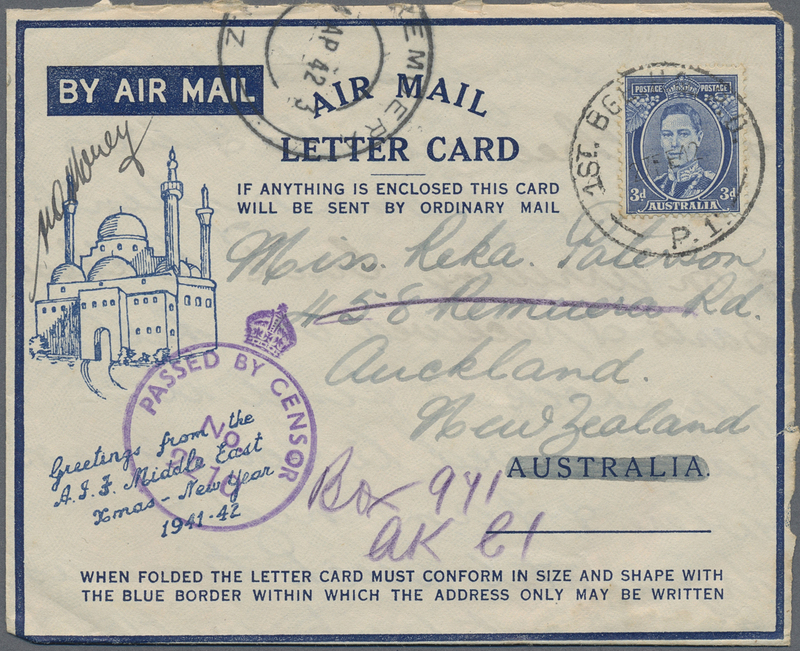 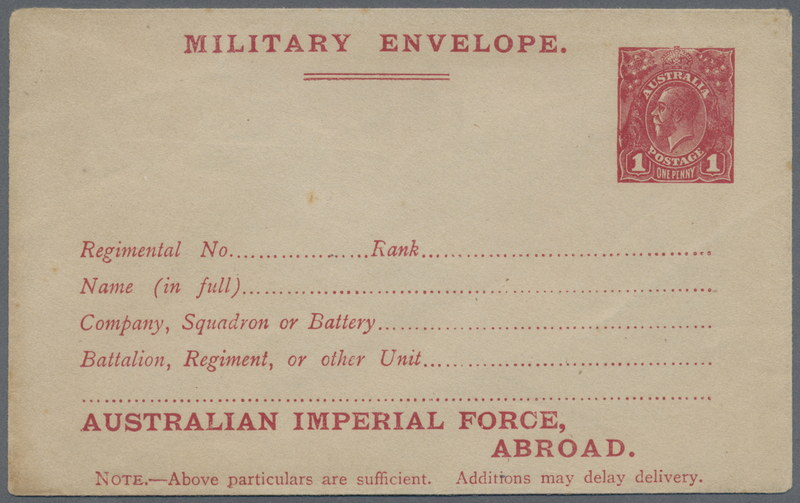 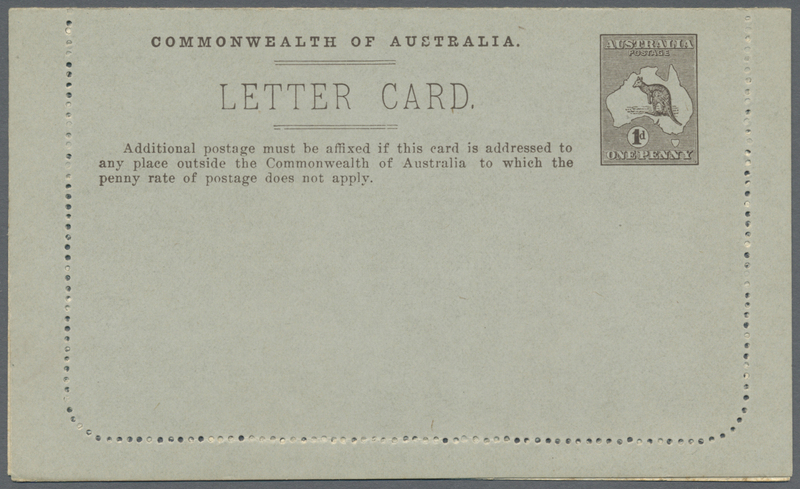 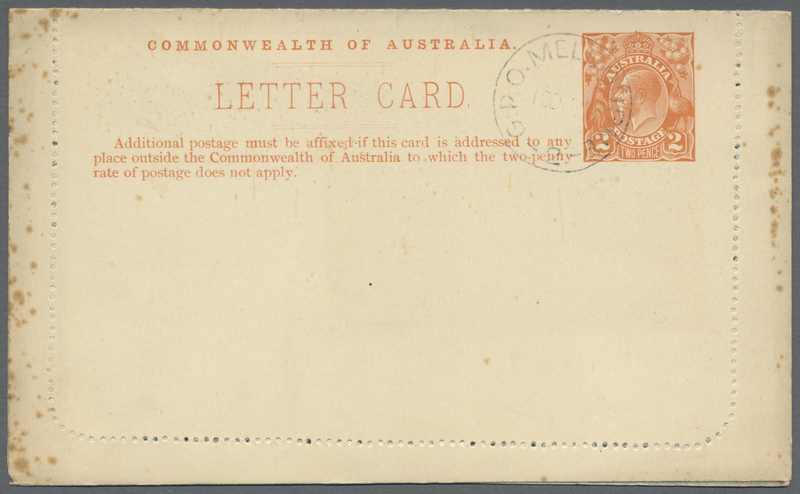 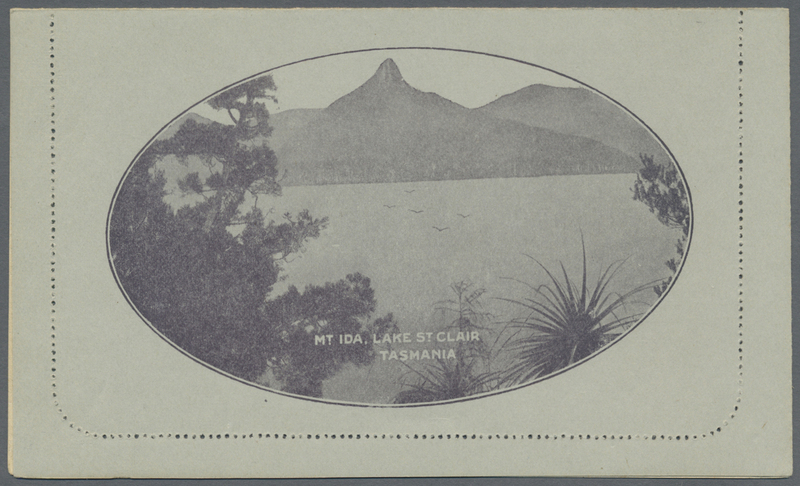 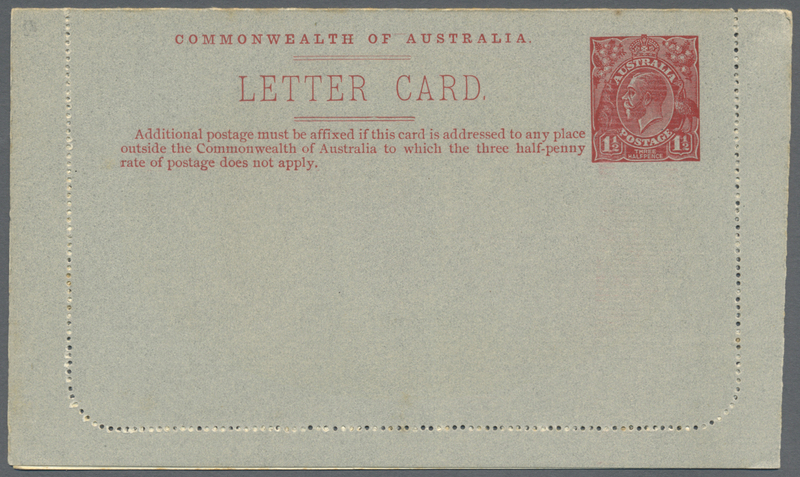 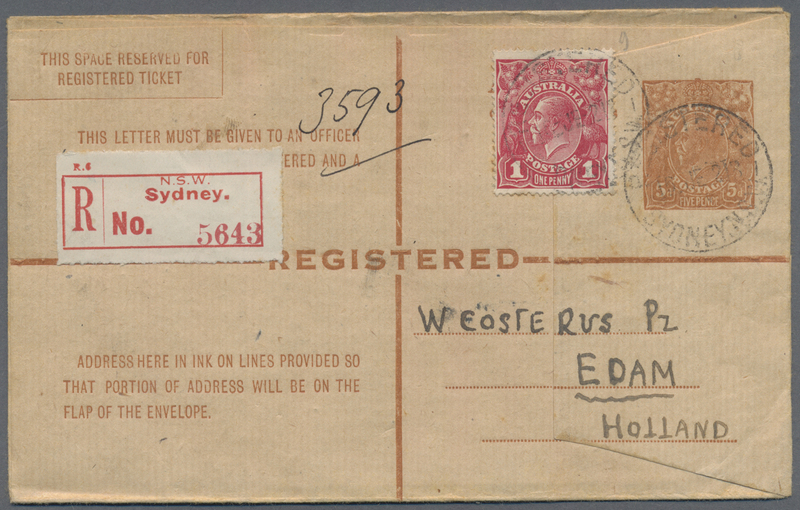 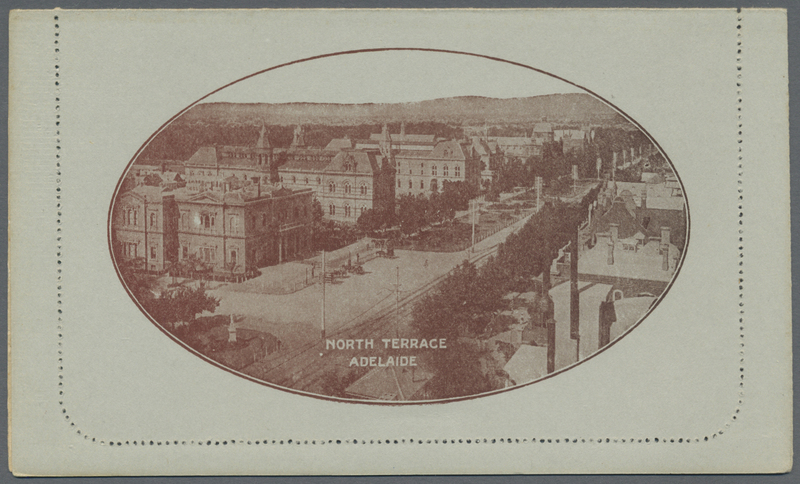 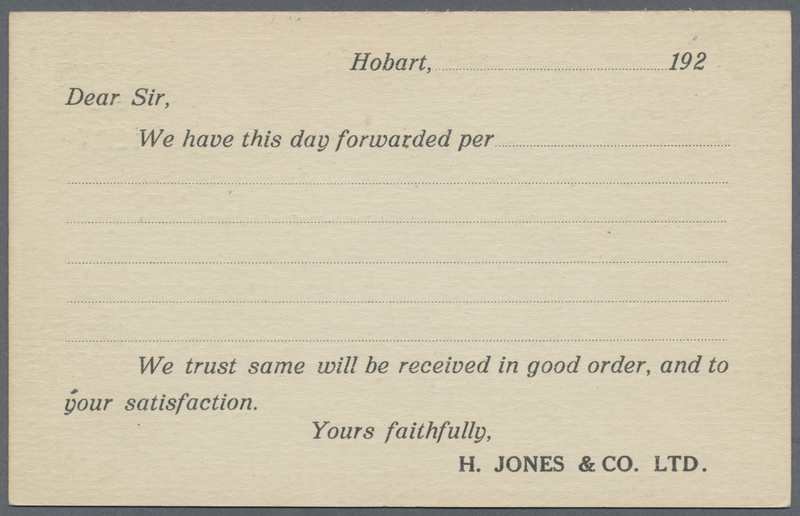 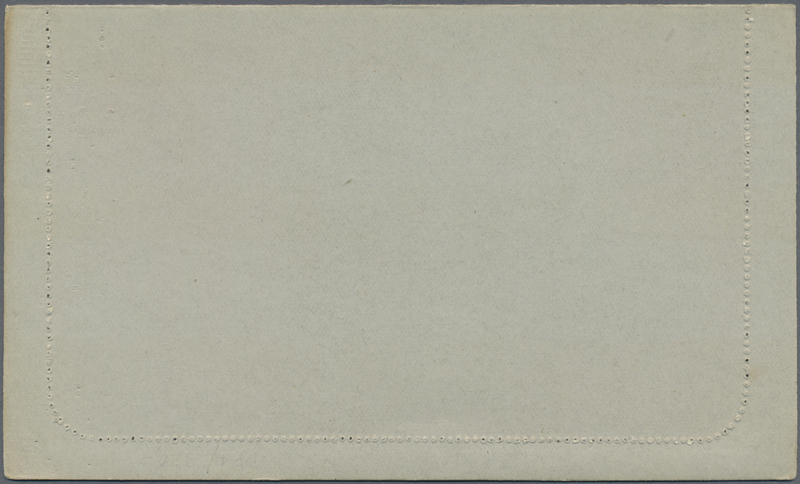 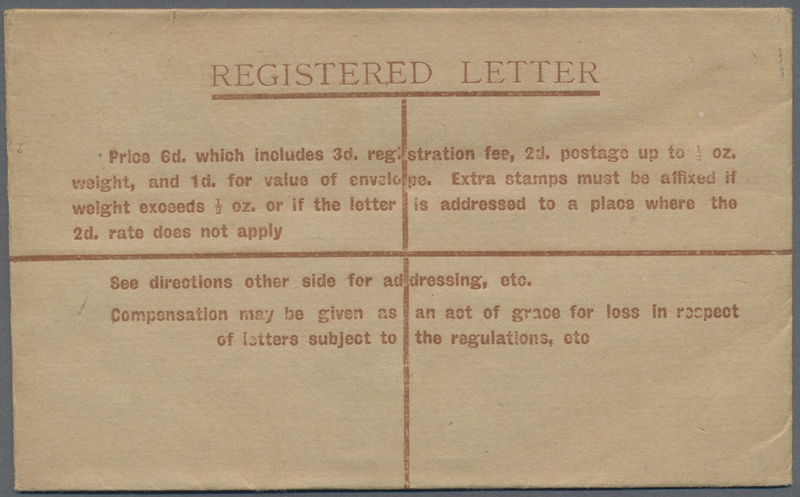 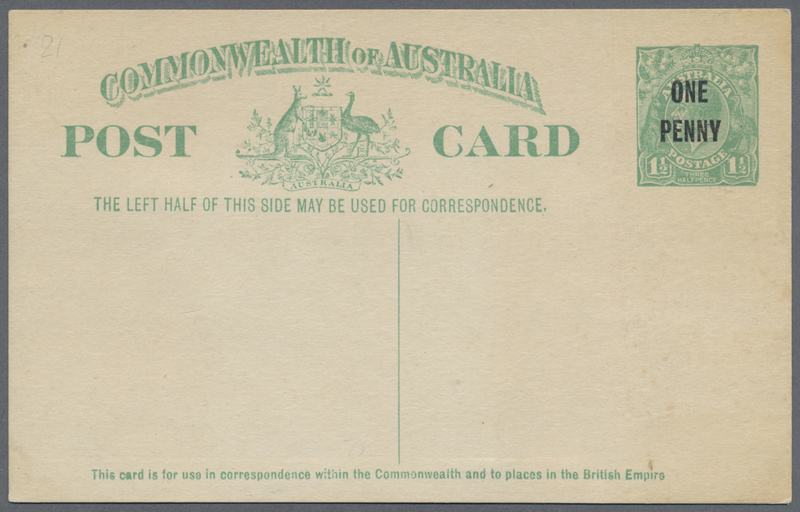 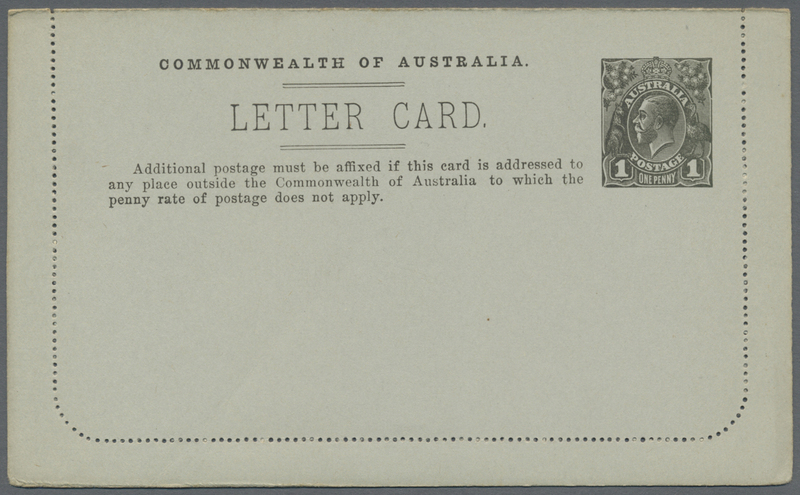 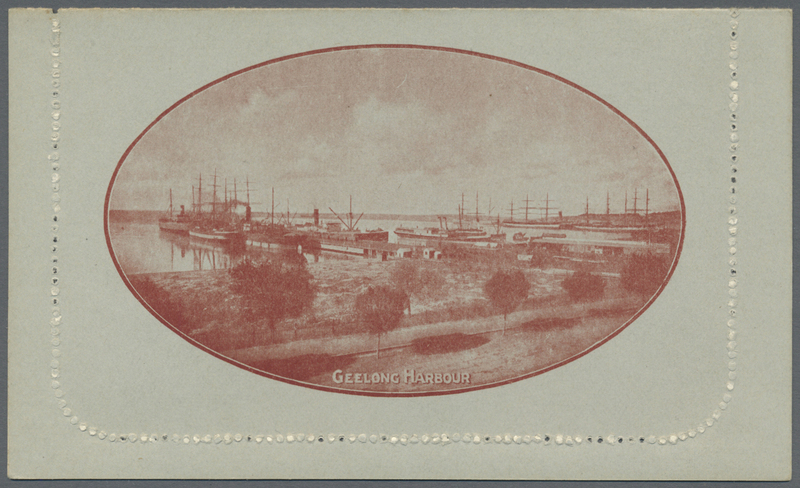 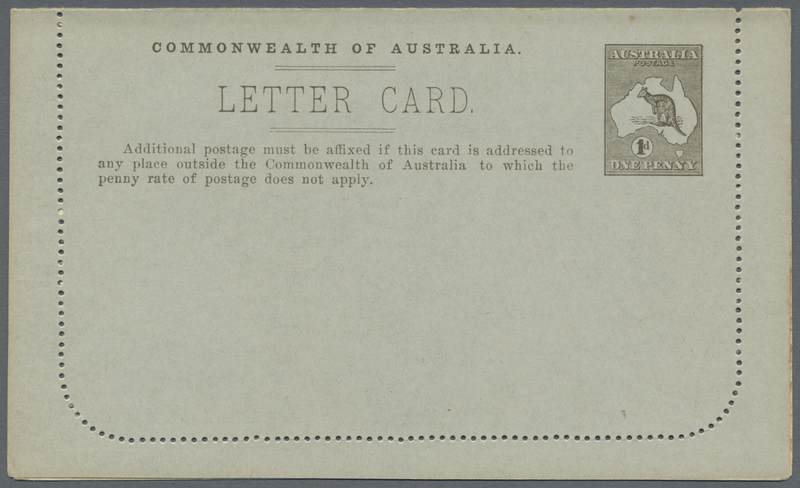 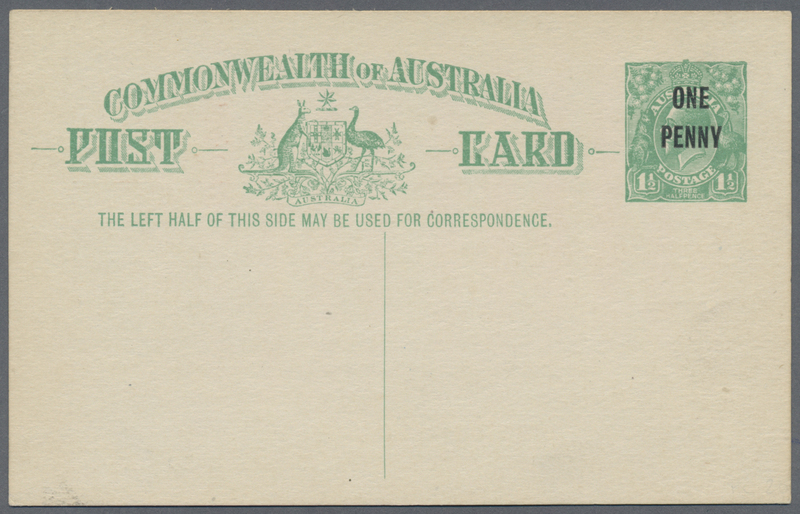 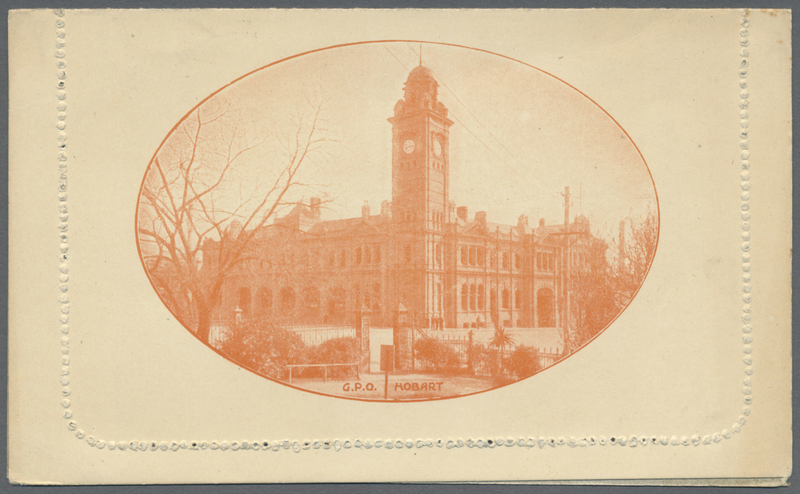 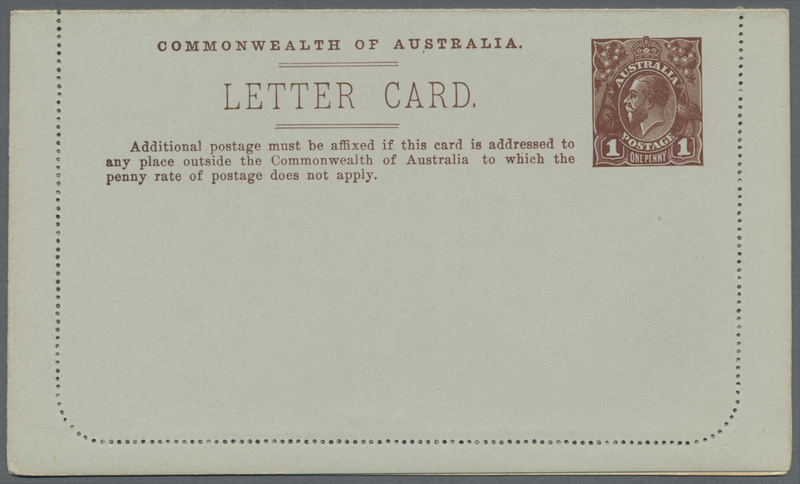 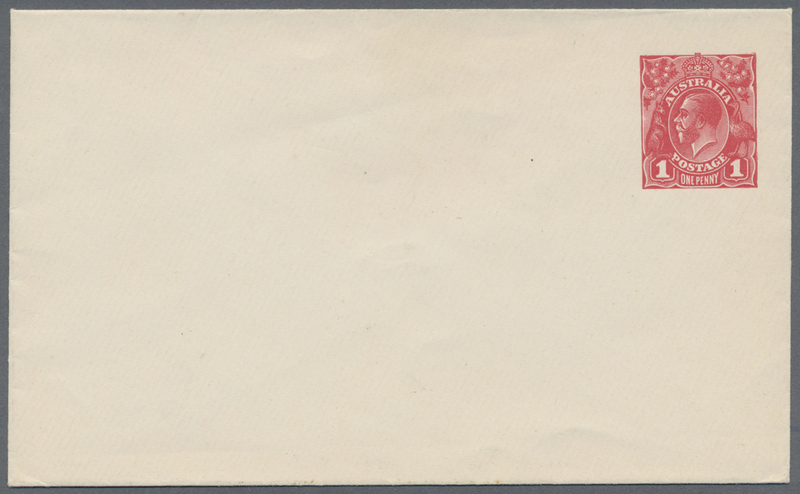 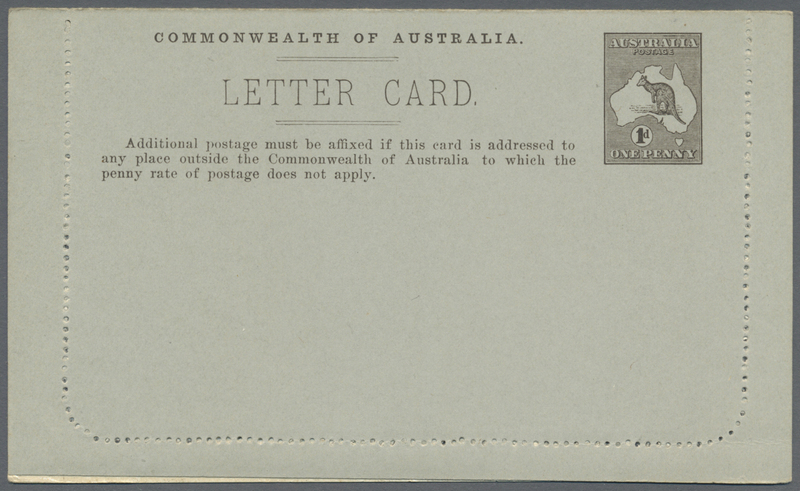 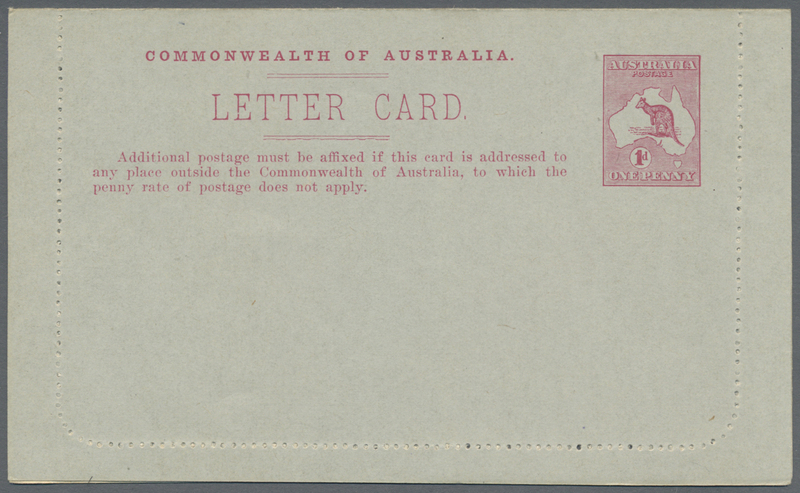 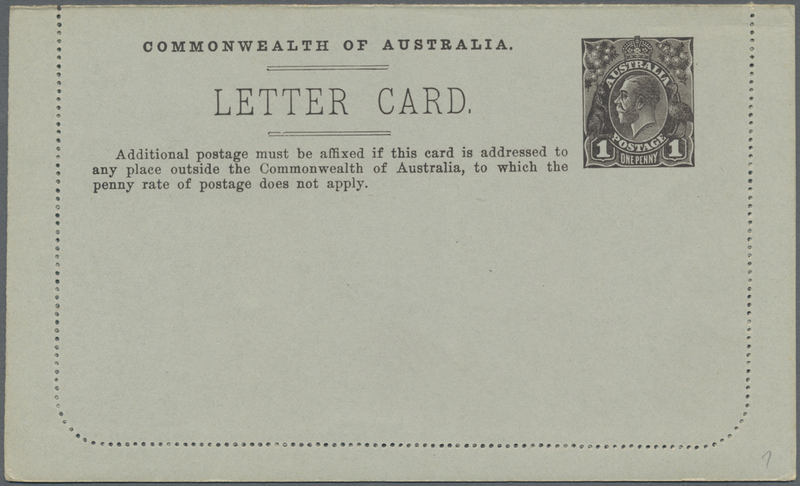 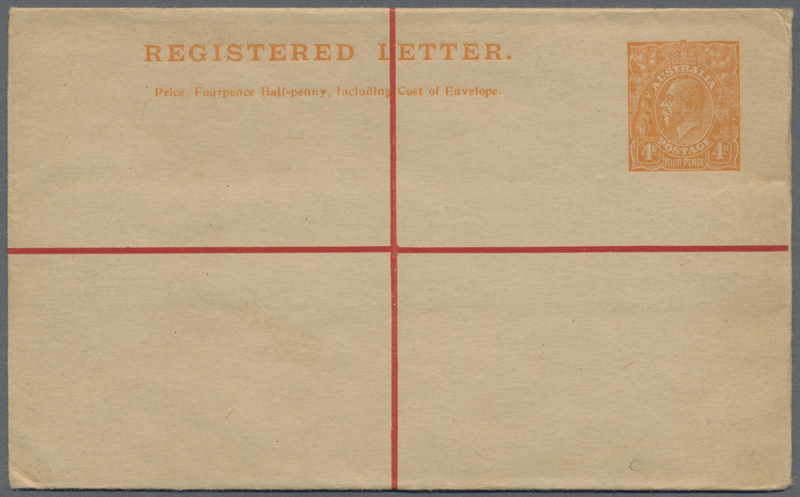 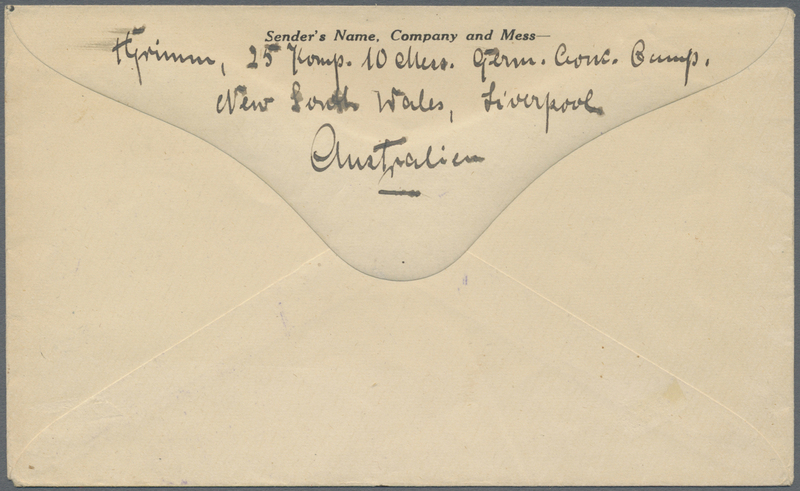 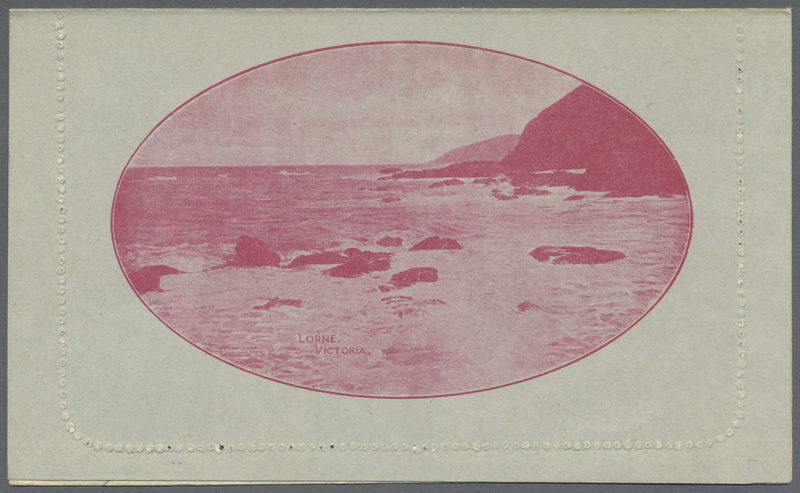 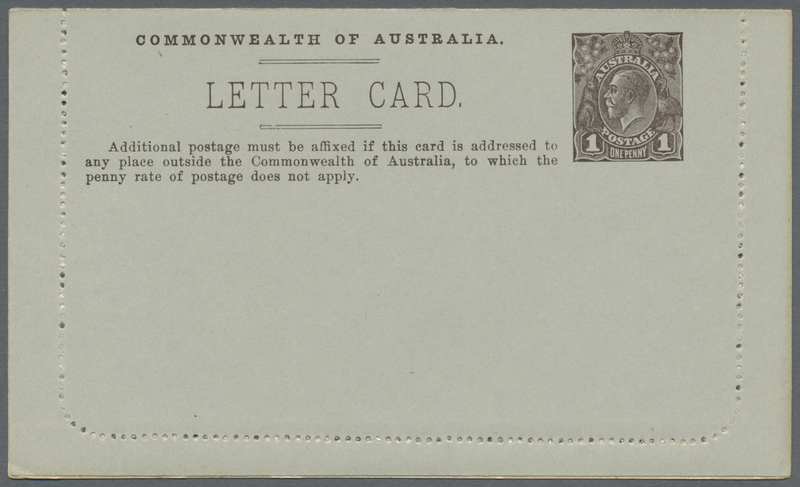 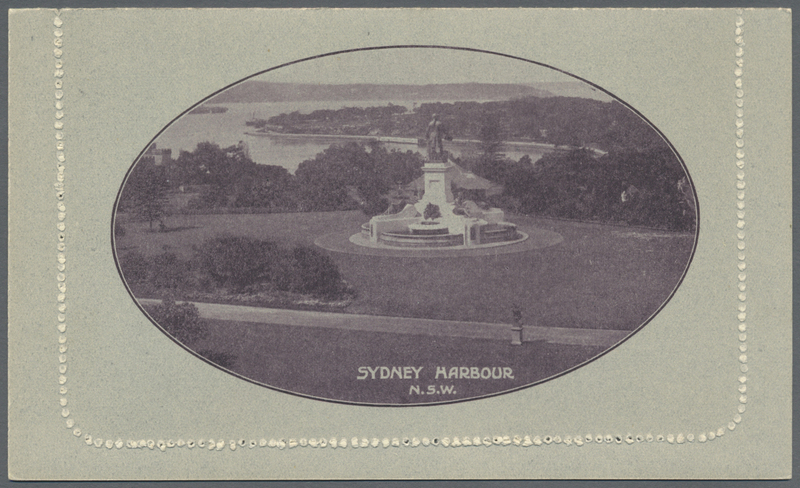 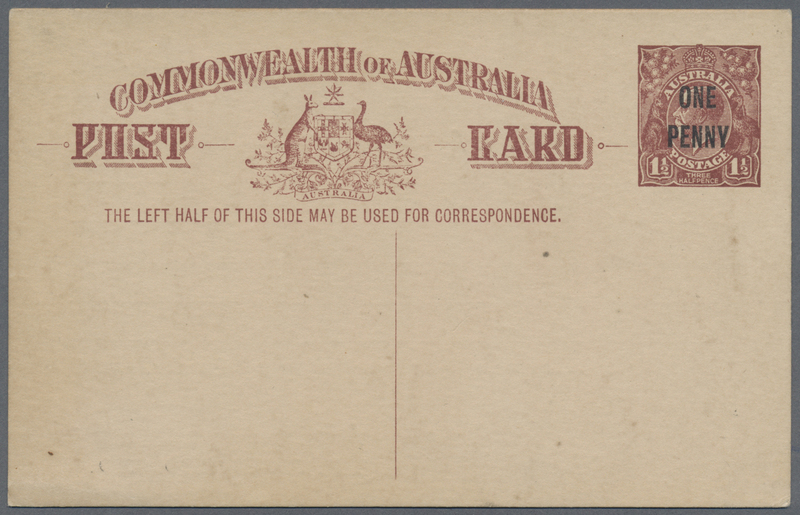 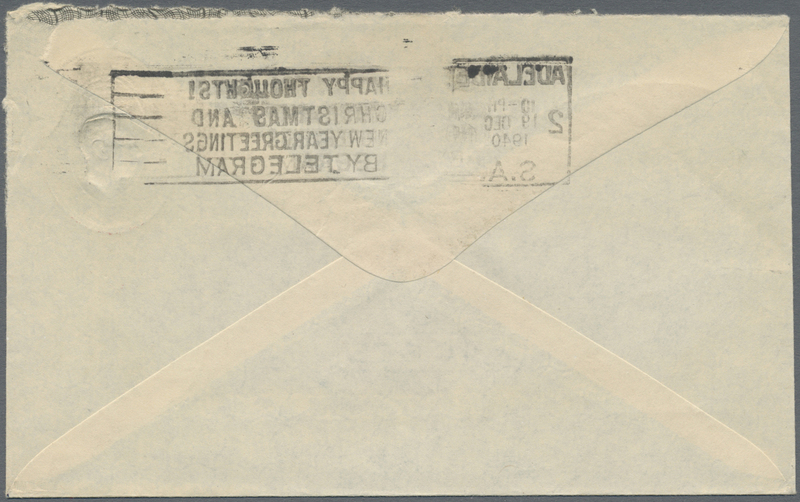 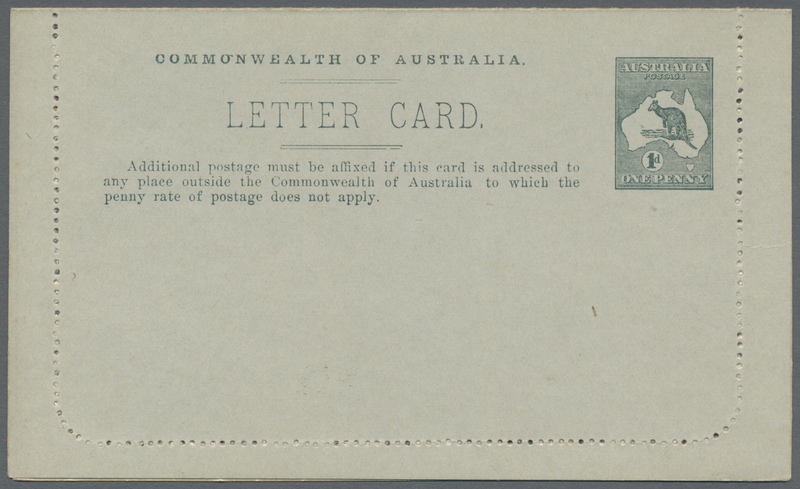 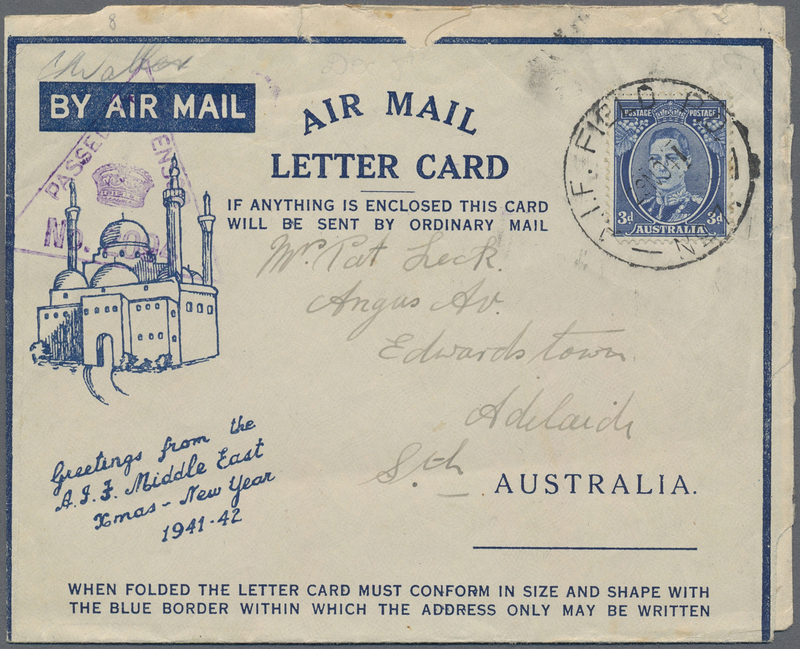 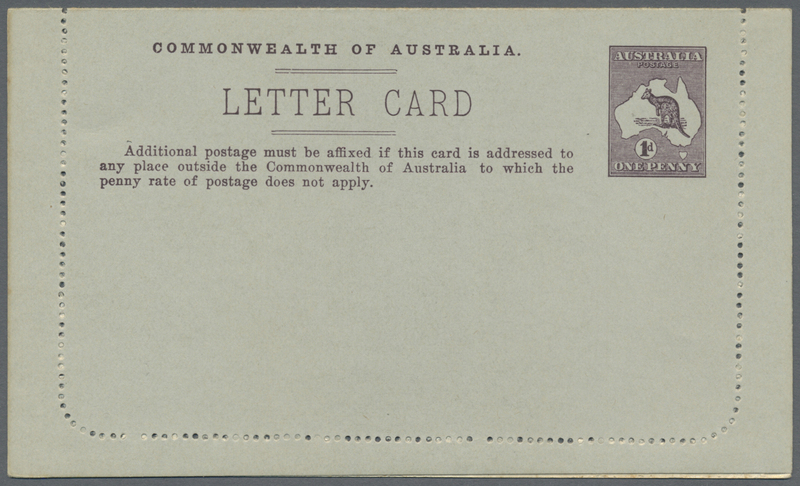 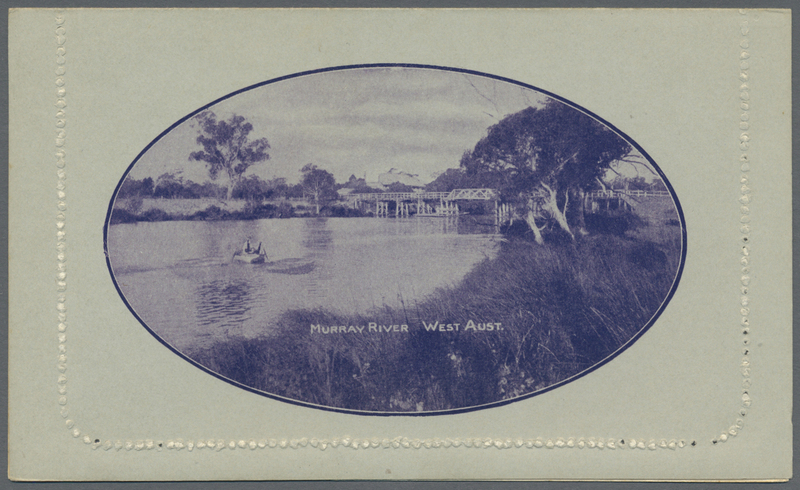 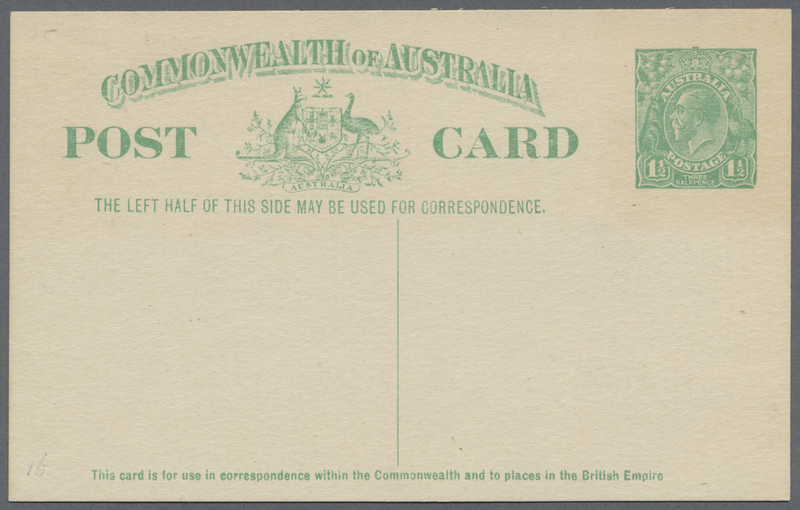 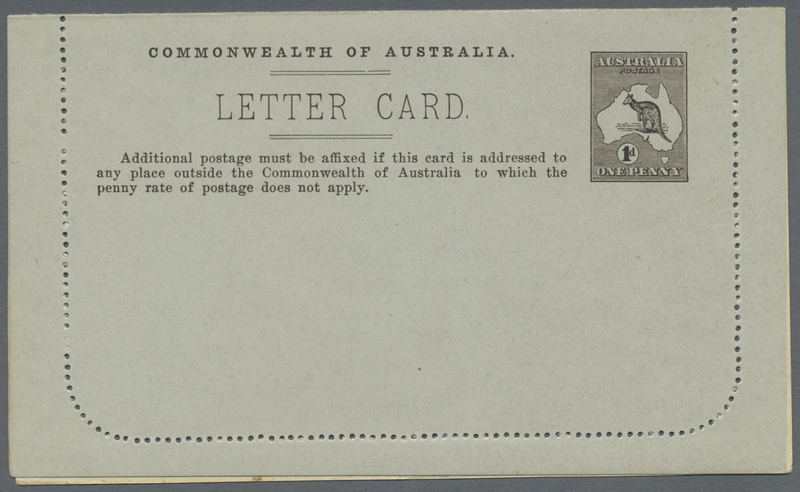 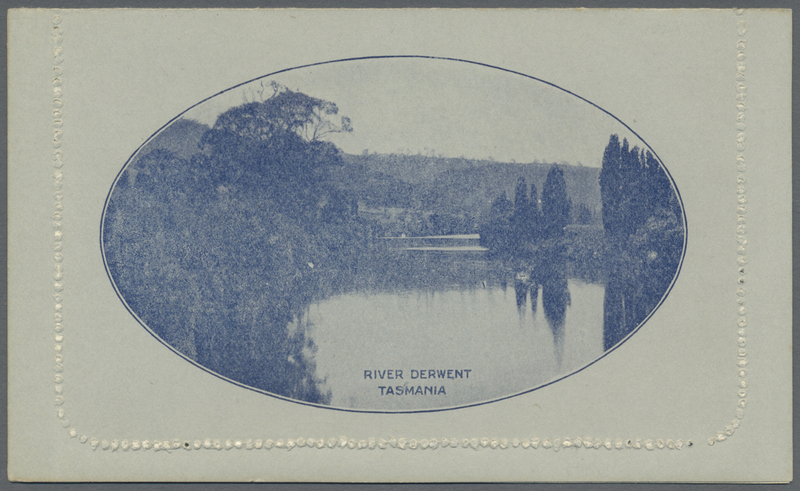 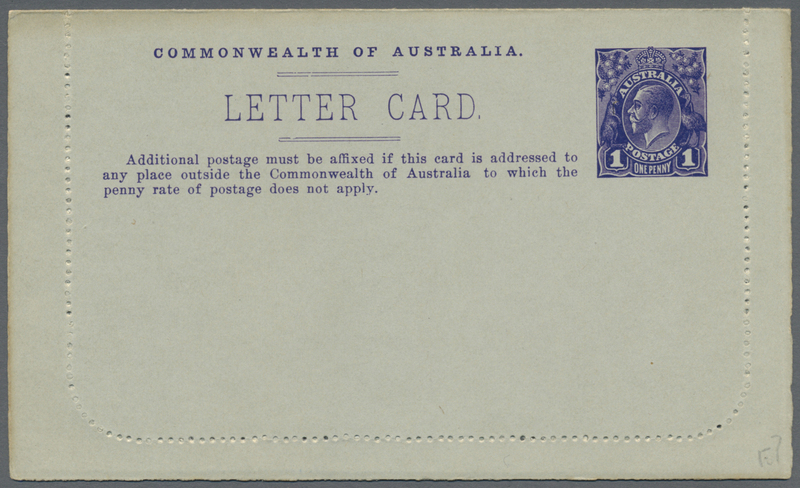 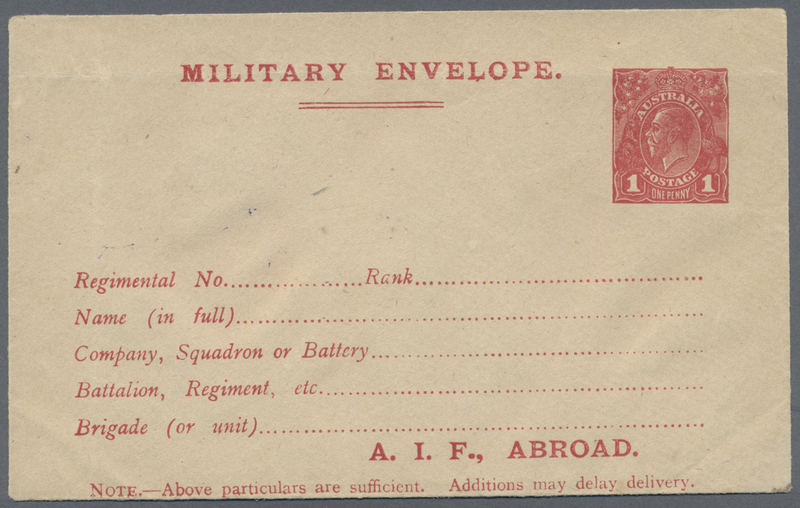 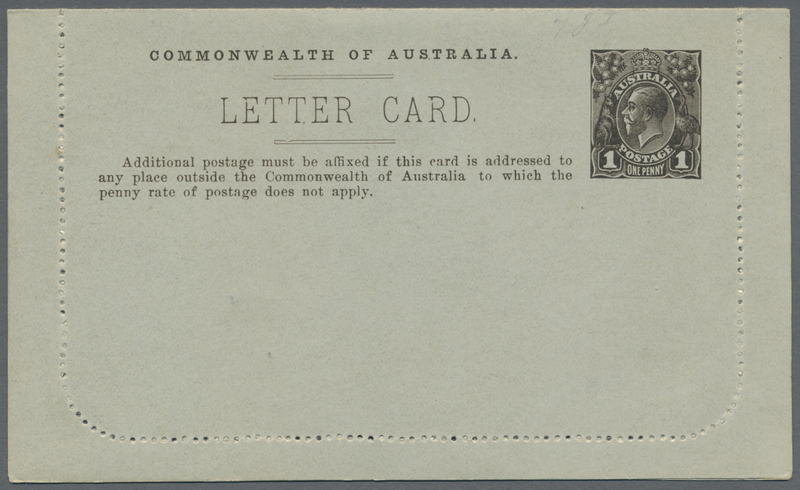 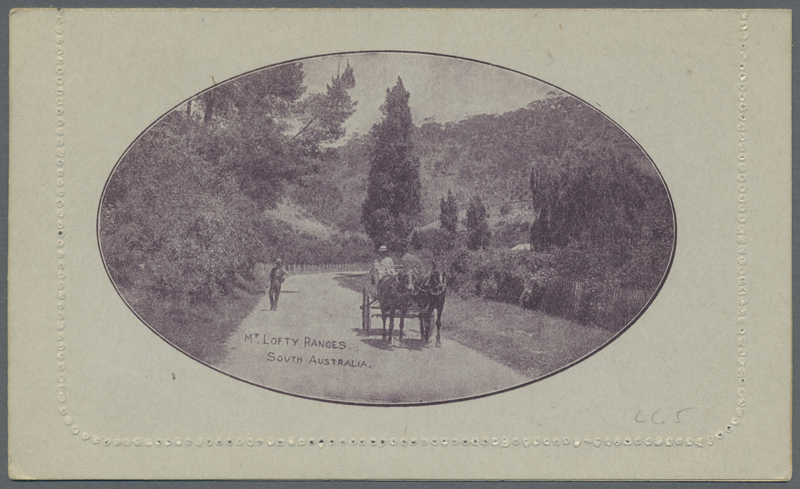 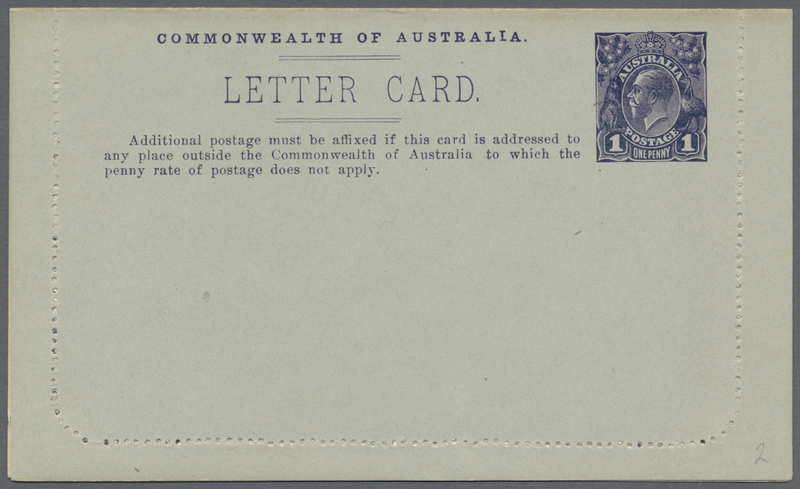 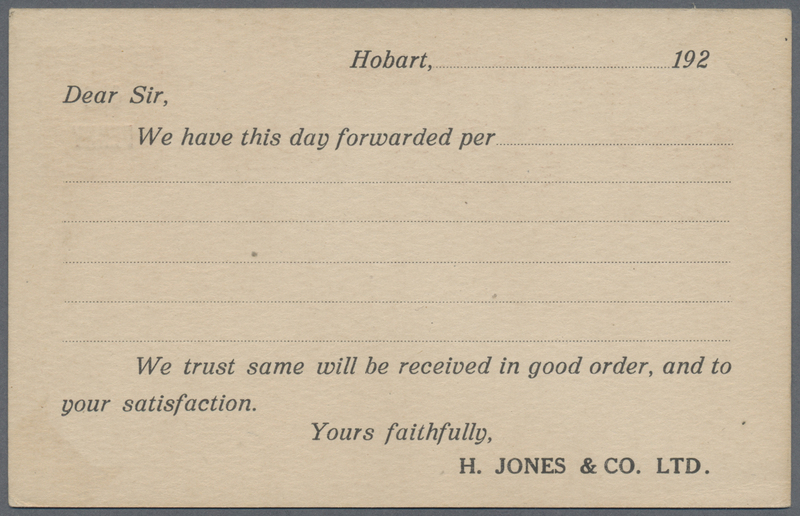 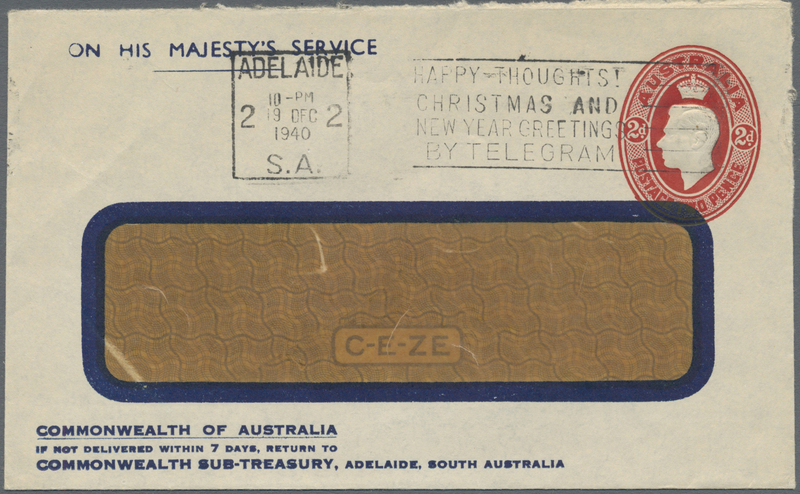 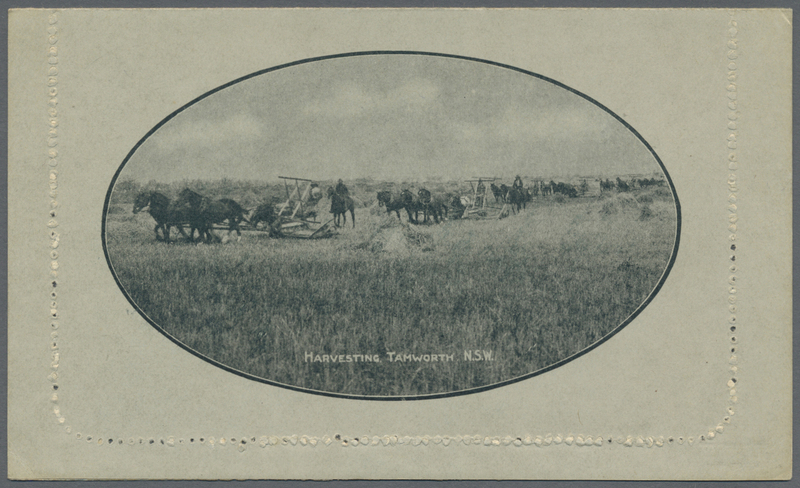 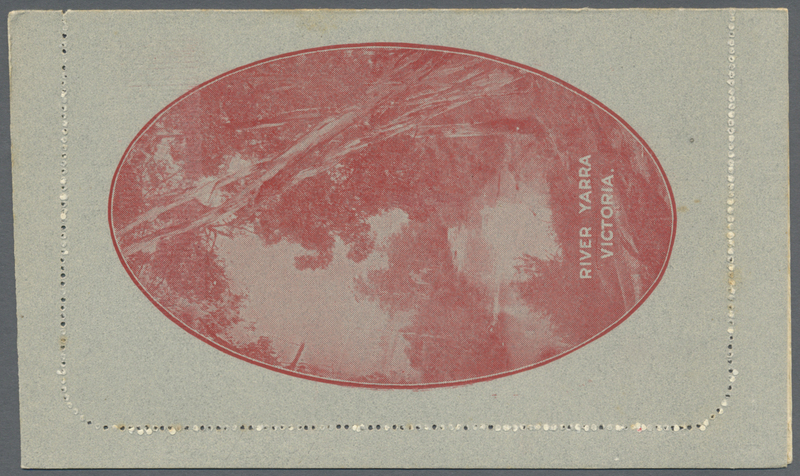 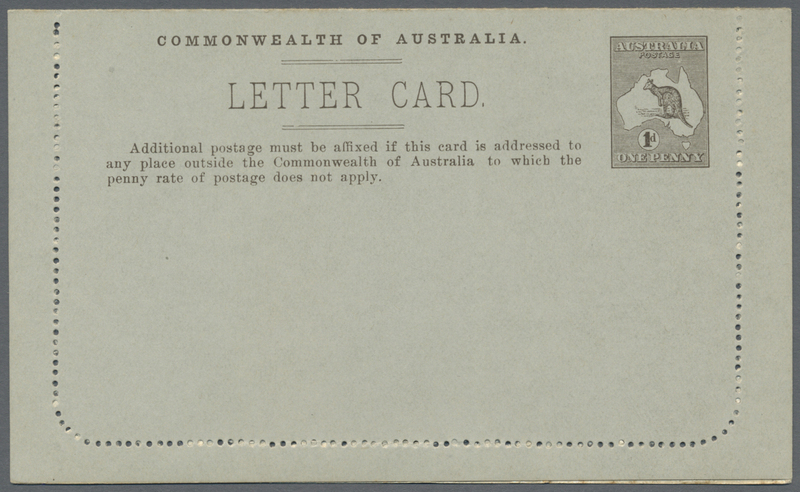 red used from Sydney to Mosman with printed heading for 'CUSTOMS HOUSE SYDNEY' without ptinting on reverse, some blemishes incl. 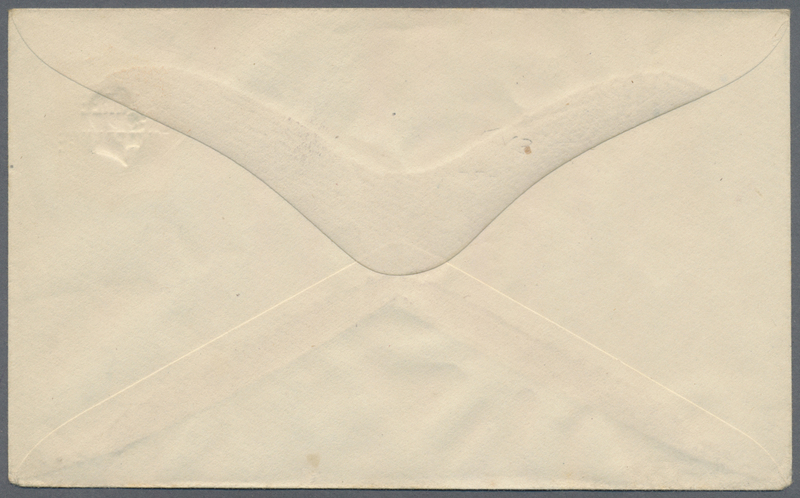 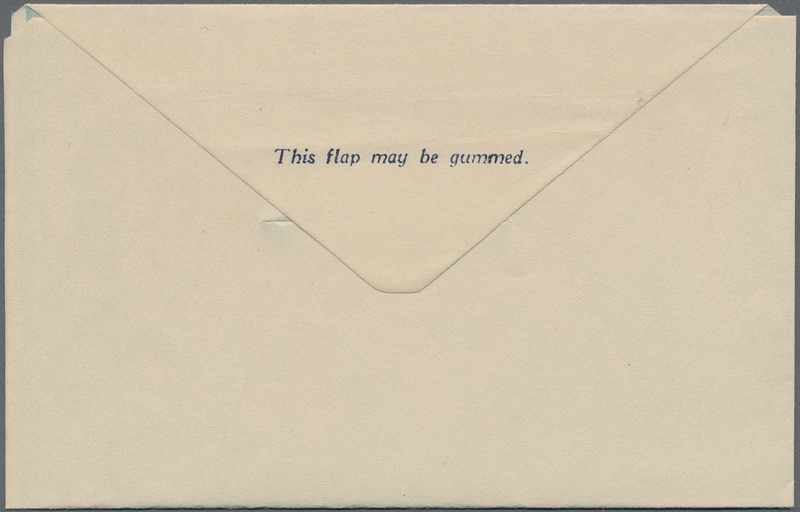 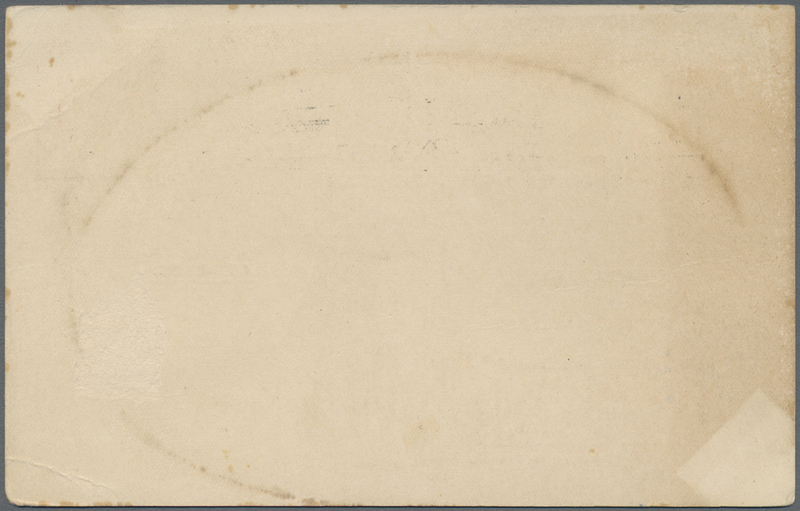 marginal creases, toning etc.